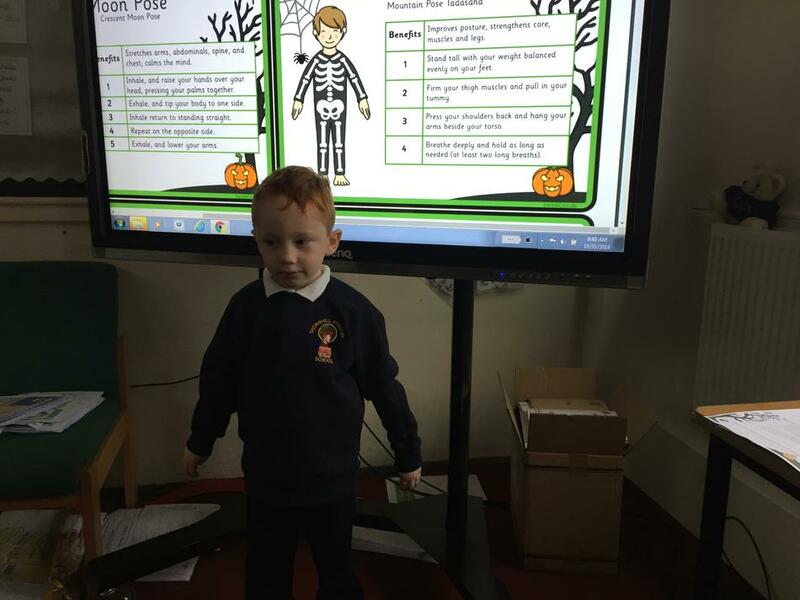 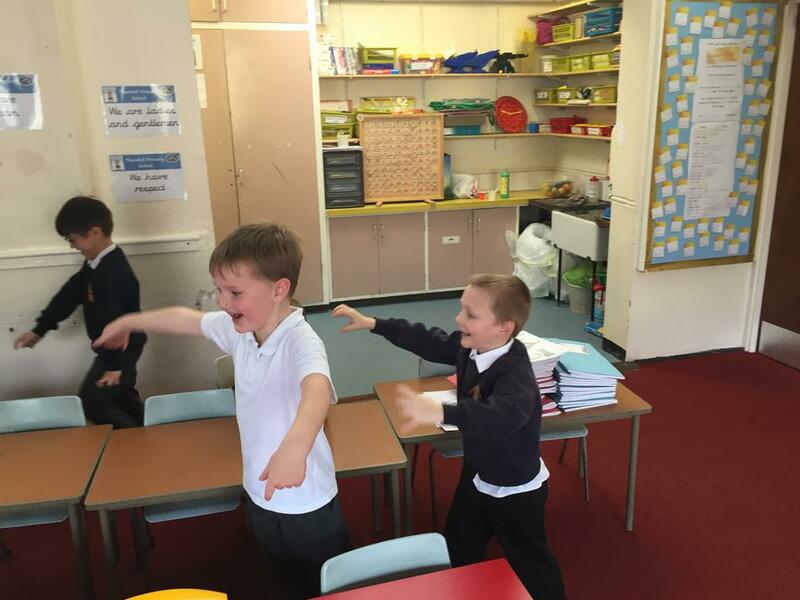 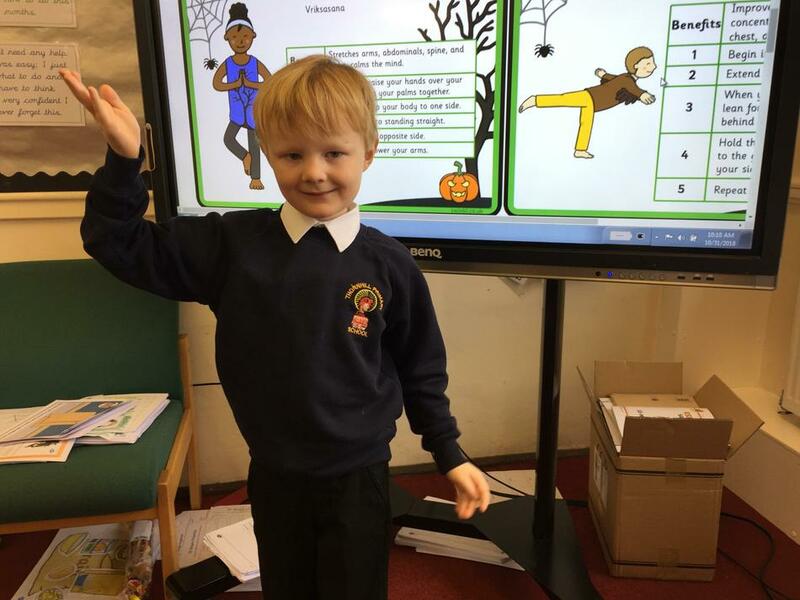 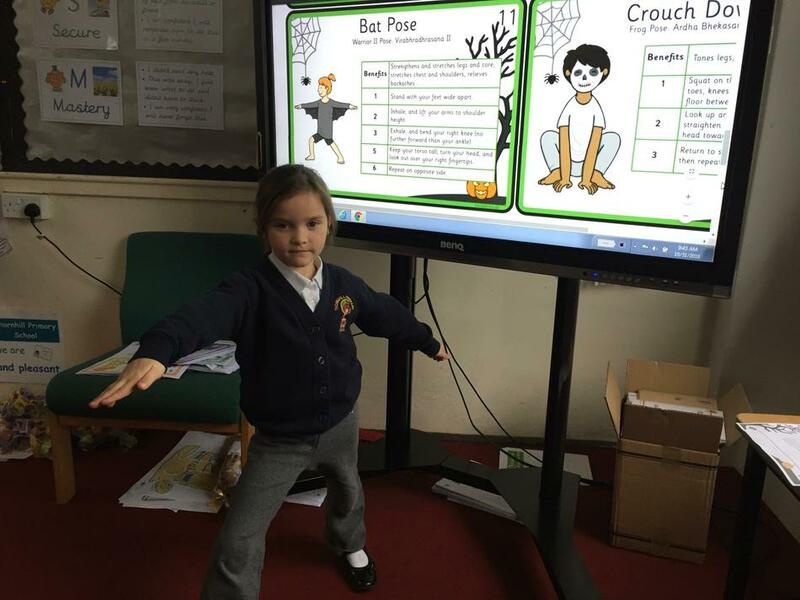 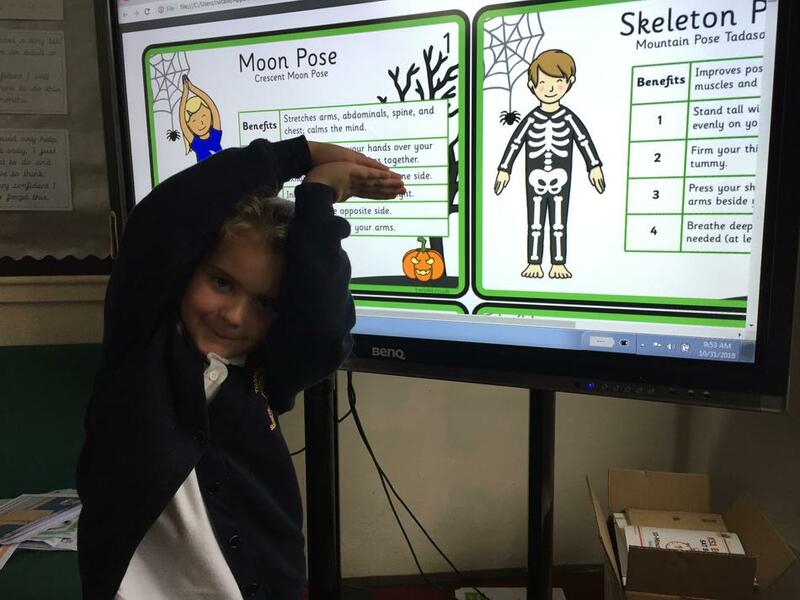 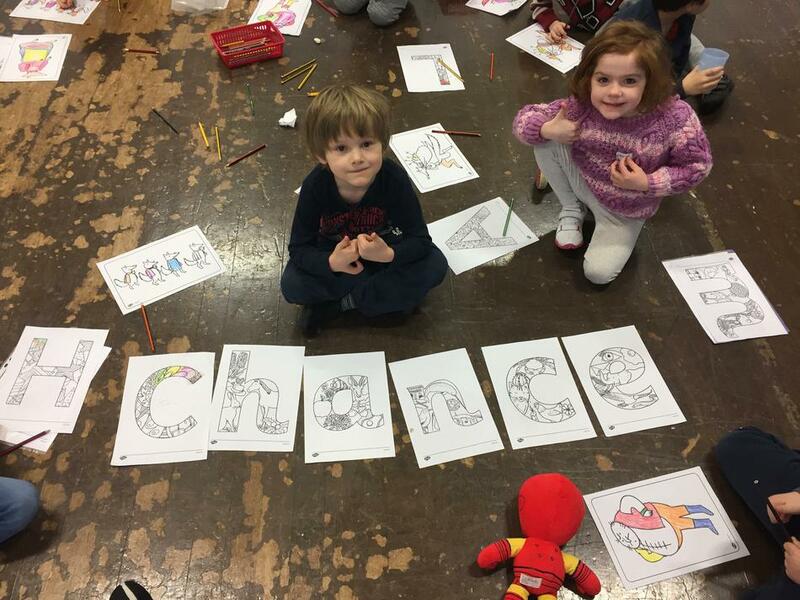 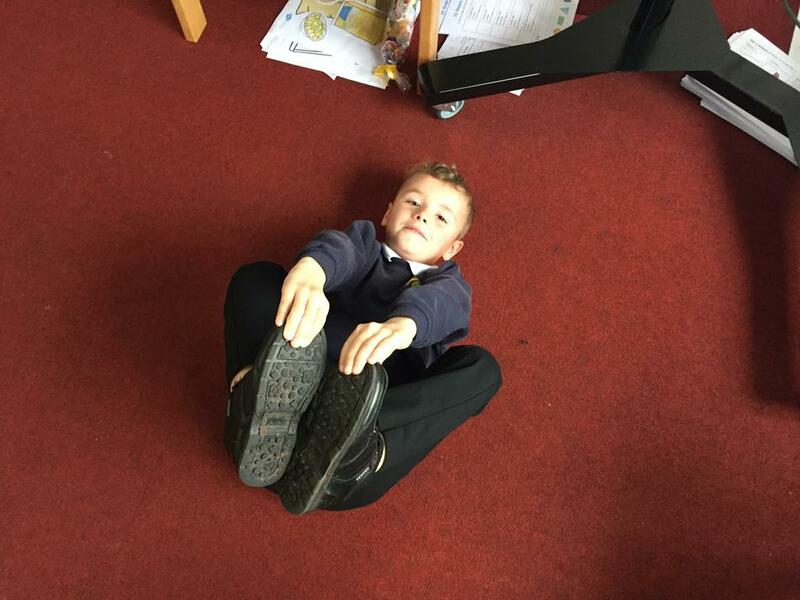 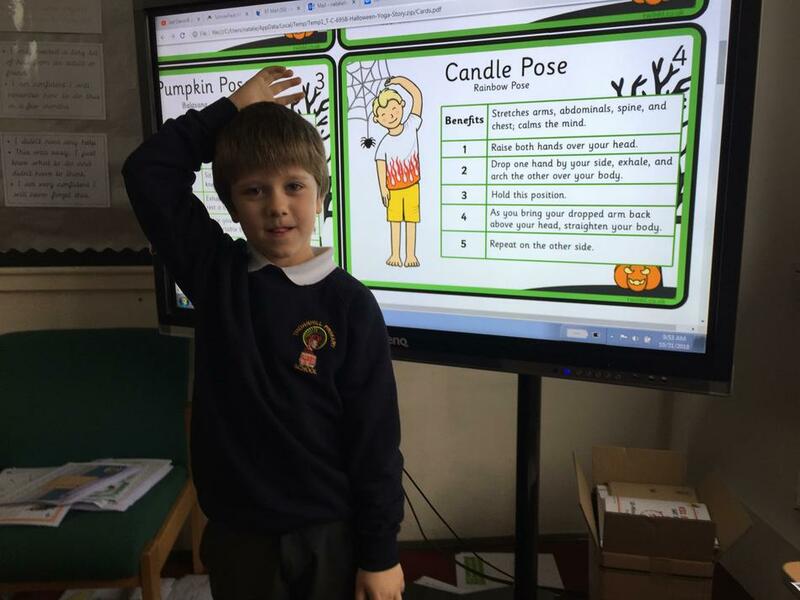 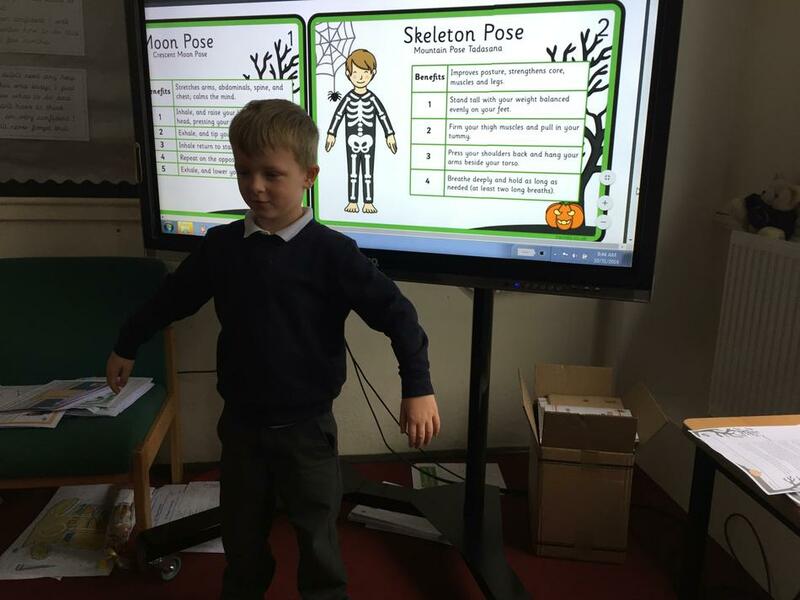 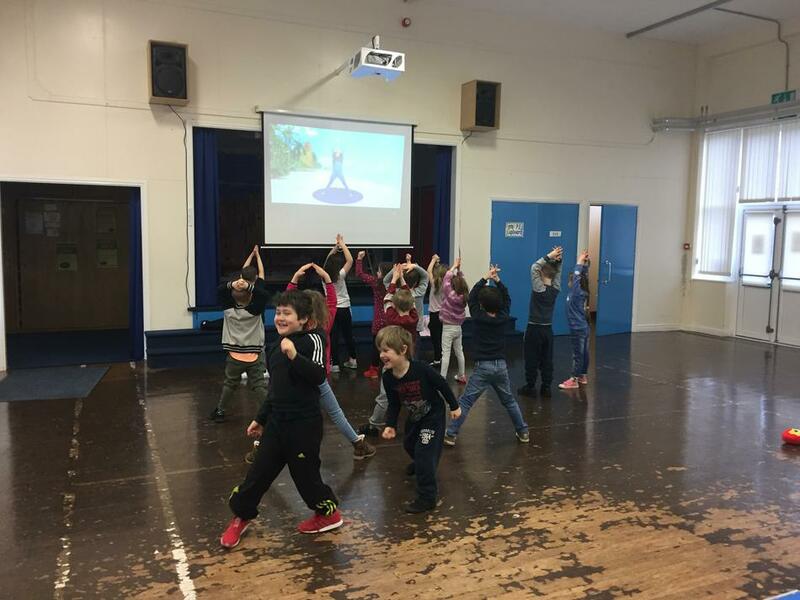 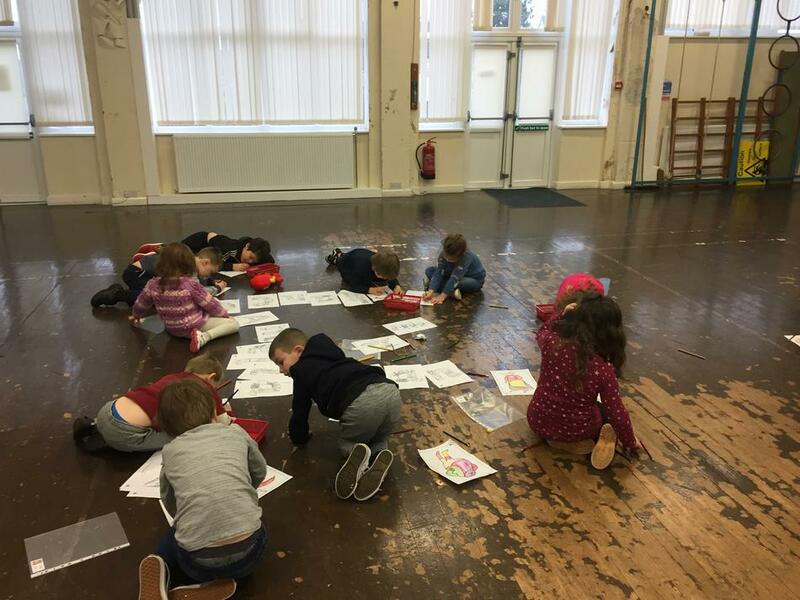 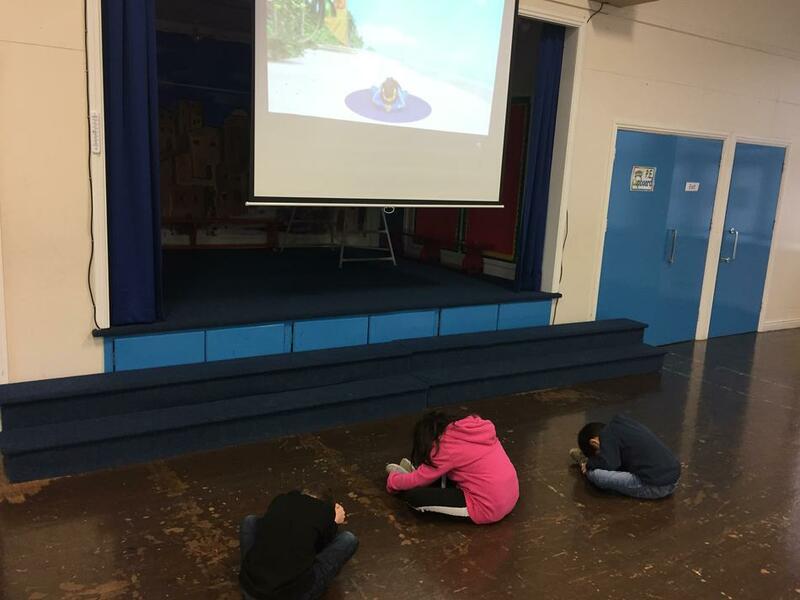 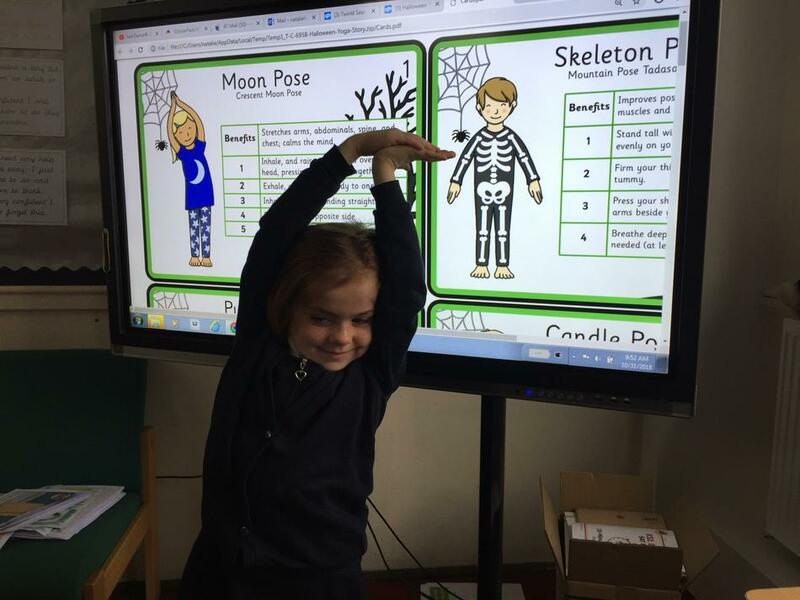 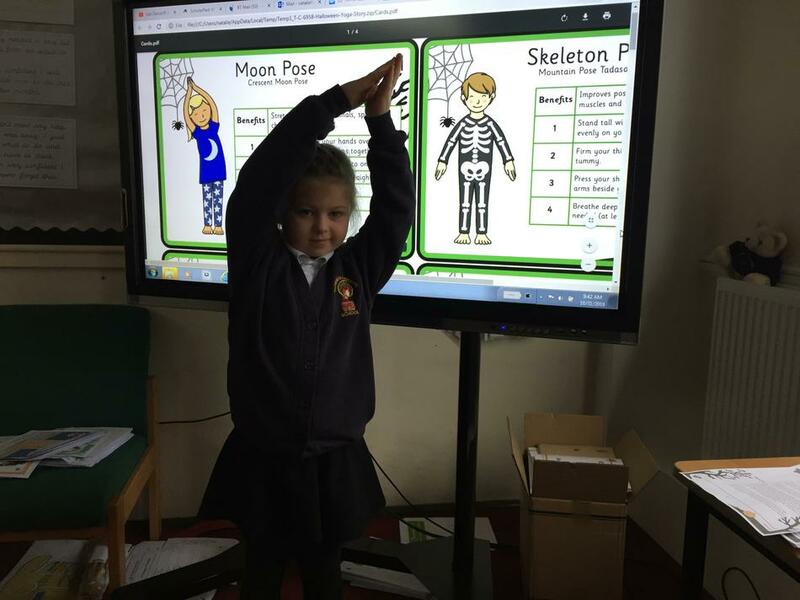 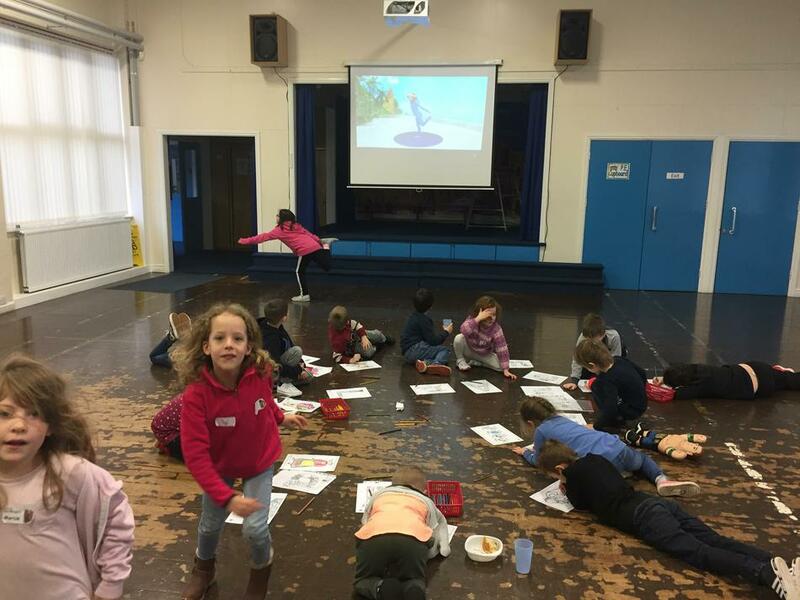 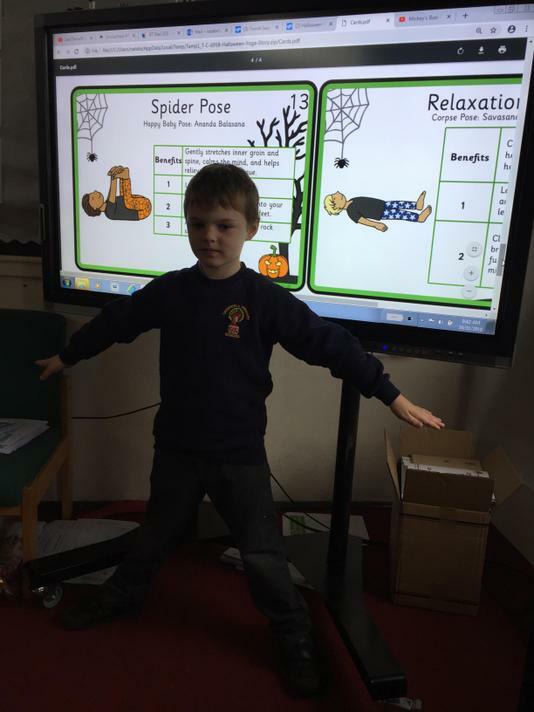 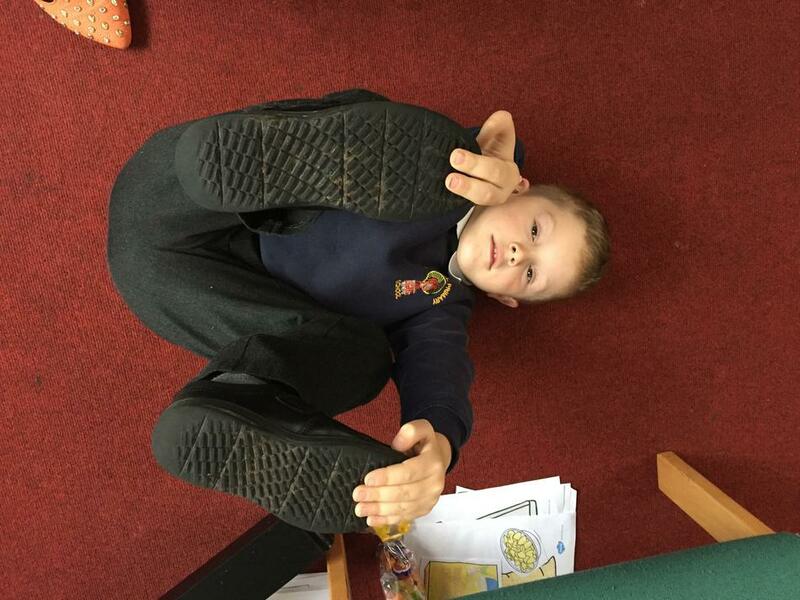 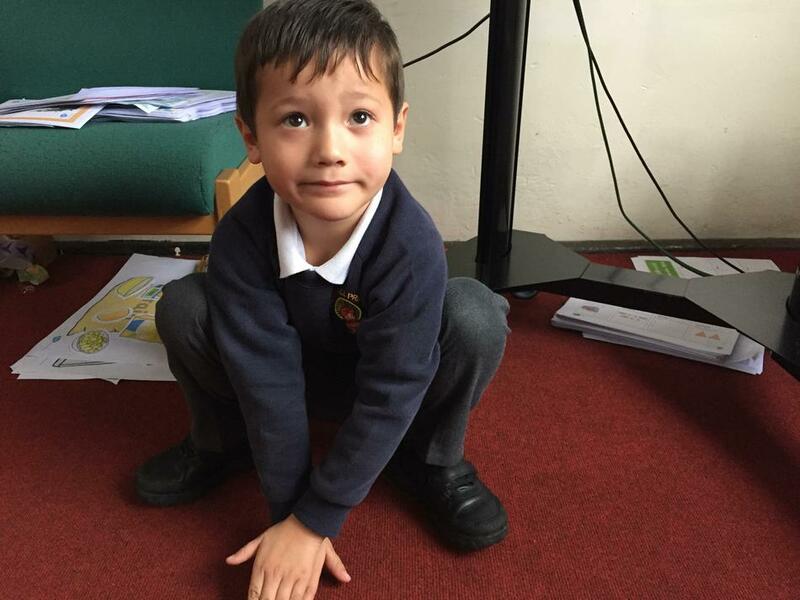 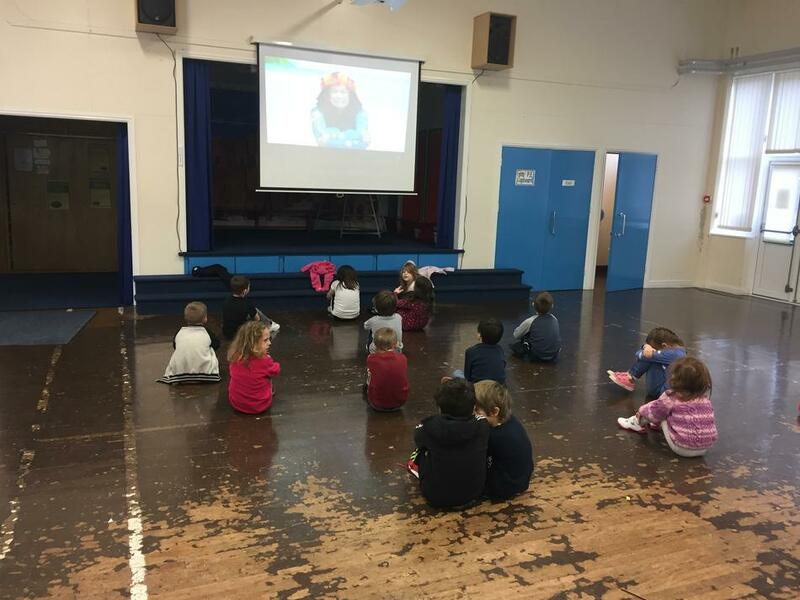 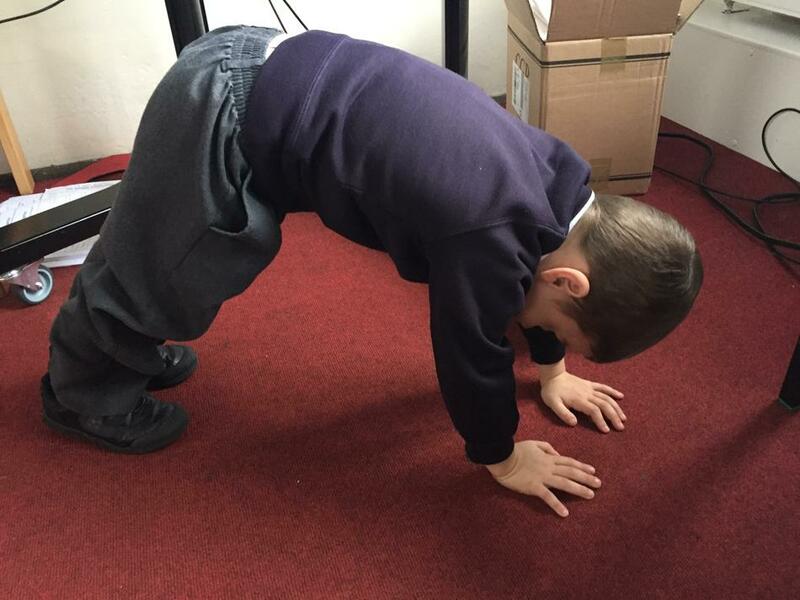 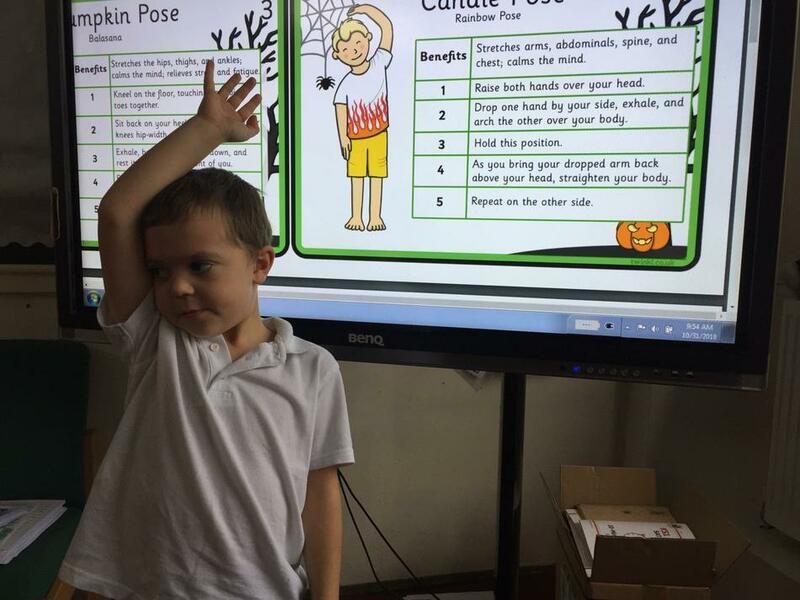 To celebrate Halloween children completed a yoga story. 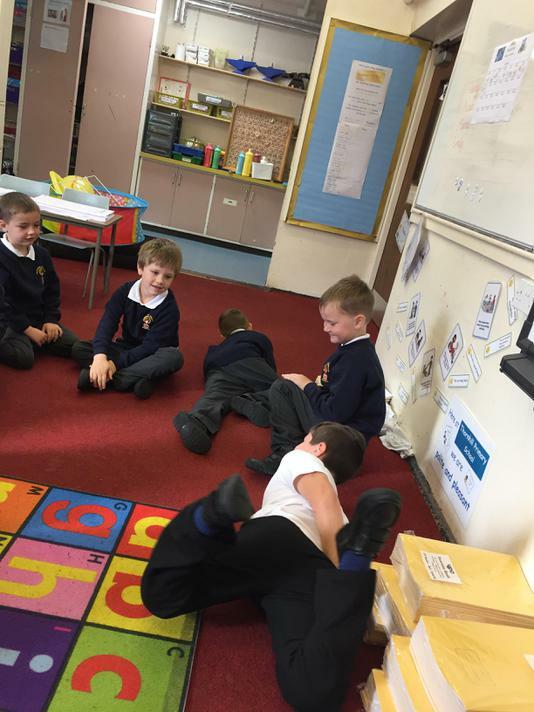 This is where a story is read aloud and children position themselves in different yoga poses as a way of acting out the story as it is being told. 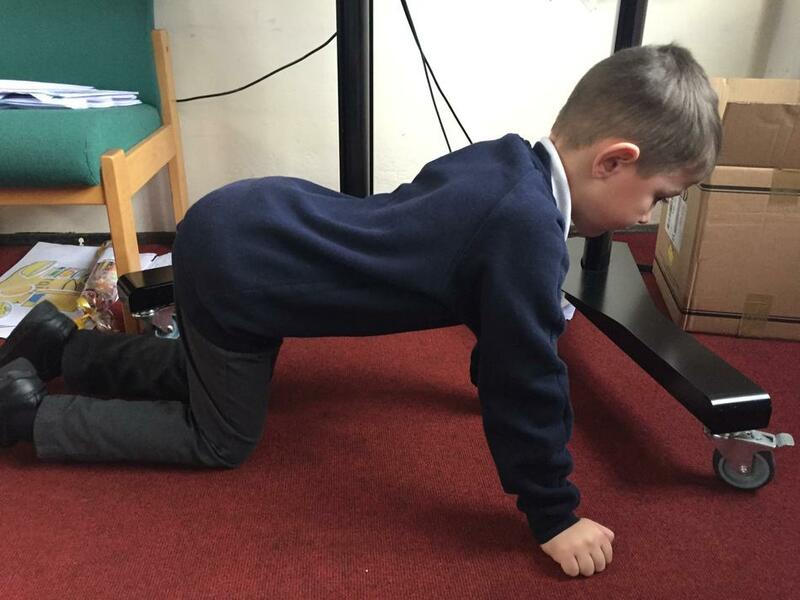 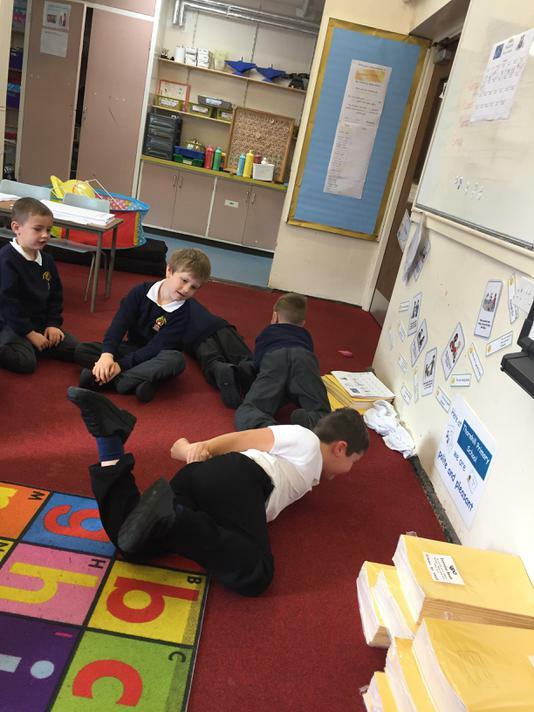 This then helped children write detailed, descriptive sentences which described their pose, how they were feeling and what they were representing. 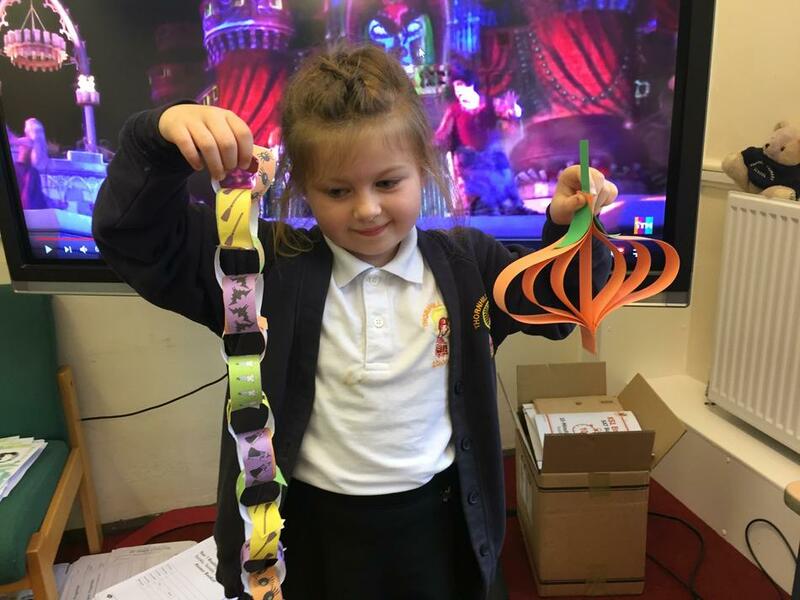 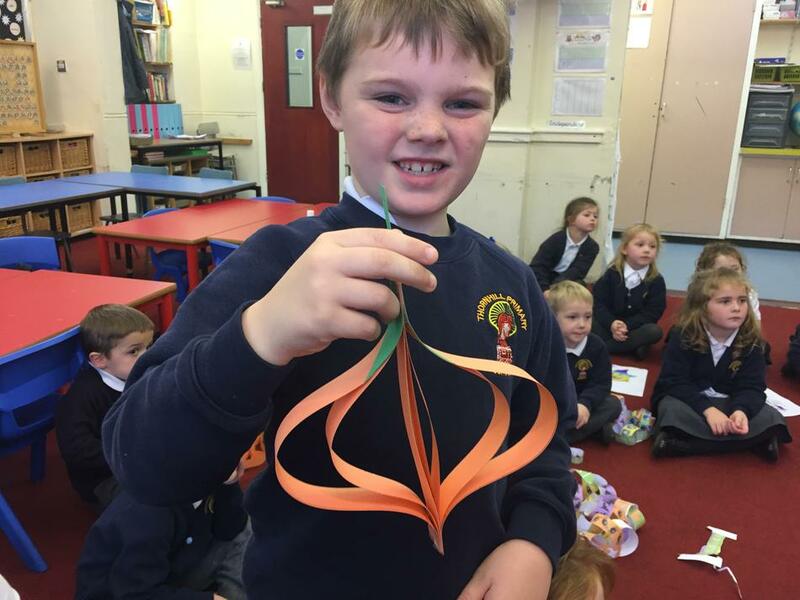 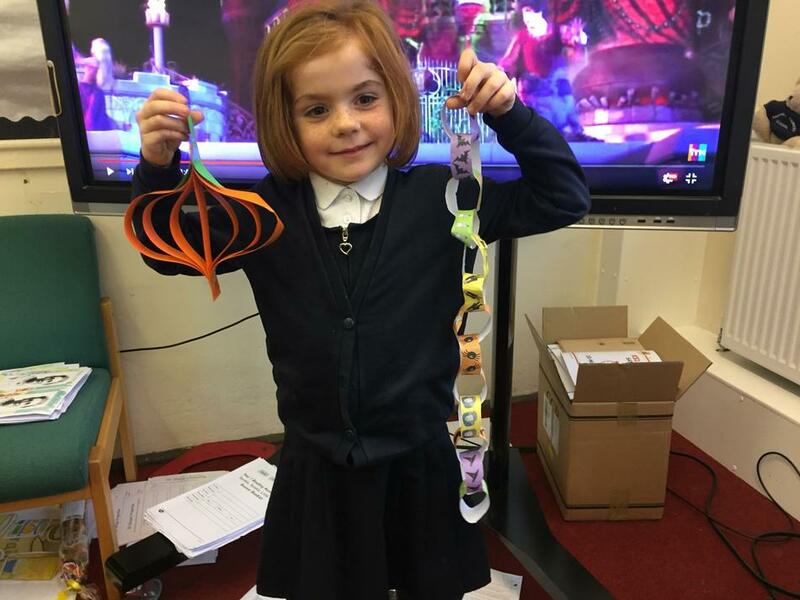 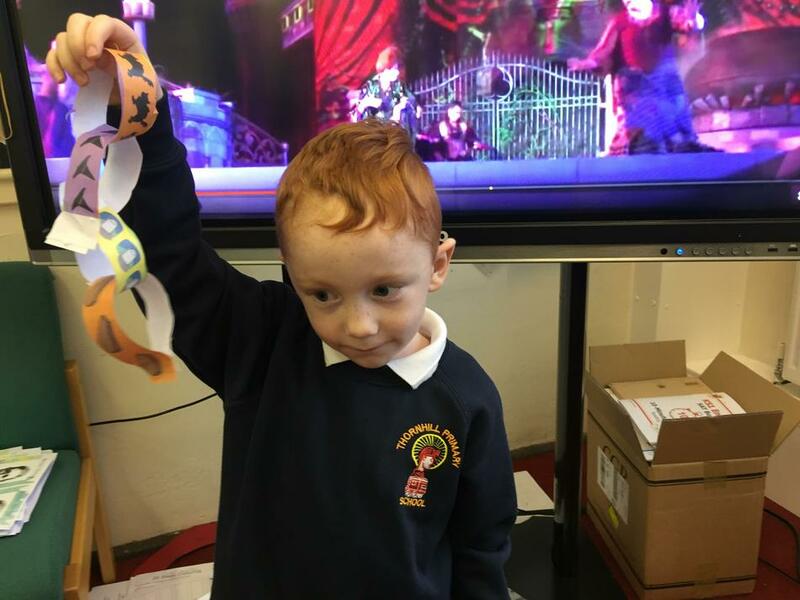 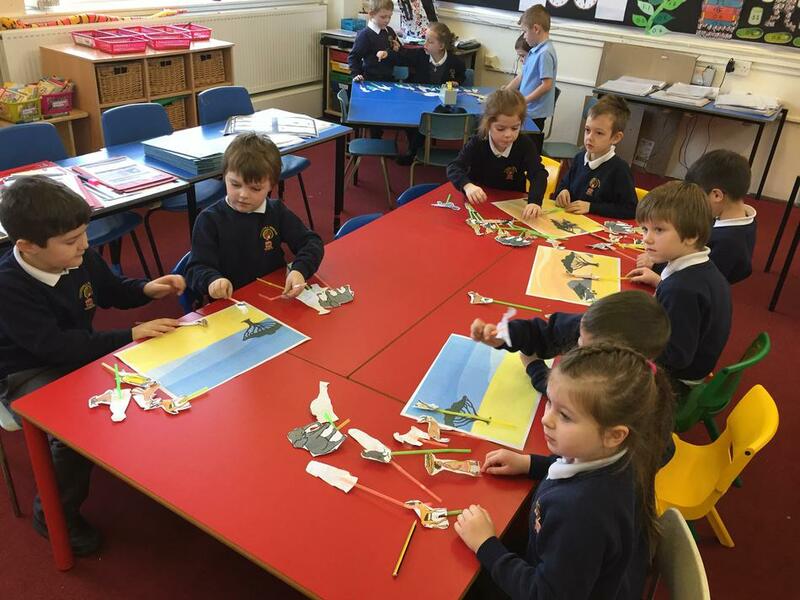 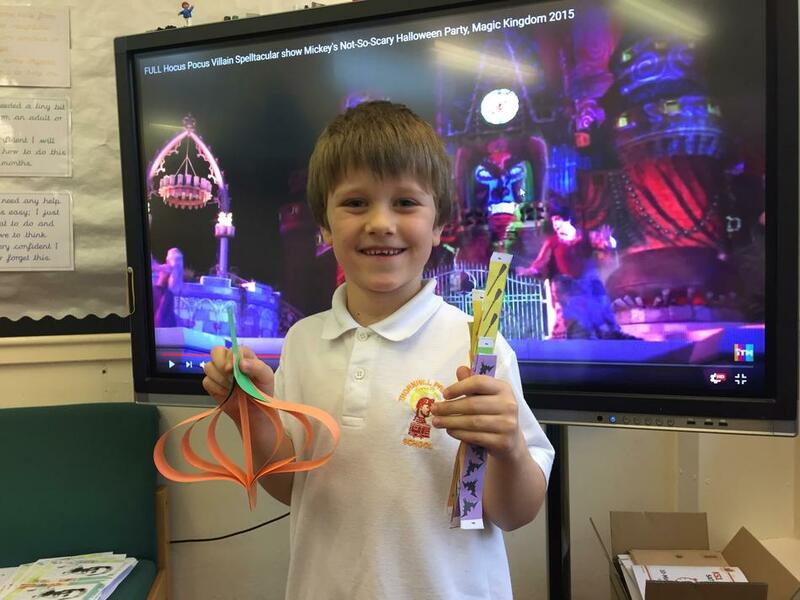 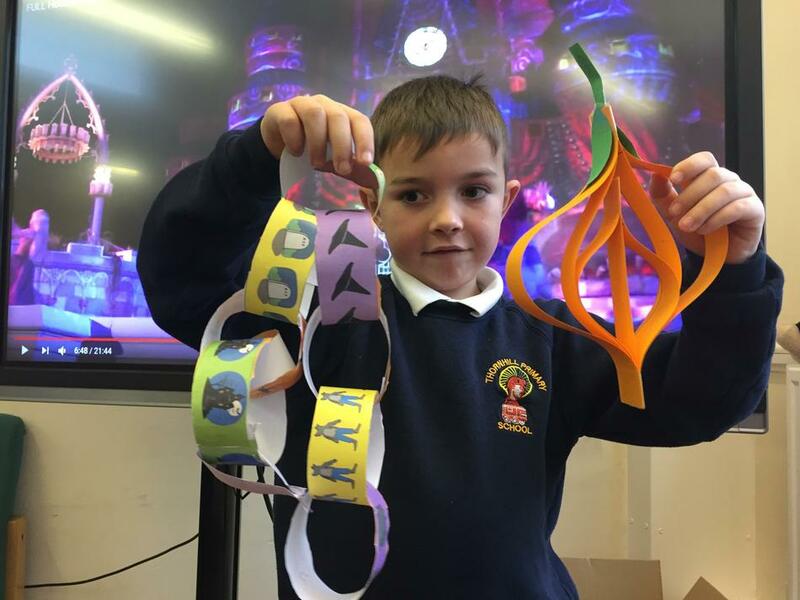 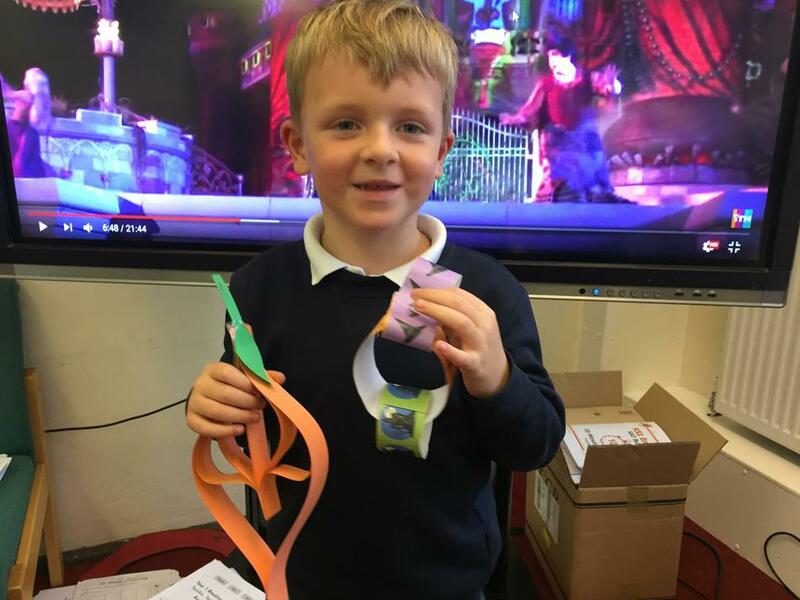 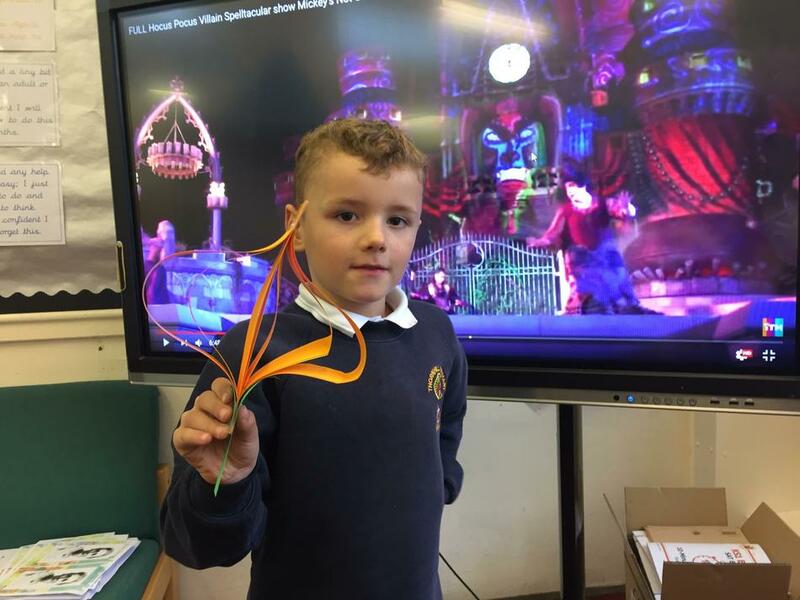 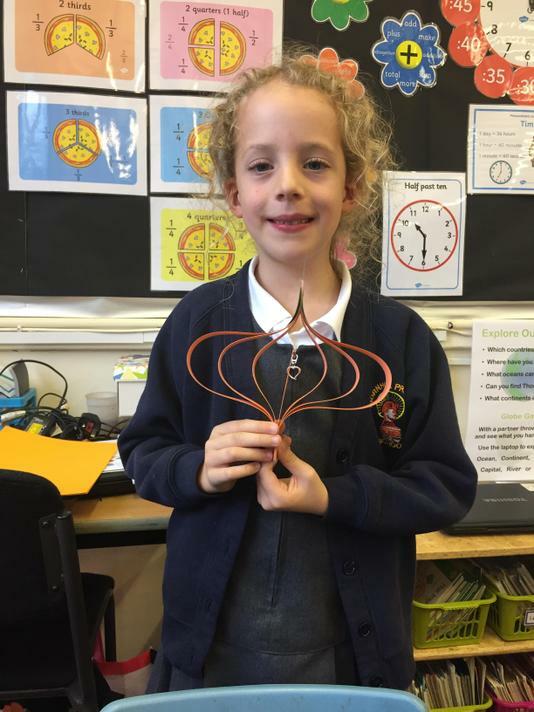 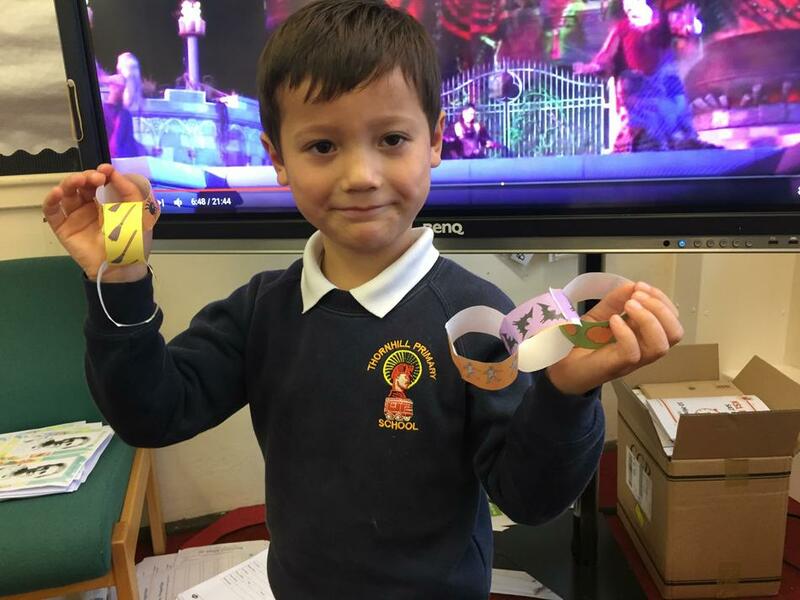 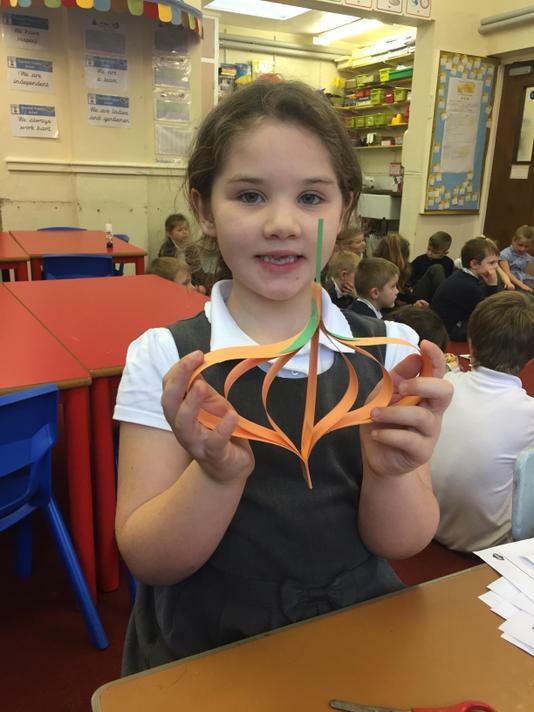 Next children had to use comprehension skills to make Halloween decorations. 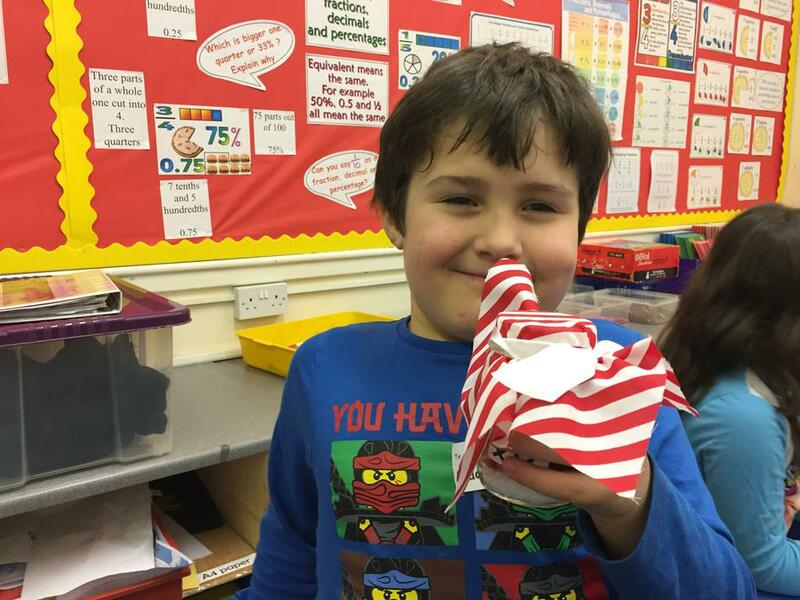 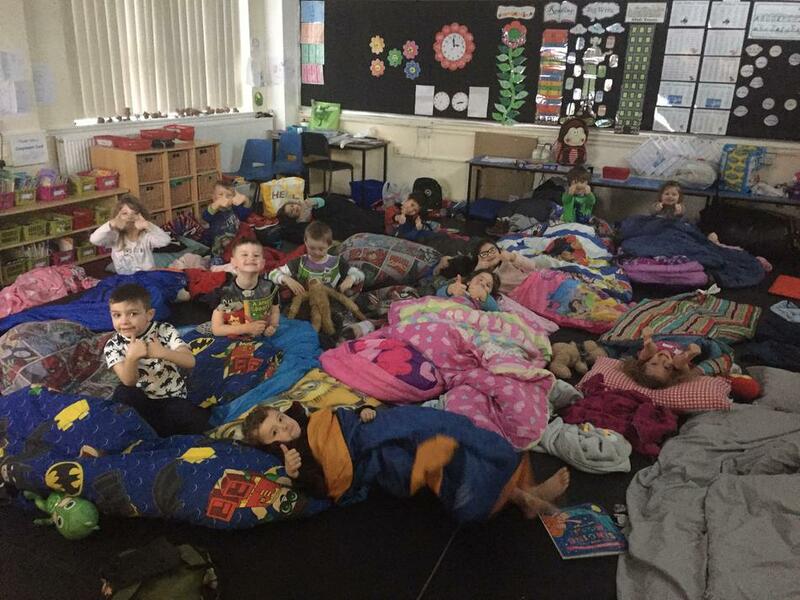 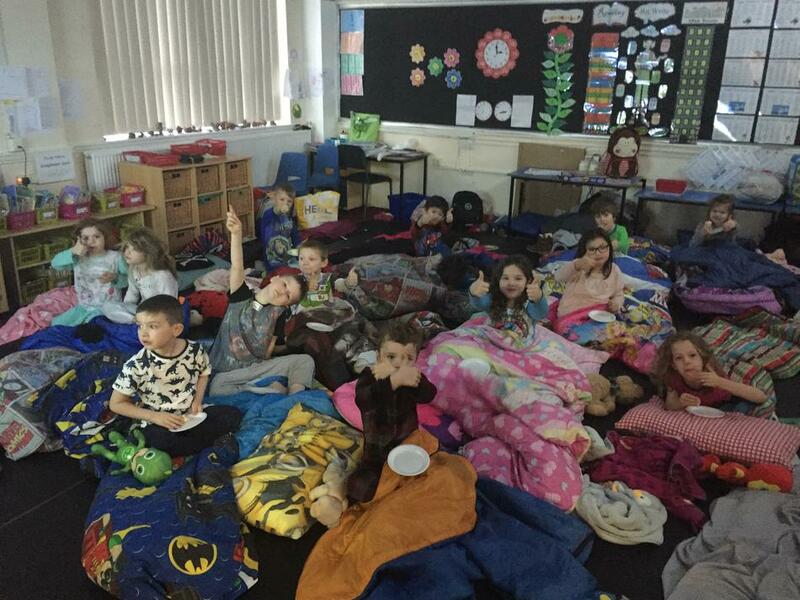 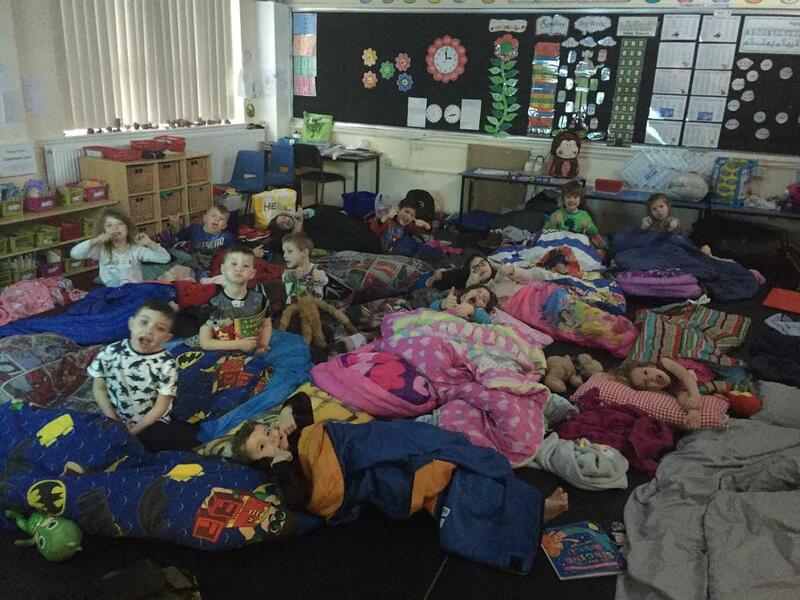 Inspired by Reading Week and World Book Day, KS1 had a sleepover in school to celebrate the wonderful world of books as well as to develop key life skills. 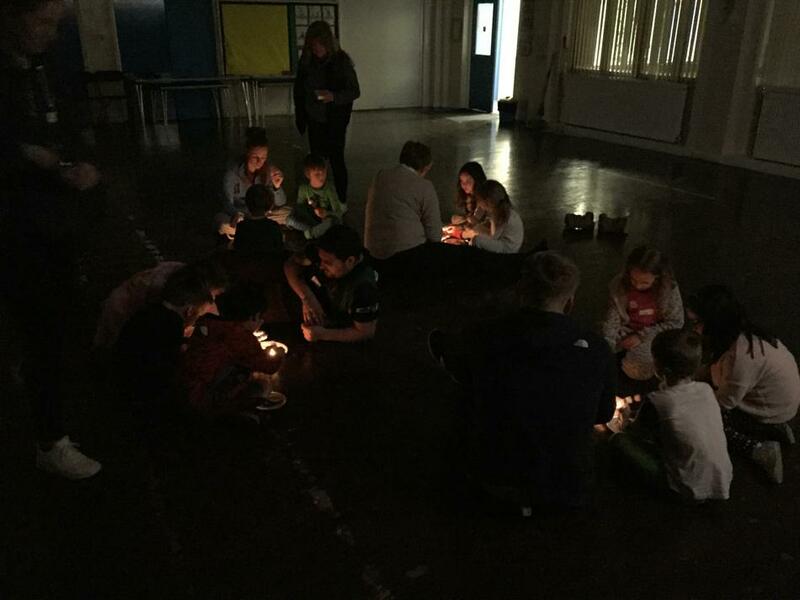 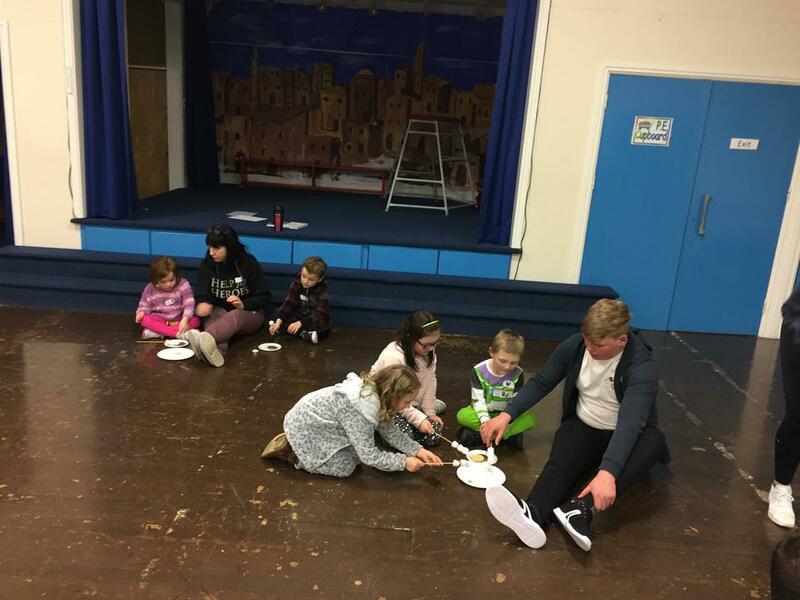 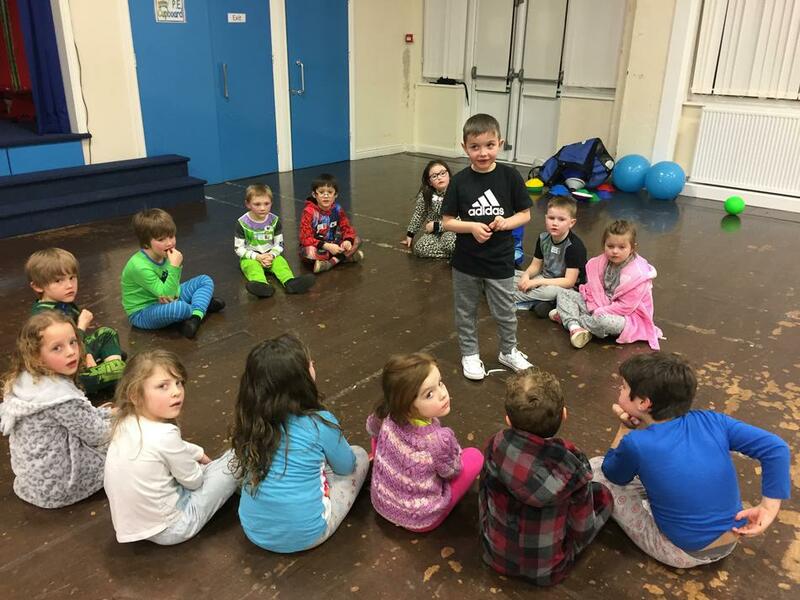 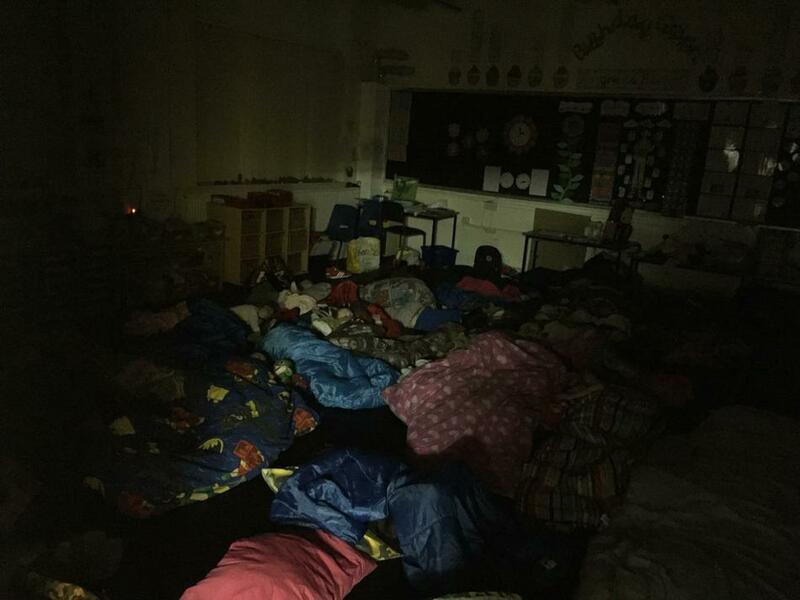 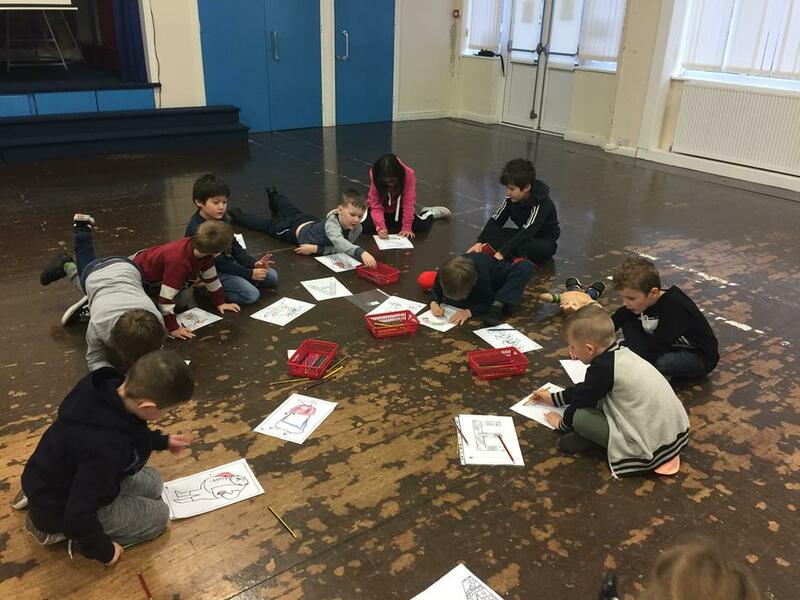 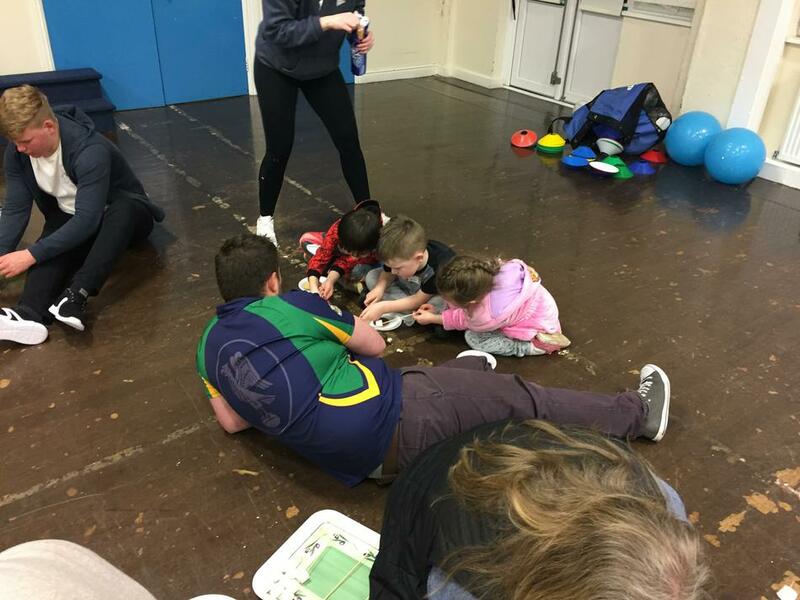 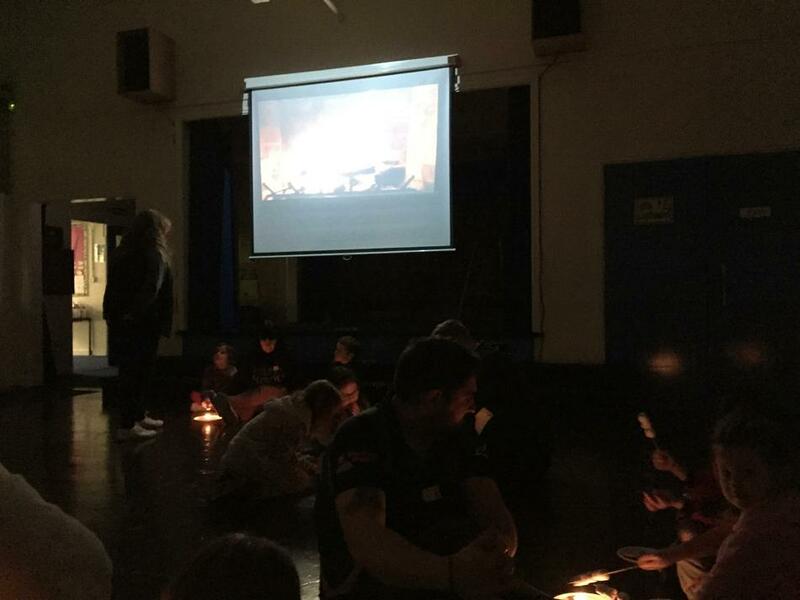 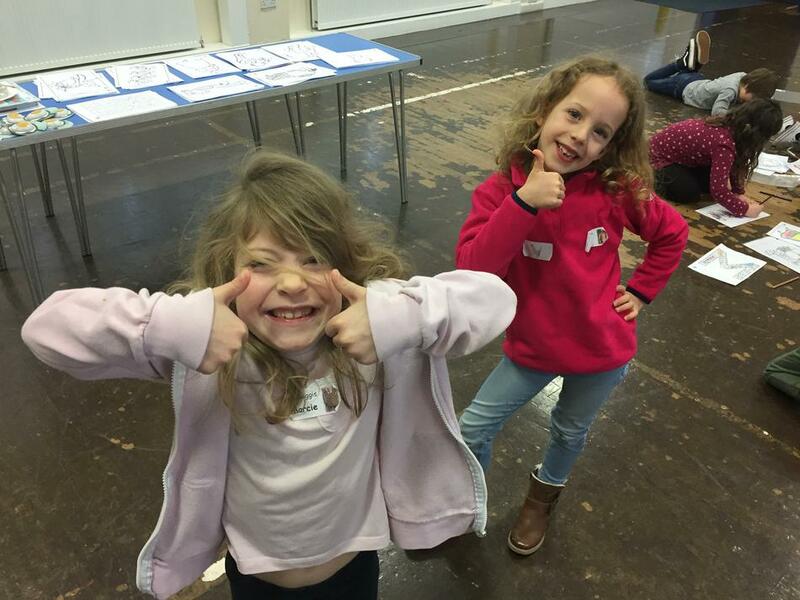 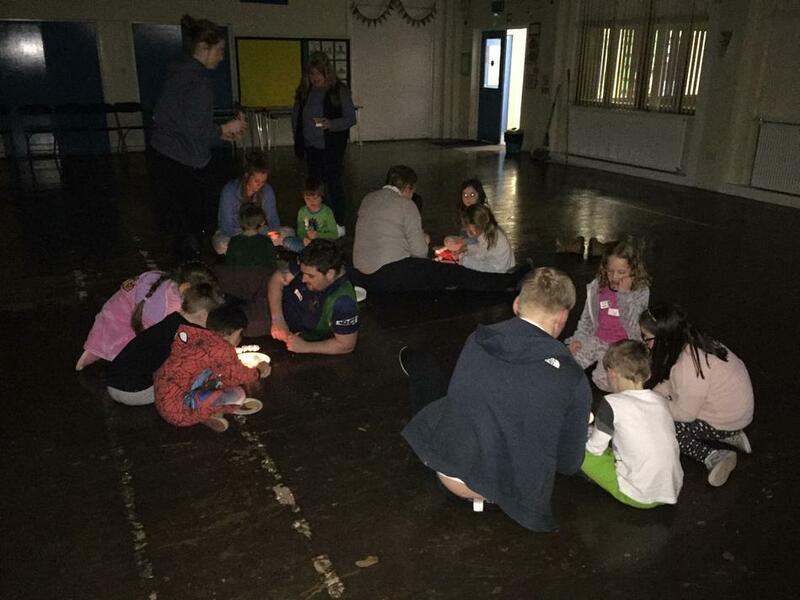 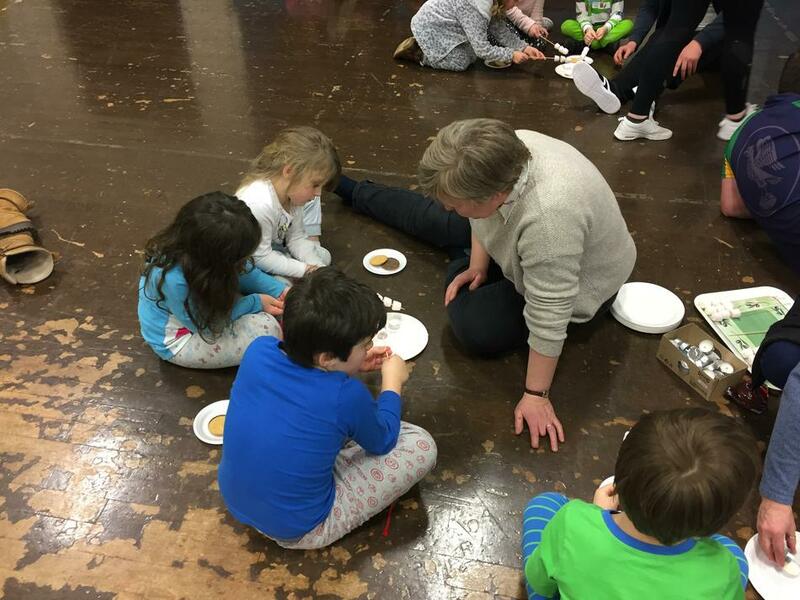 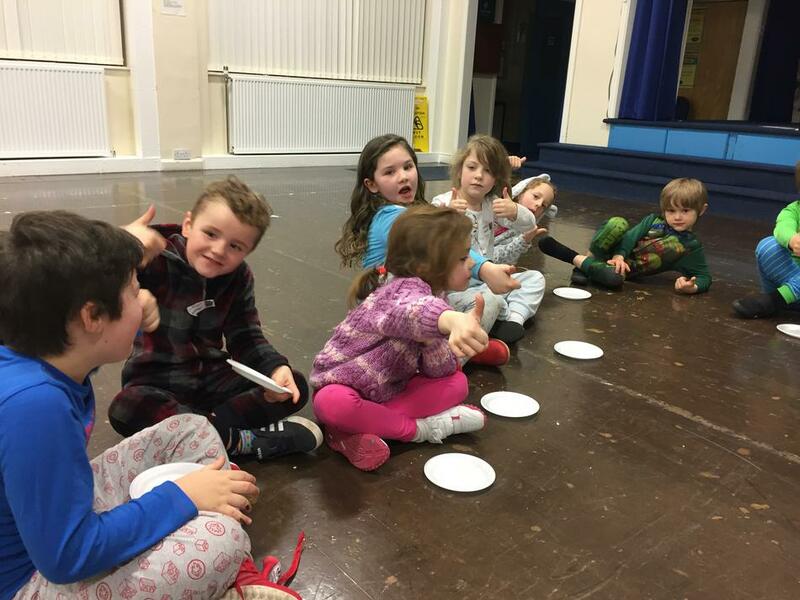 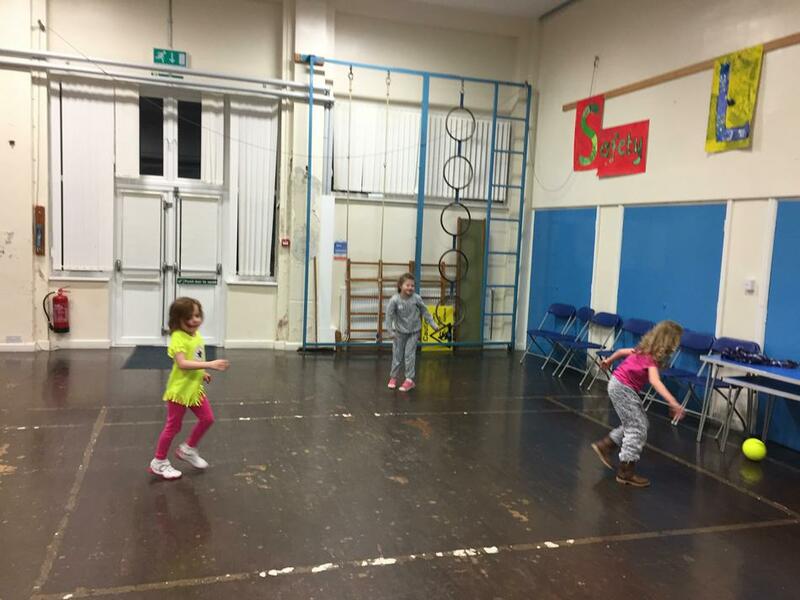 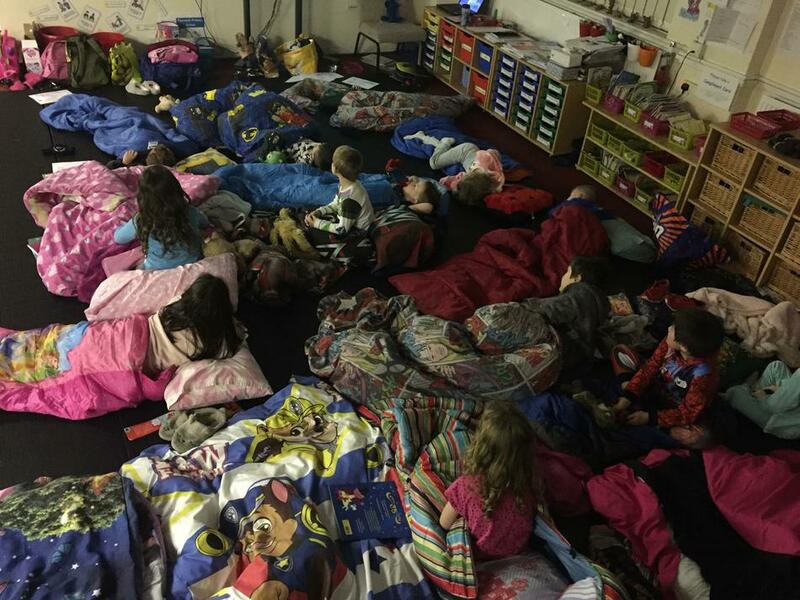 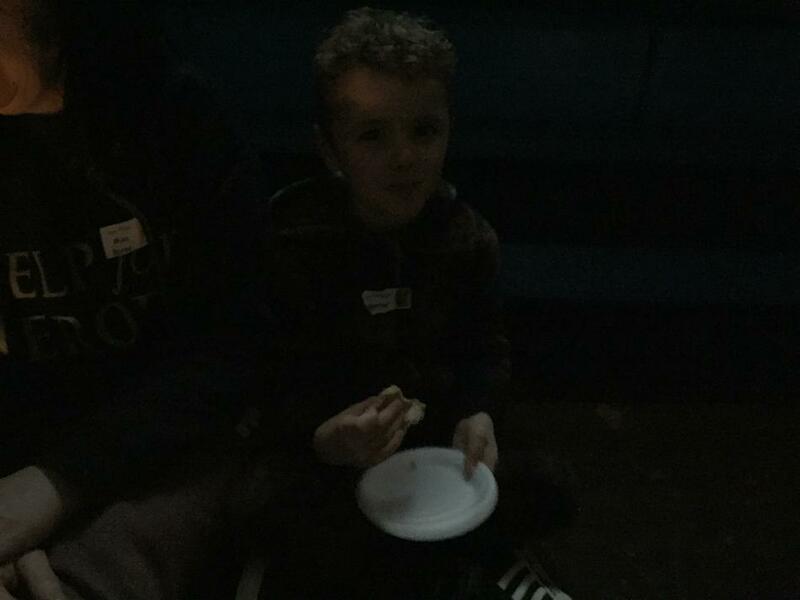 All children greatly enjoyed the sleepover adventure and should be extremely proud of their bravery in sleeping away from home. 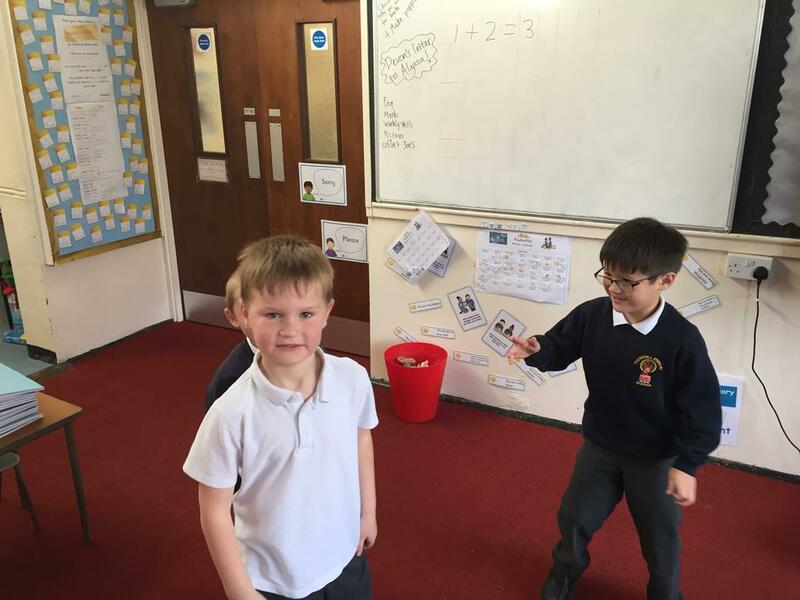 Children were split into 3 teams named after the 3 farmers from Fantastic Mr Fox (the book we have been learning from all week). 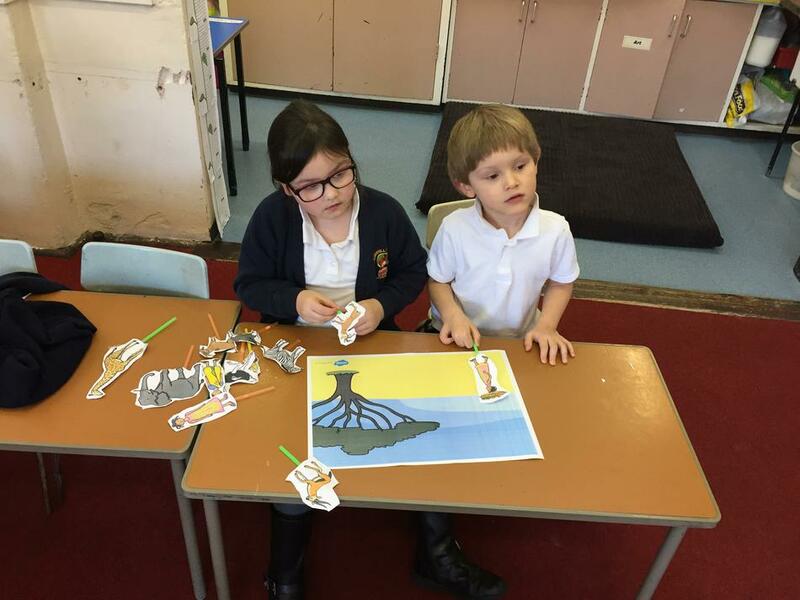 Each team then completed different tasks based around different books. 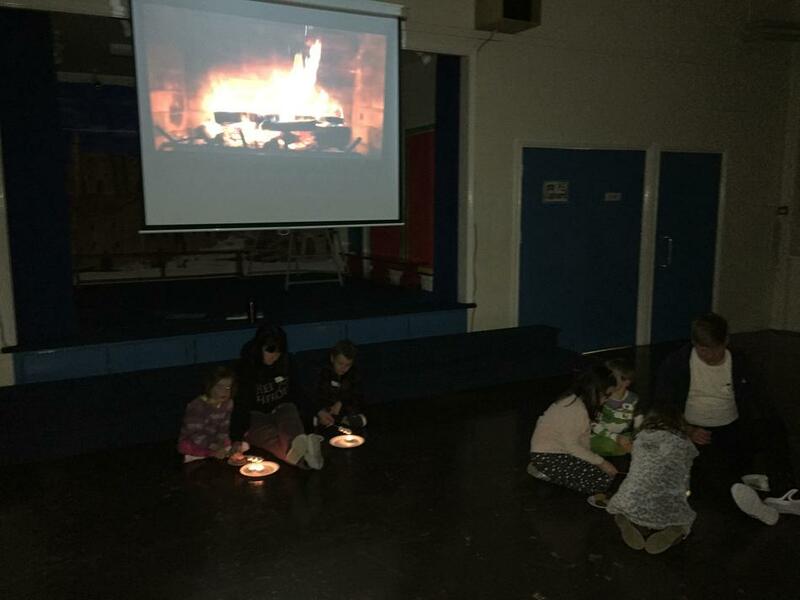 Check out our pictures of the amazing evening below! 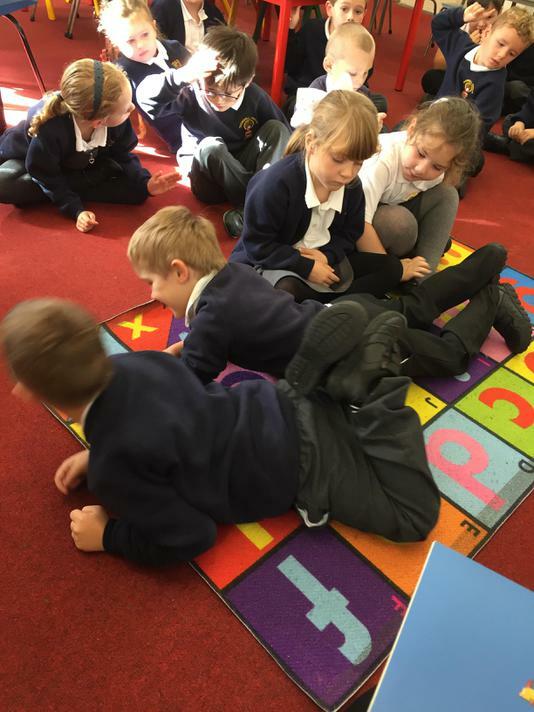 Here children explored this non-fiction book looking at the books layout and using the contents to select the pages they wanted to explore. 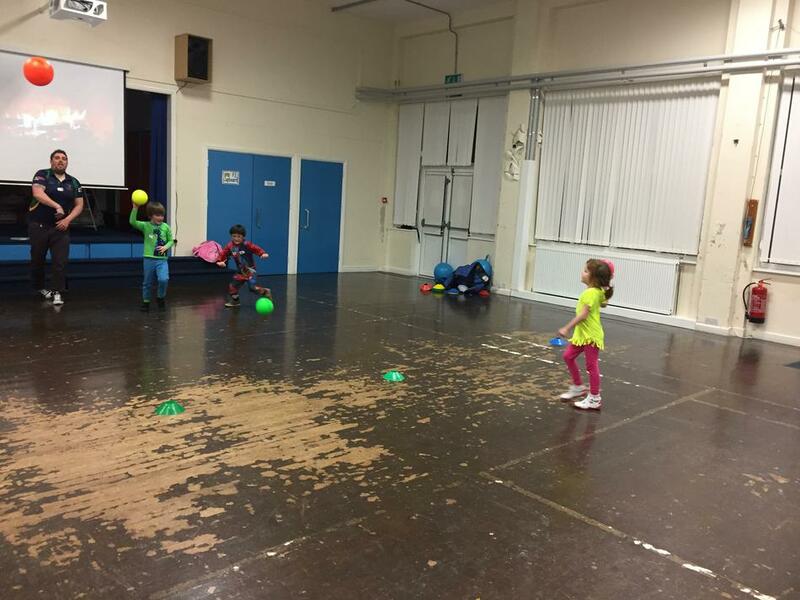 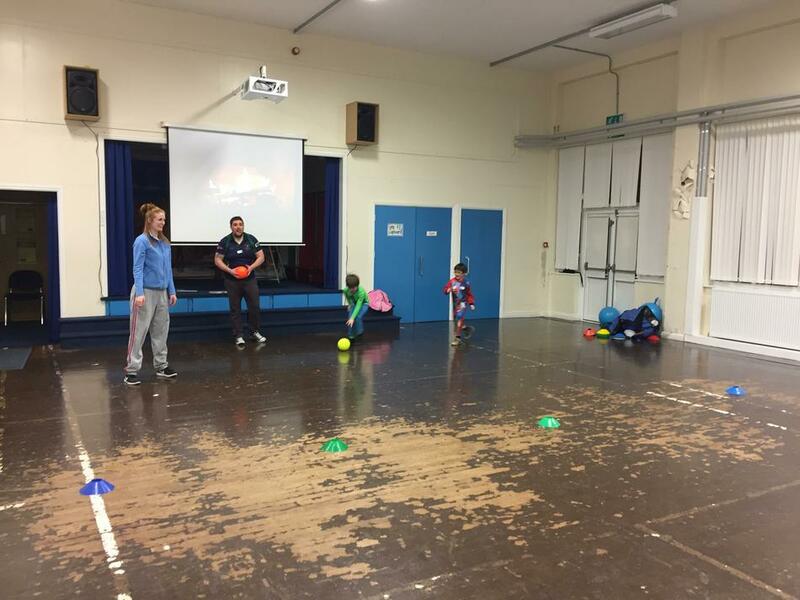 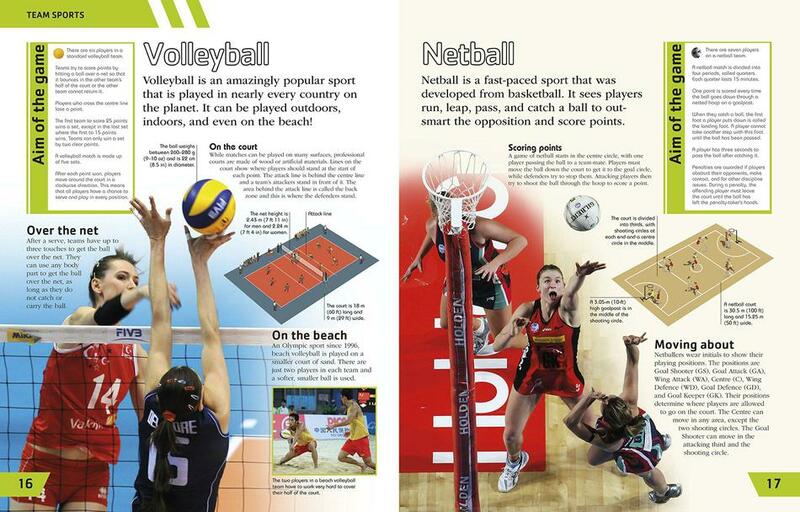 Pupils then chose a sport and played this as a team following the books instructions/advice. 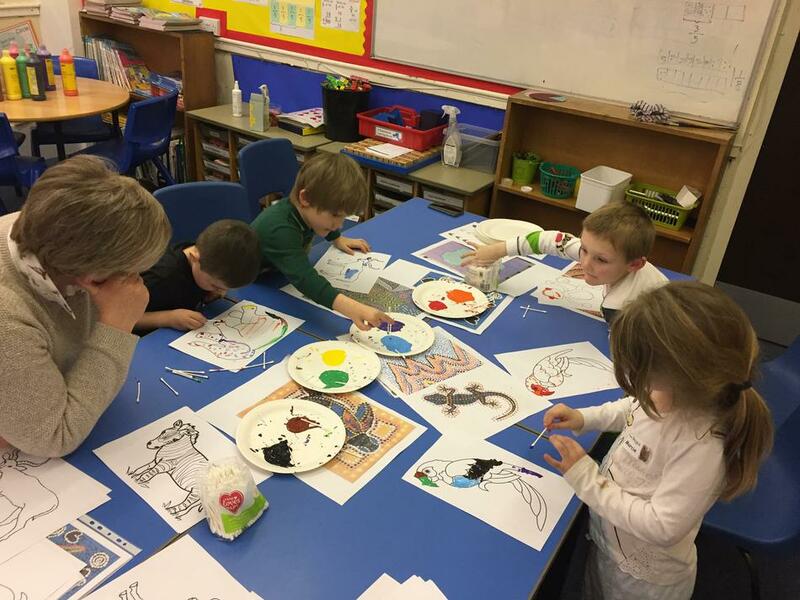 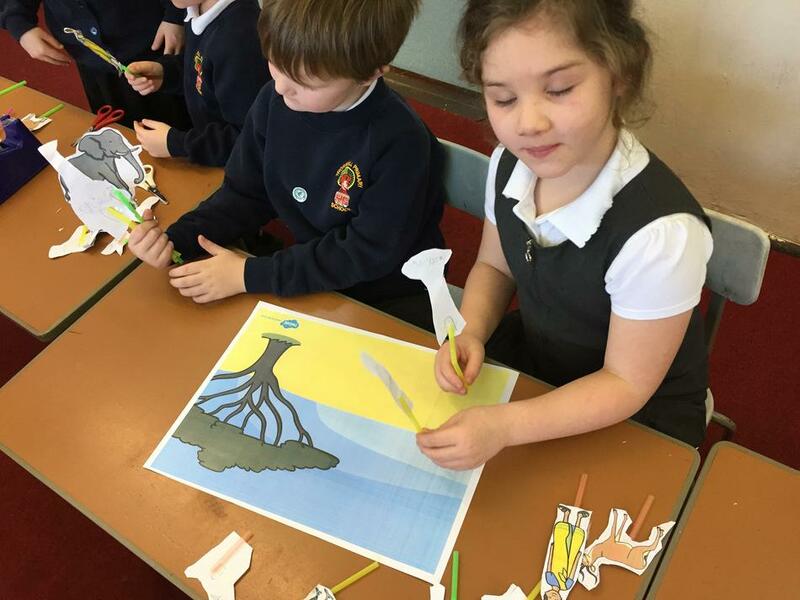 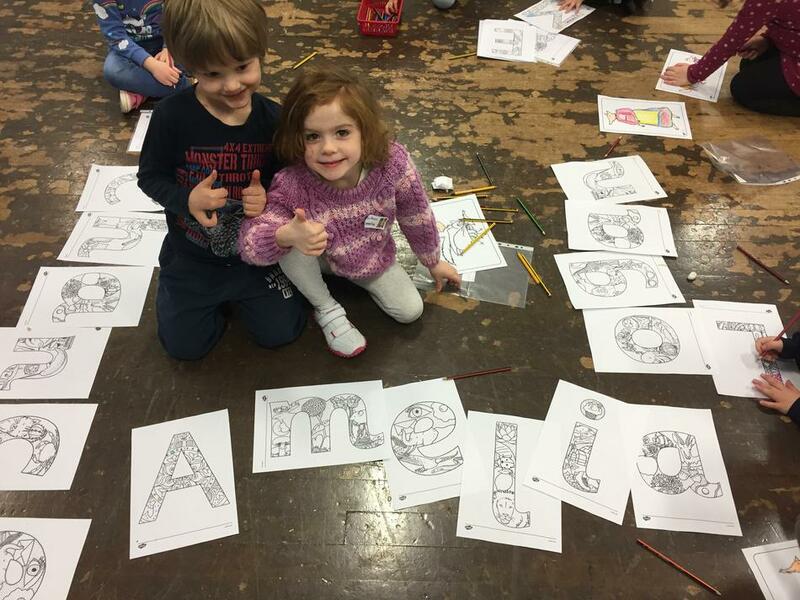 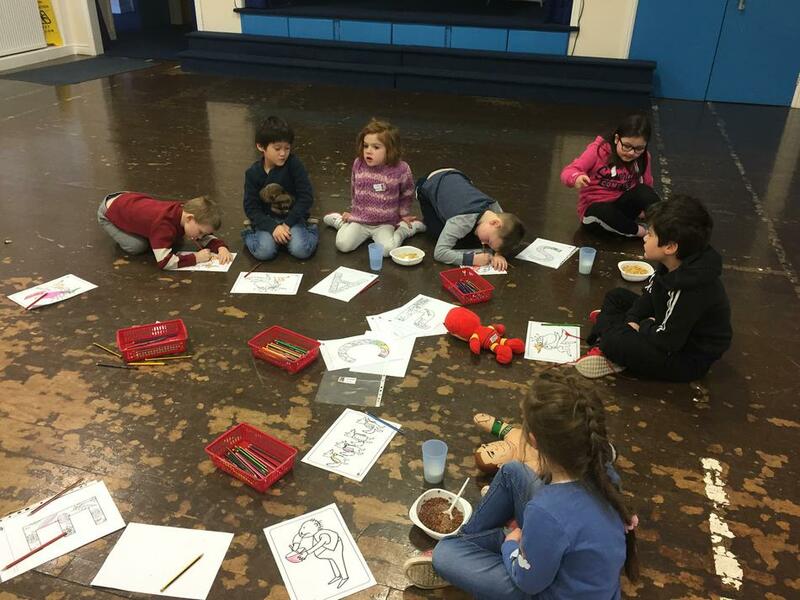 At this activity children read the book allowed as a team, following this children then discussed African cultured and investigate African dot painting. 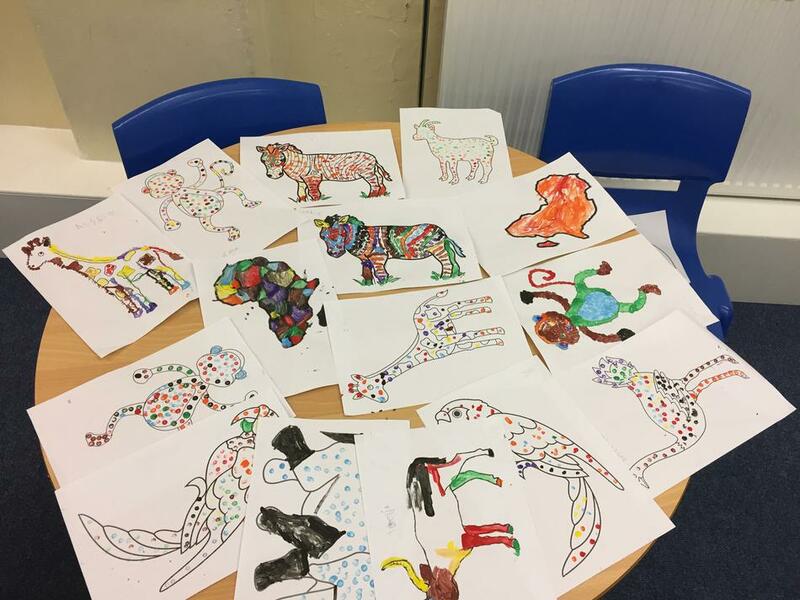 Pupils then created their own African inspired dot paintings of their own. 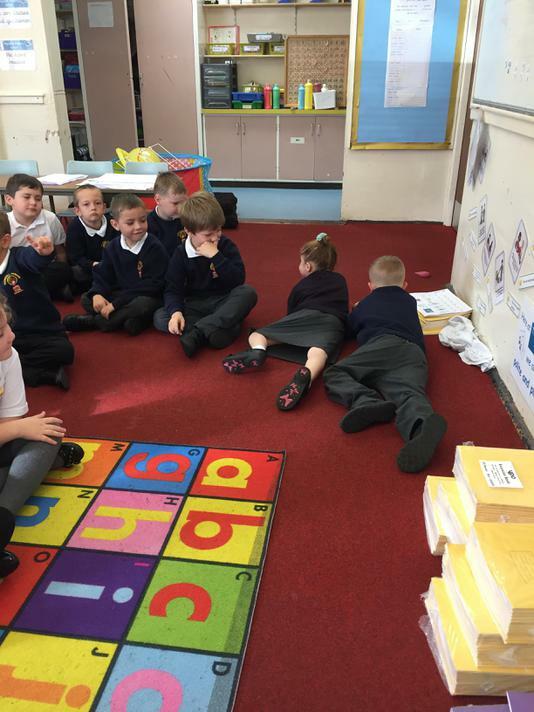 Teams listened to the story read to them by Miss Byrne. 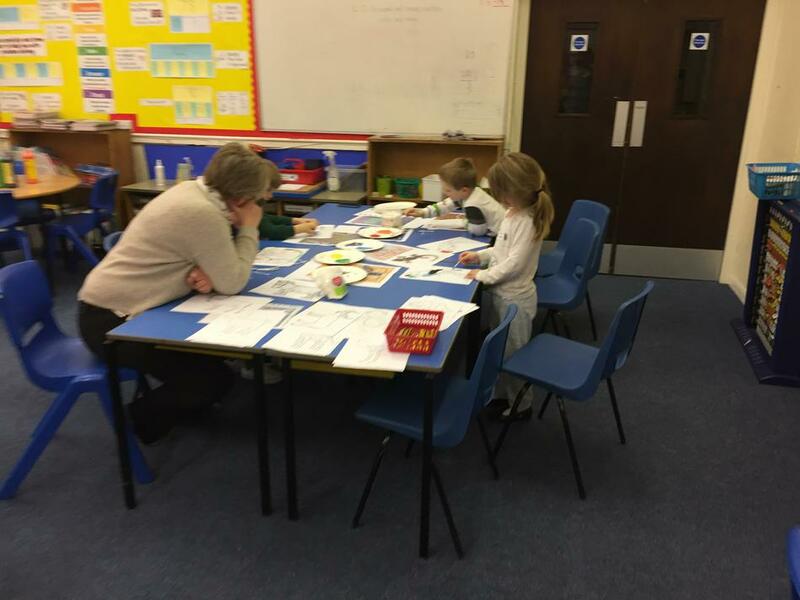 Children then discussed what was special to them about their Mum and Dad. 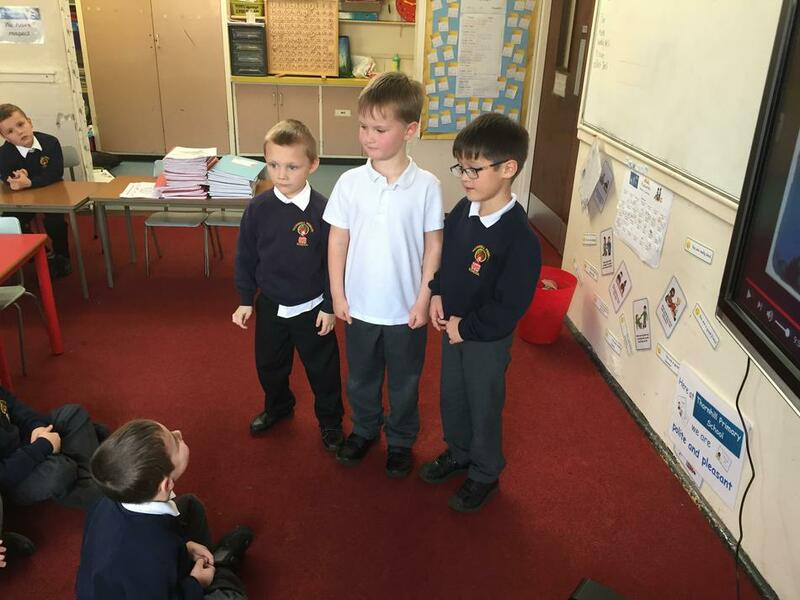 Next pupils discussed a special event which is happening next Sunday; Mother’s Day. 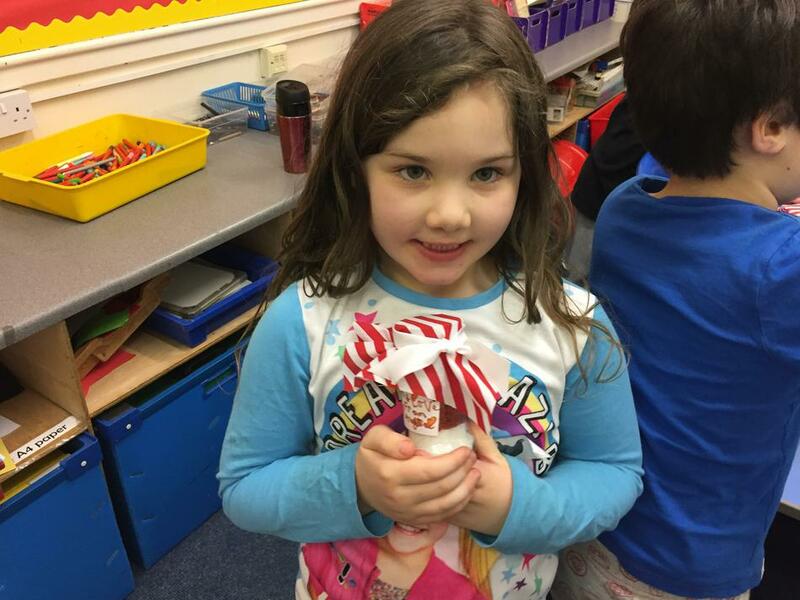 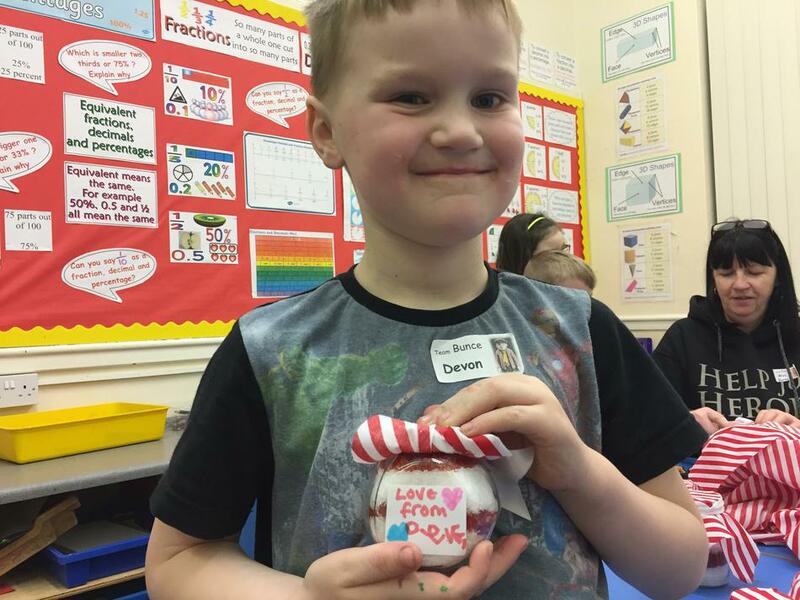 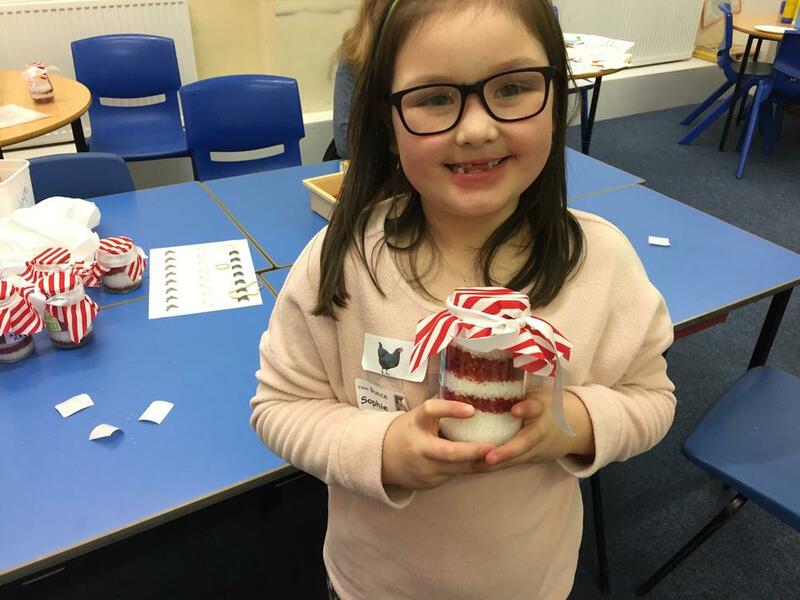 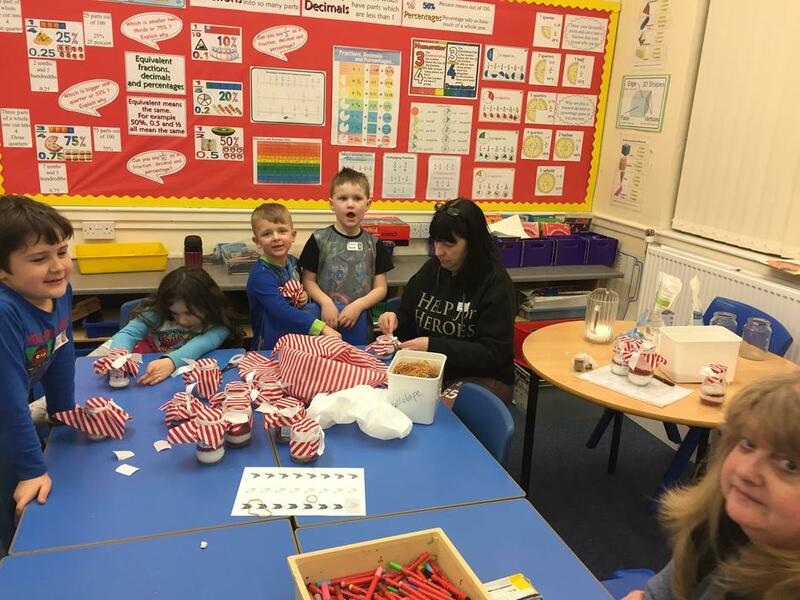 Children then made a bath salts gift set for their Mum to celebrate this special occasion. 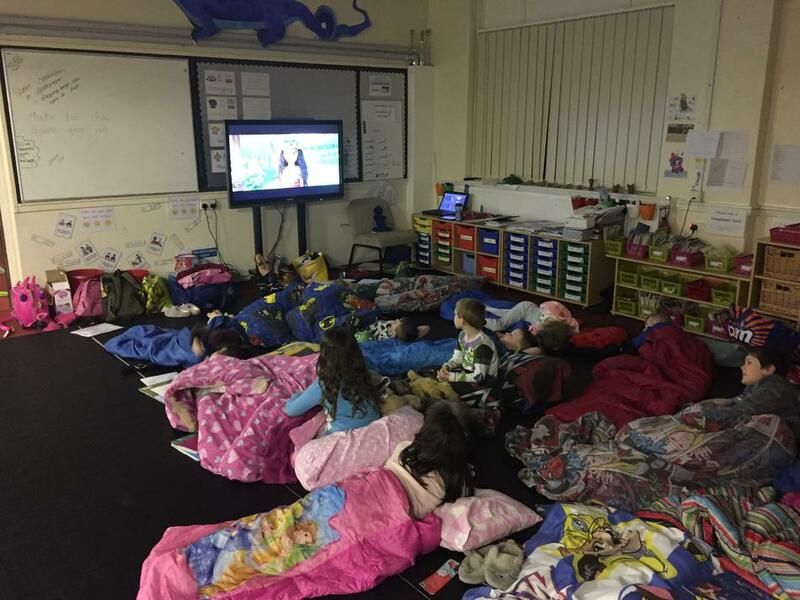 This was one of the highlights of the sleepover. 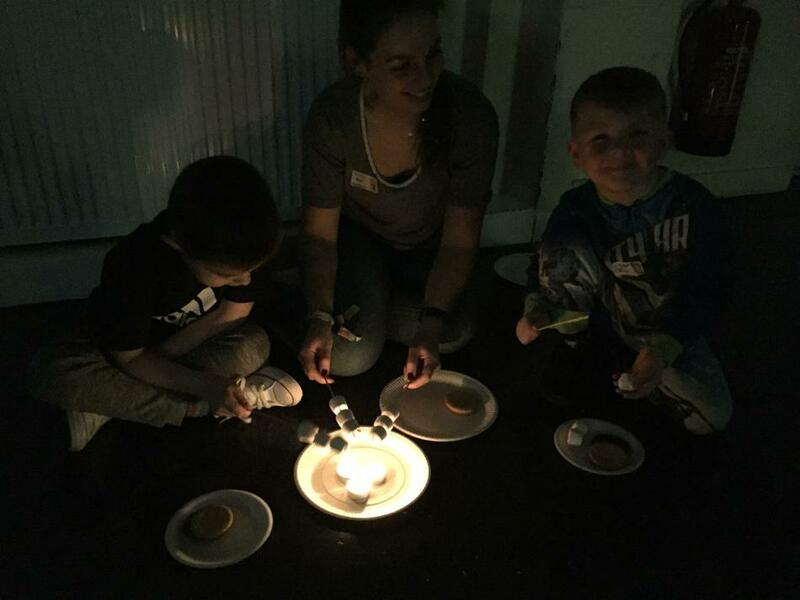 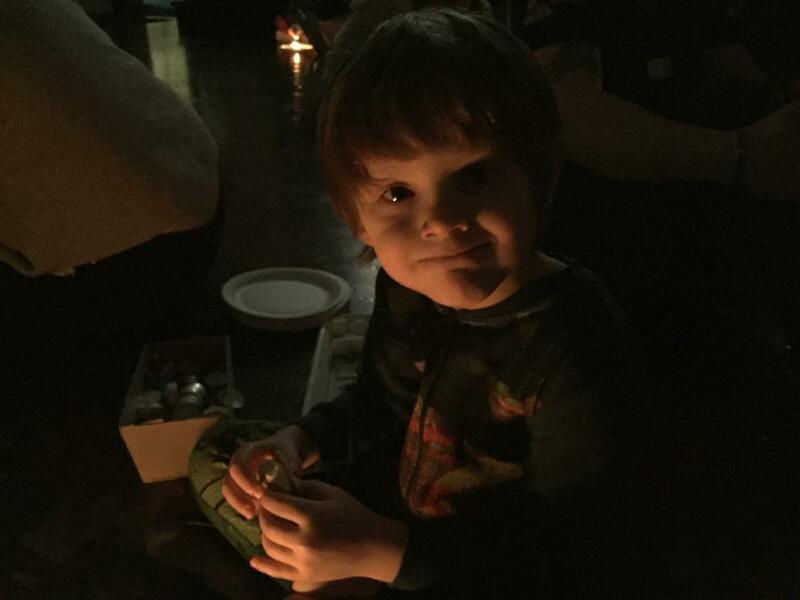 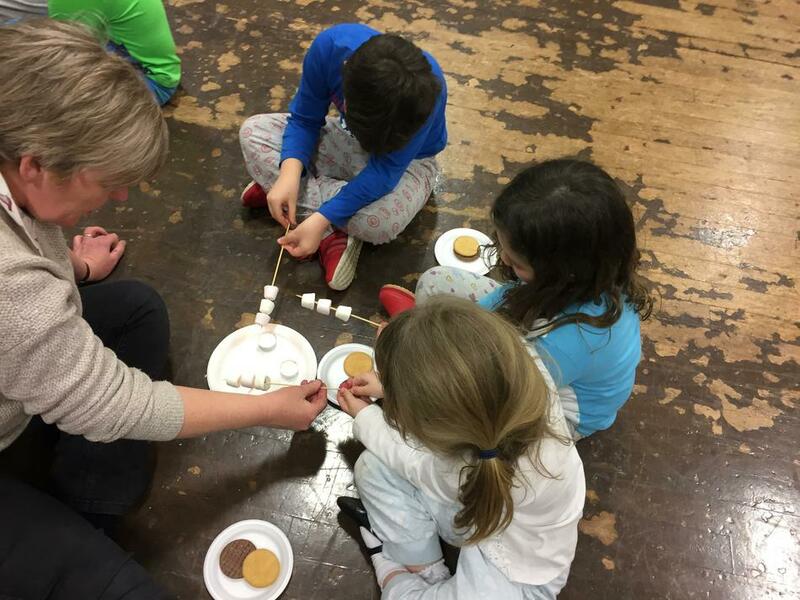 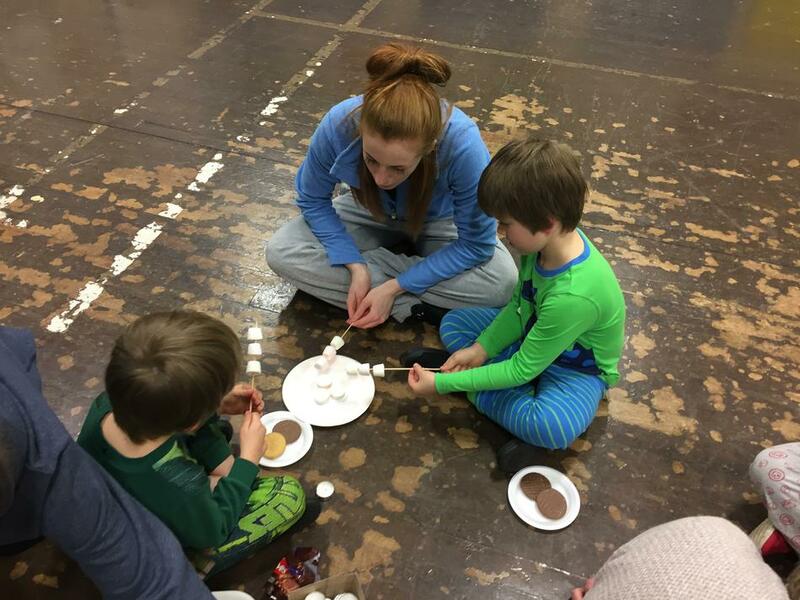 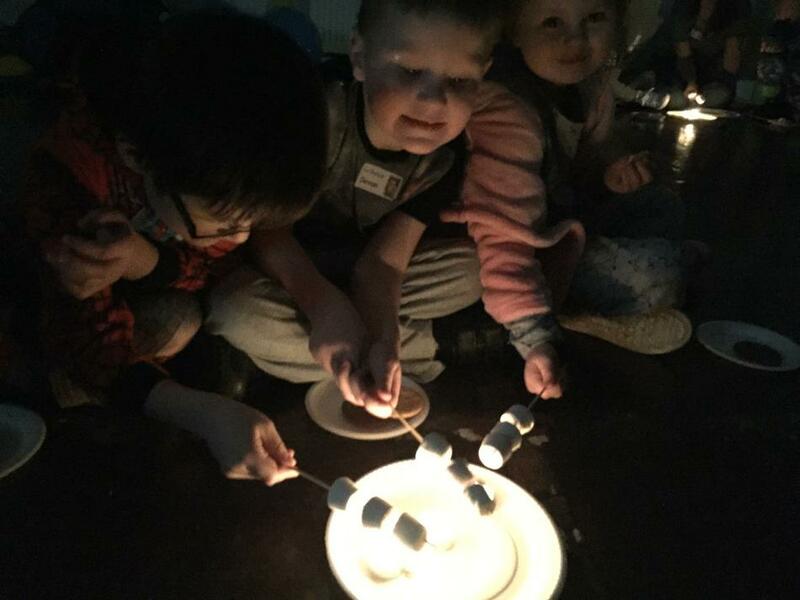 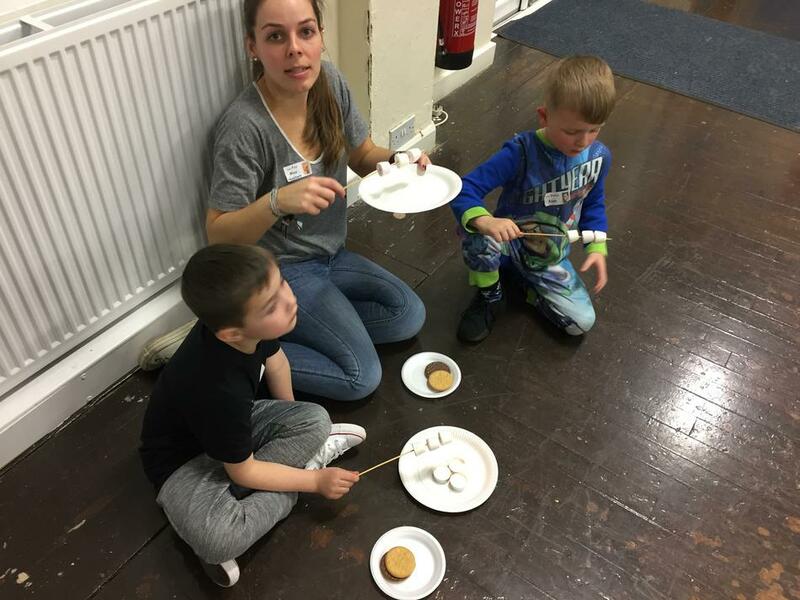 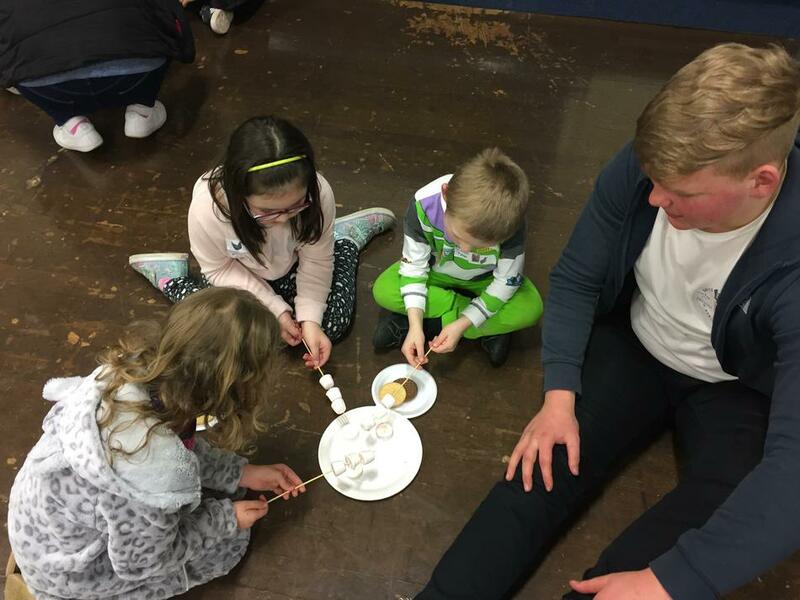 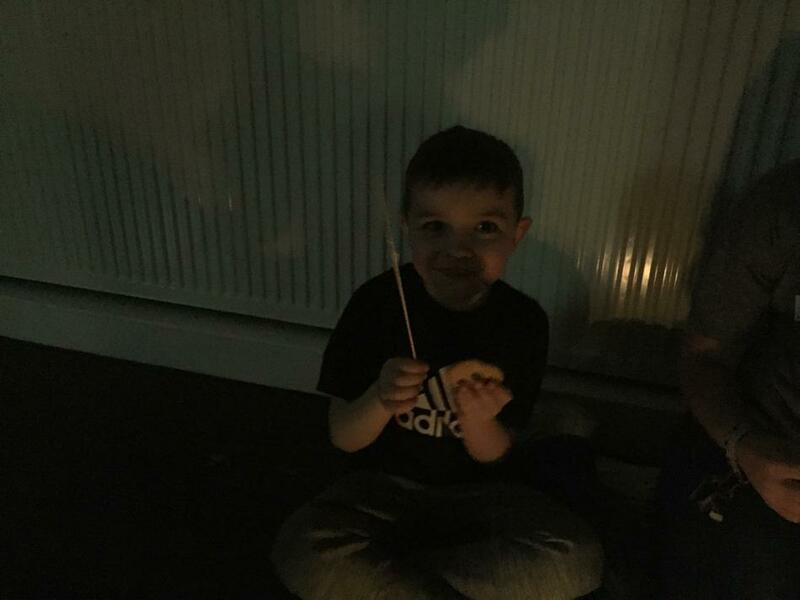 Each child was given a kebab stick with marshmallows on the end ready to roast on a tea light. 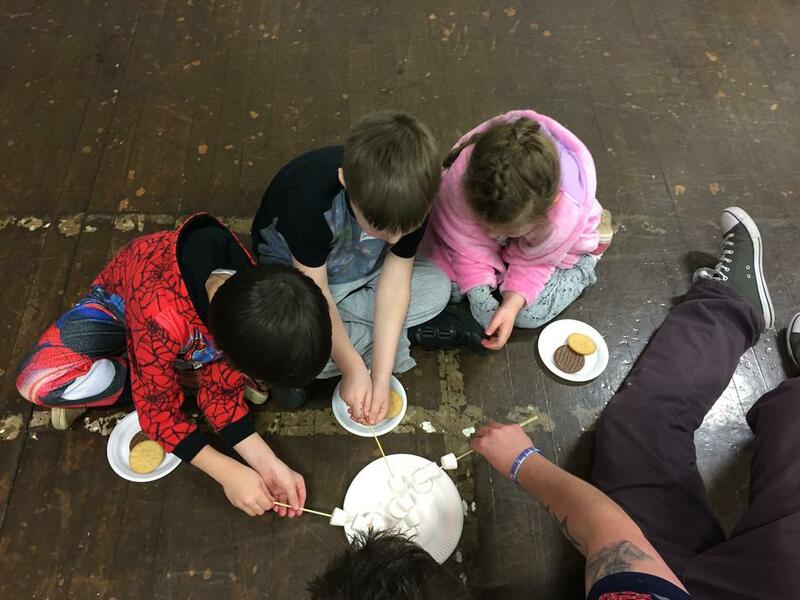 Once melted children then put there gooey melted marshmallow in between 2 chocolate biscuits to make a delicious shmore sandwich. 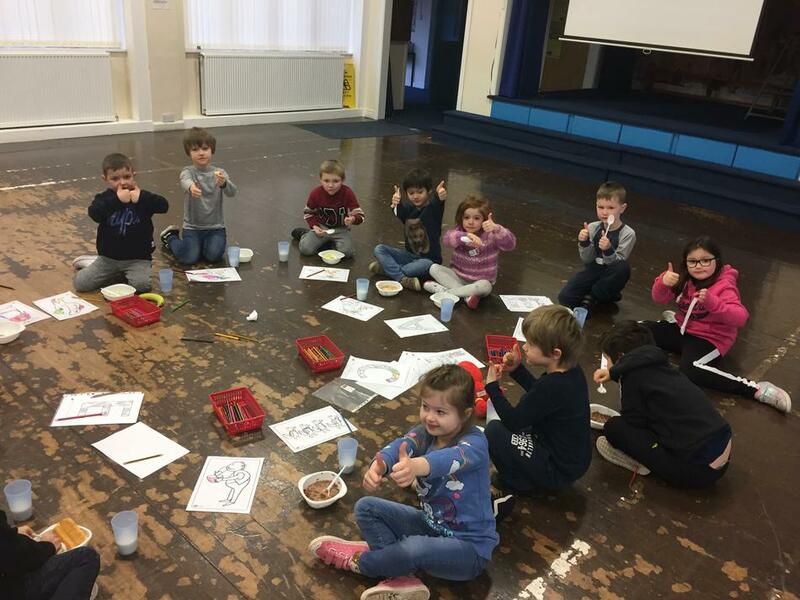 These were very messy but lots of fun! 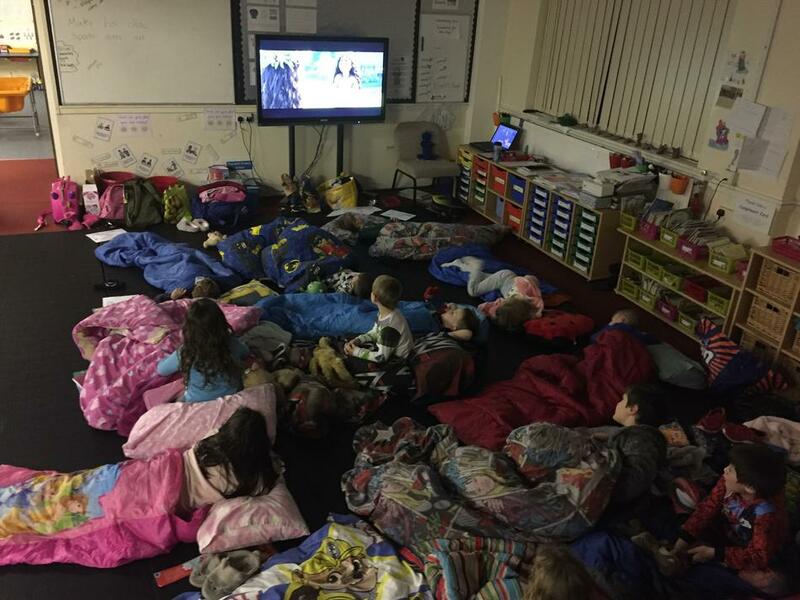 Once we finished all our activities children then set up their beds, got all snuggled up and watched Moana until they fell asleep. 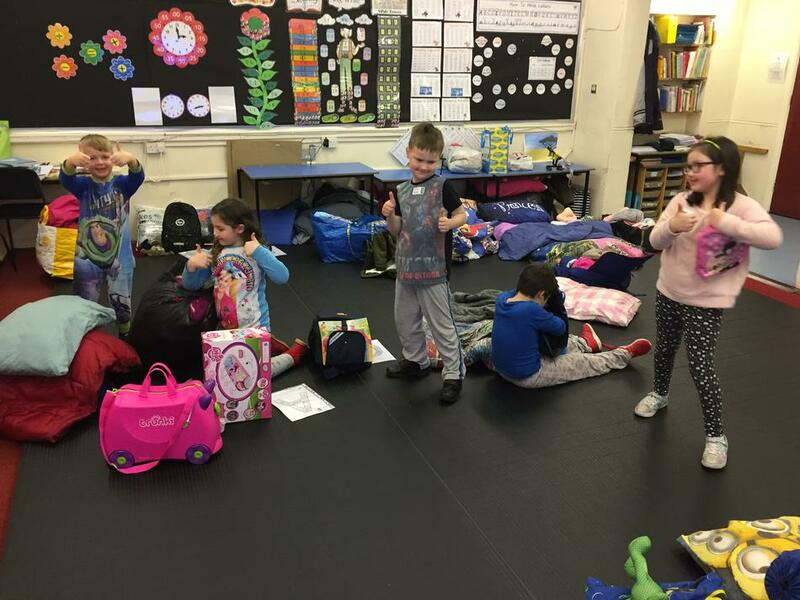 This was a lovely ending to our exciting day and children snuggled up with their books, teddies and friends. 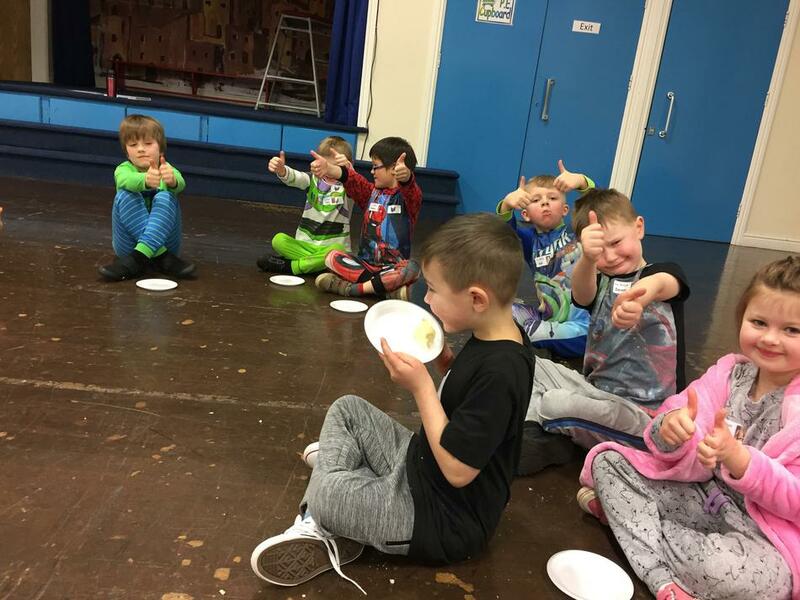 Following a great night’s sleep, we all had a little treat and had cake for breakfast in bed while we read our books. 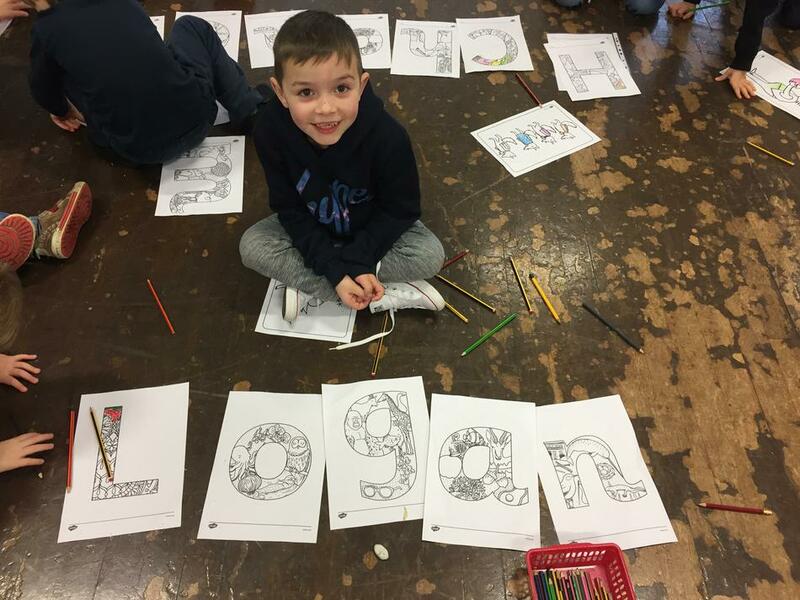 Thanks Logan! 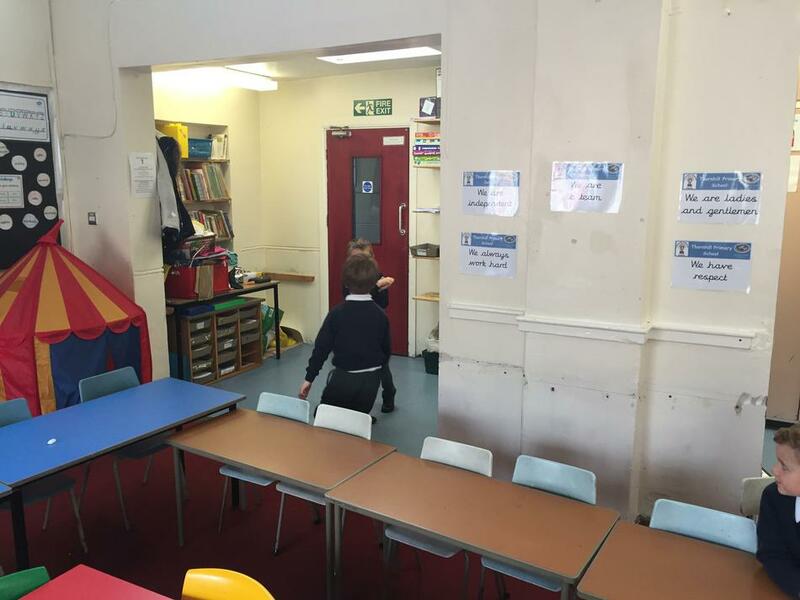 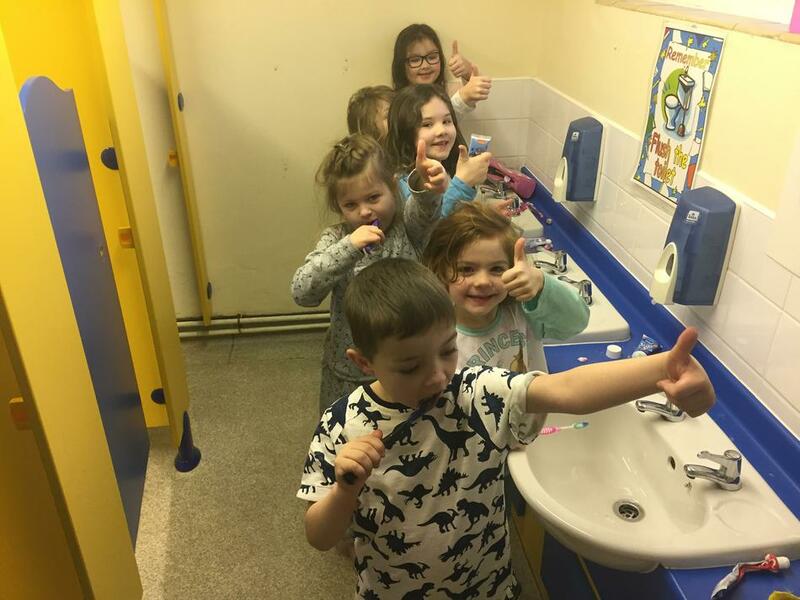 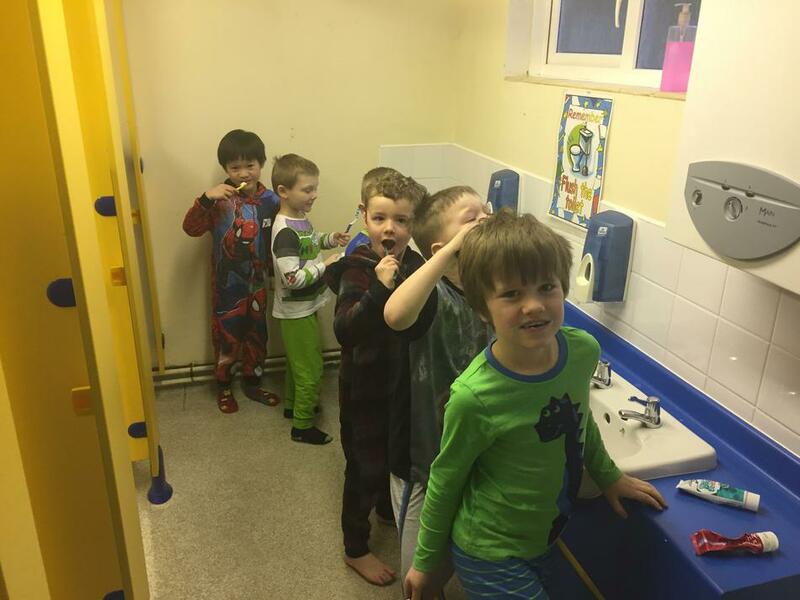 Here you can see children independently getting ready for their day ahead. 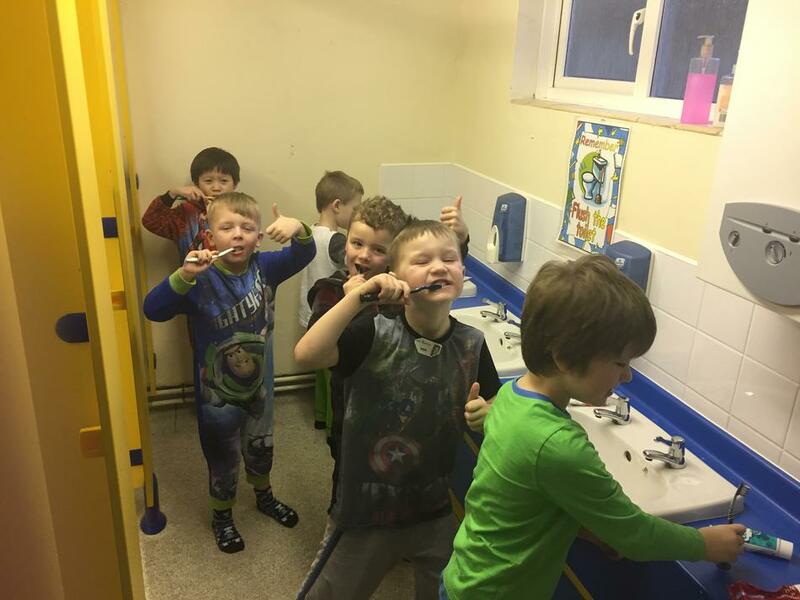 We discussed the importance of activities such as brushing your teeth and how to be responsible for ourselves. 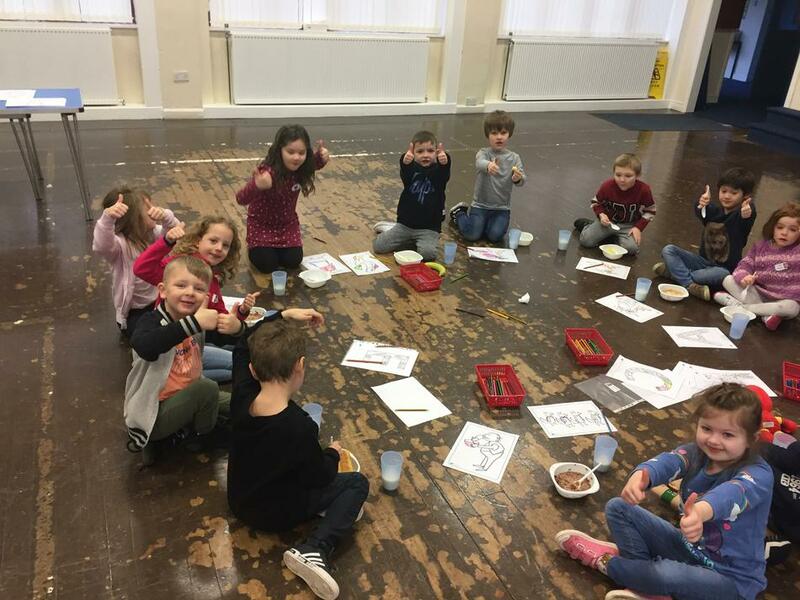 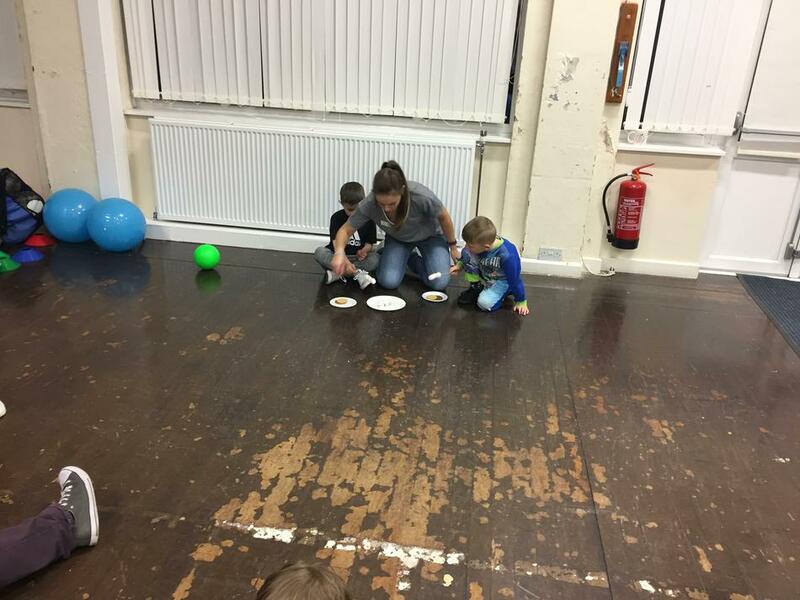 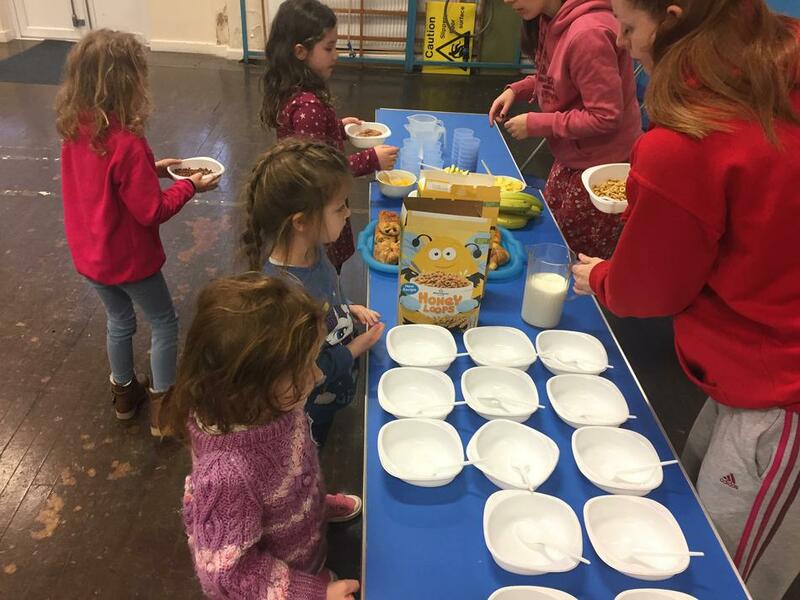 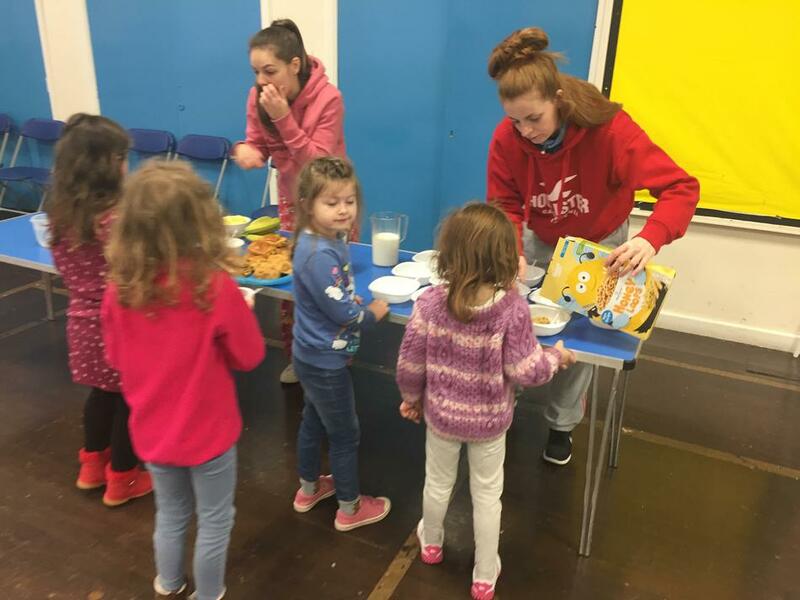 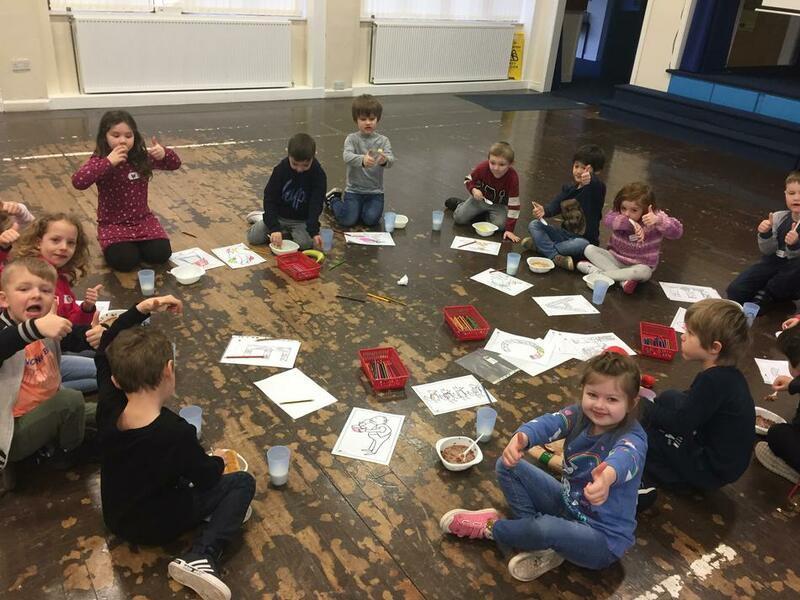 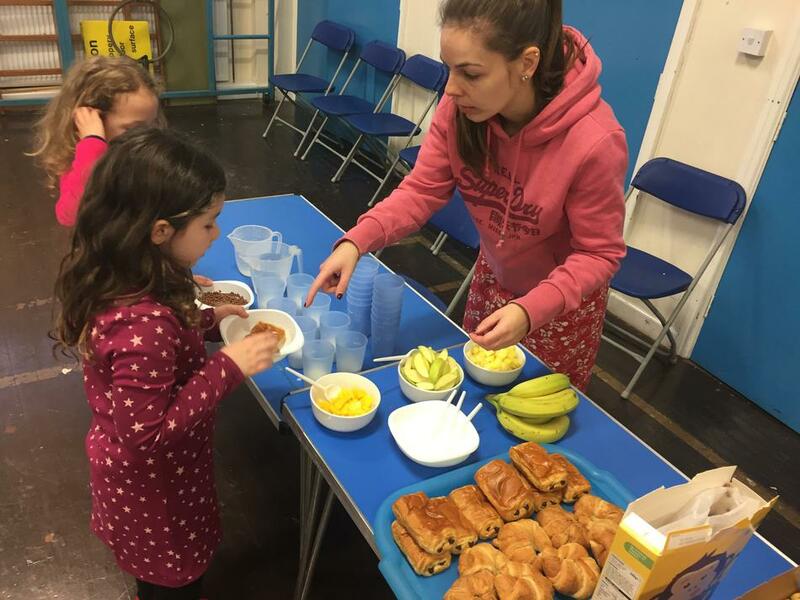 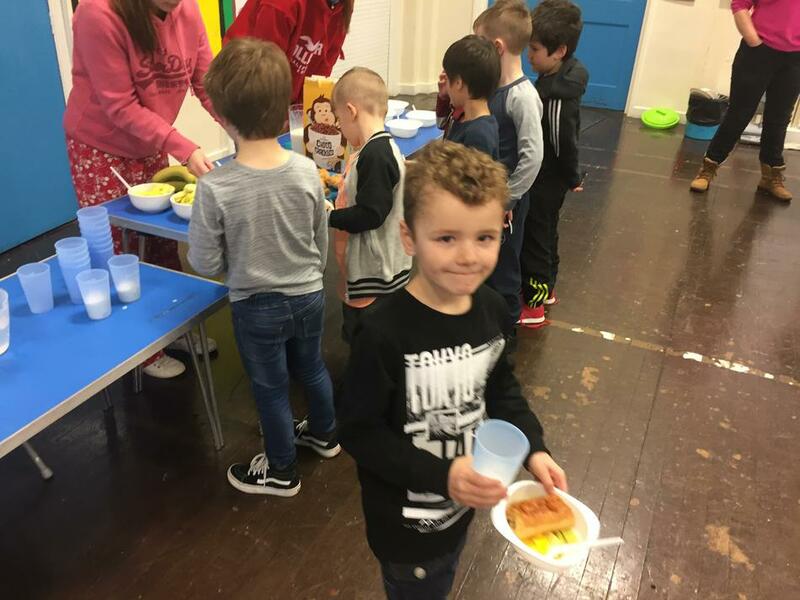 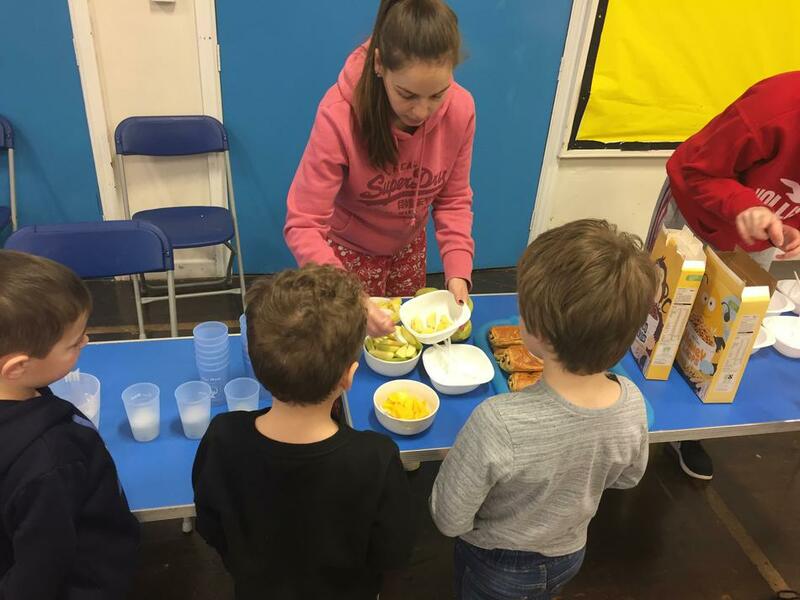 Children could pick from a range of delicious breakfast items, we enjoyed cereals, croissants, mango, pineapple and strawberries. 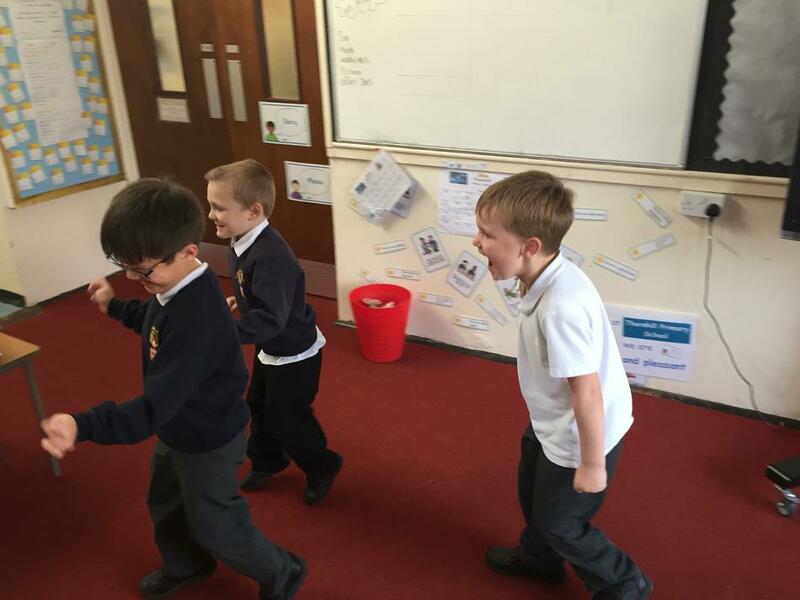 Following this we then finished off our sleepover activities with yoga and mindful colouring. 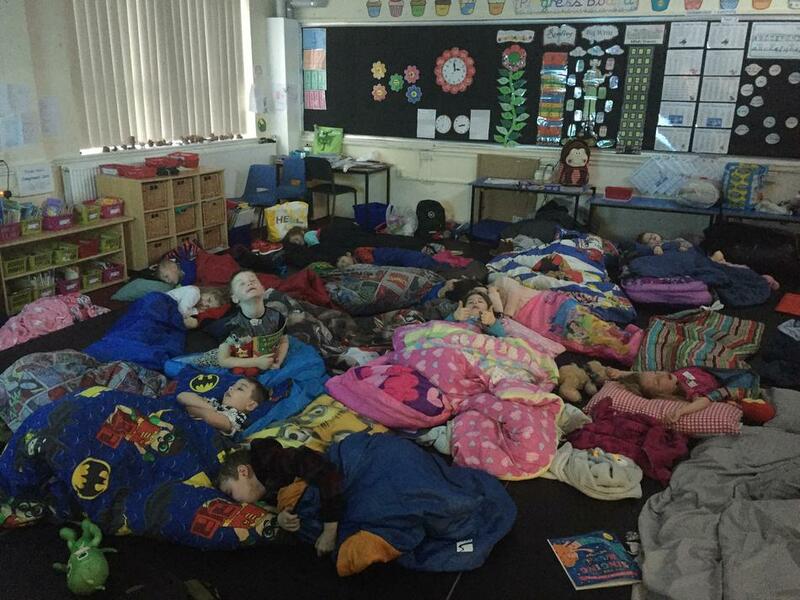 This was to awaken children’s bodies and minds for their weekend ahead. 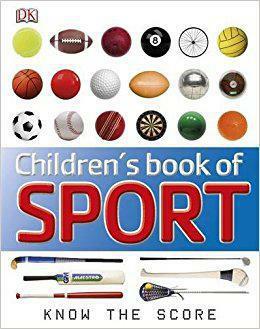 This is our new book for January/February. 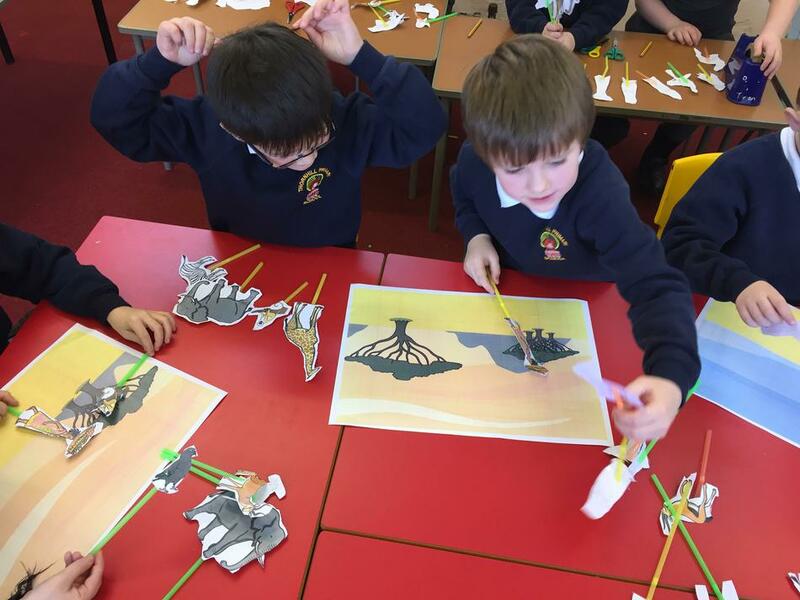 Handa's surprise is a modern classic book which is named one of the best culturally diverse picture books in the UK, this is the story of Handa, who's part of the Luo tribe in south-west Kenya. 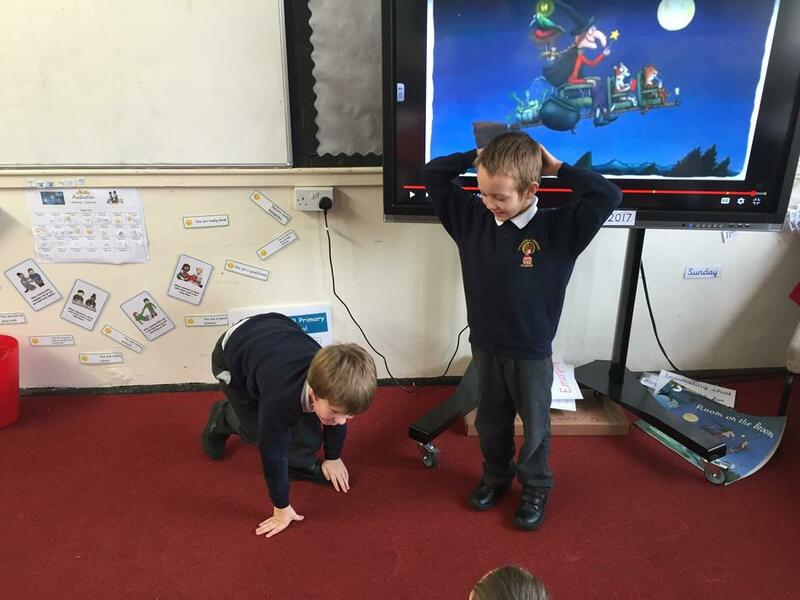 Handa decides to take seven pieces of delicious fruit to her friend, Akeyo, who lives in the neighbouring village. 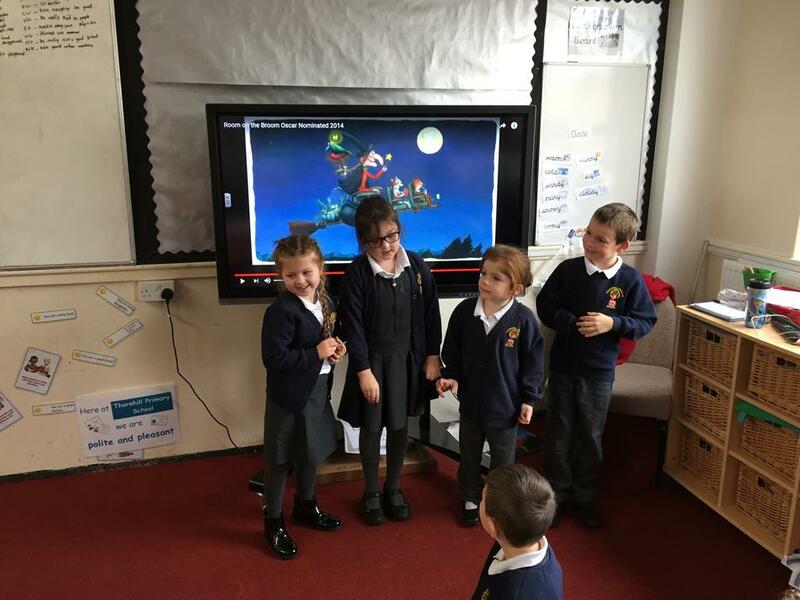 But as Akeyo wonders, I wonder what fruit Akeyo will like best?, a series of sneaky animals steal something from Handa's basket, which she's carrying on her head... 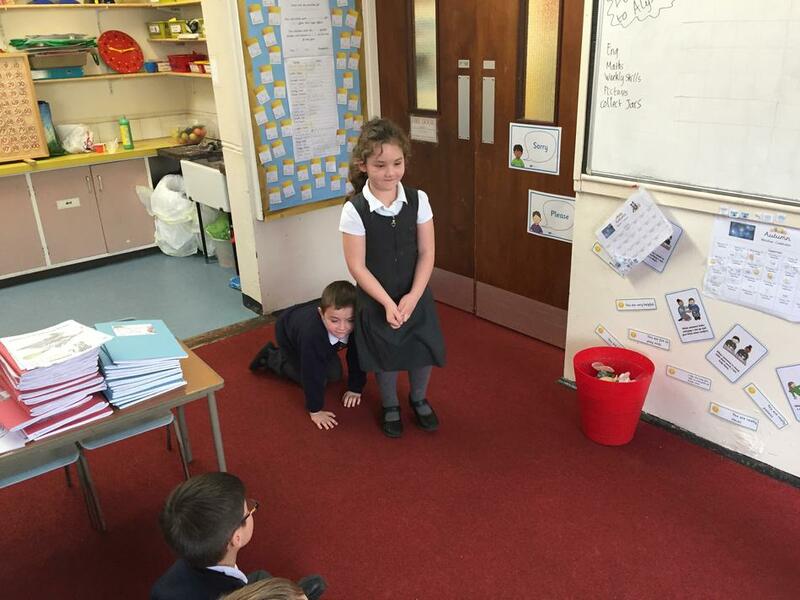 When Handa reaches Akeyo, will she have anything left to offer her friend? 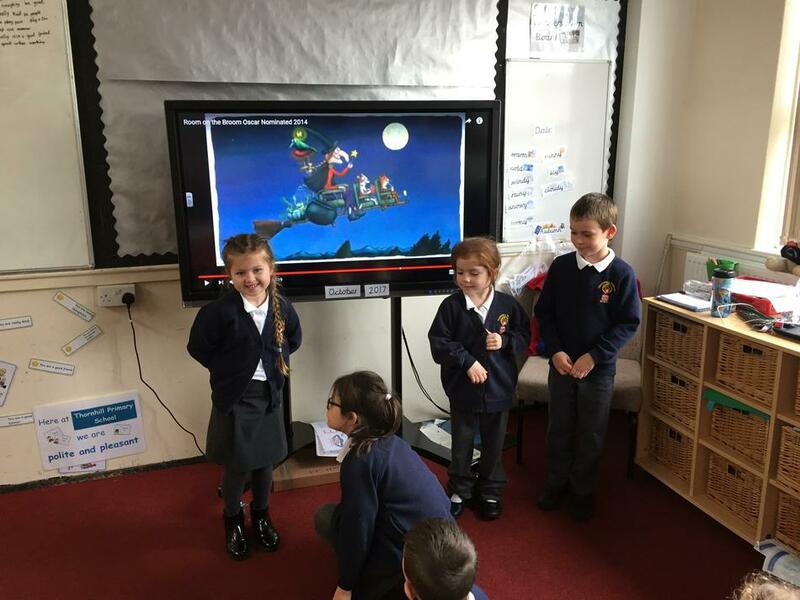 Handa puts seven delicious fruits in a basket to take to her friend, Akeyo. 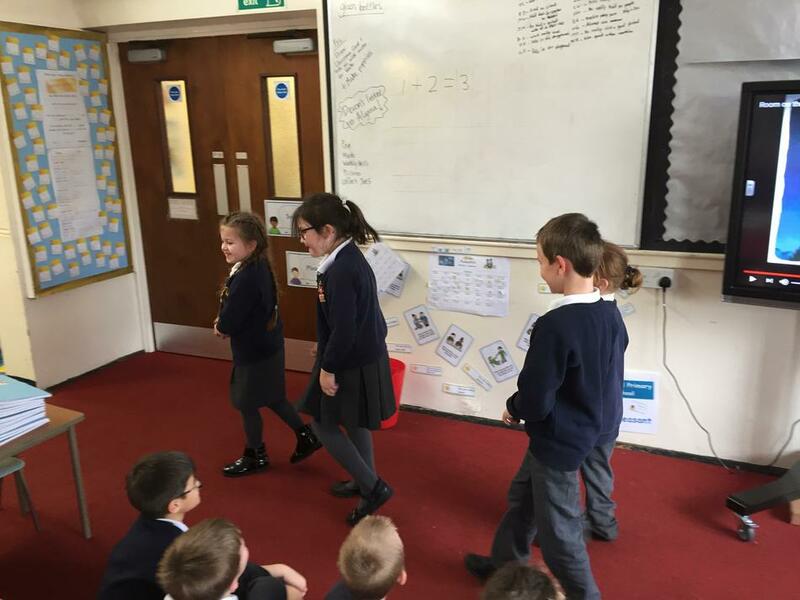 But as she walks, carrying the basket on her head, various creatures steal her fruits. 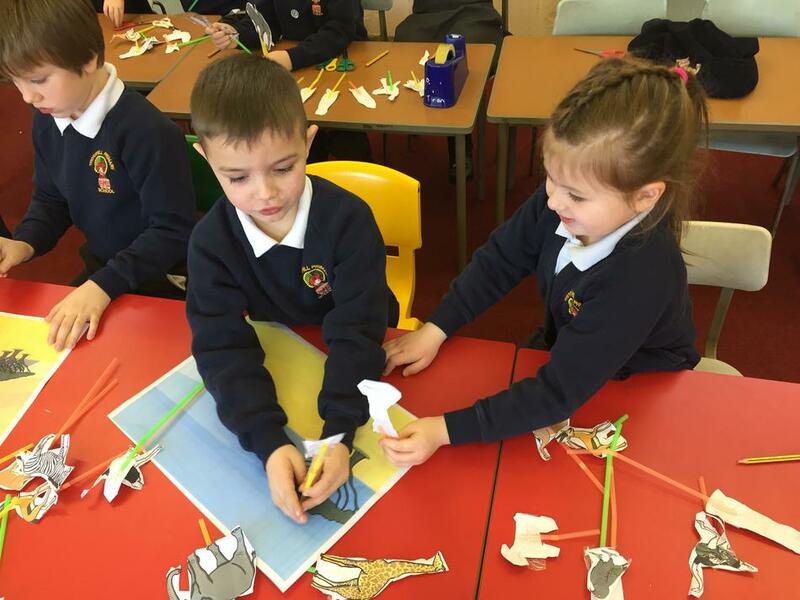 A monkey takes the banana, an ostrich the guava, a zebra the orange, an elephant the mango, a giraffe the pineapple, an antelope the avocado and a parrot the passion fruit. 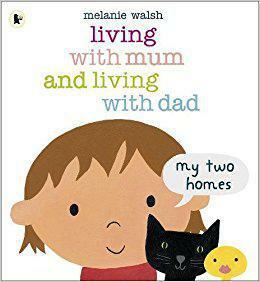 This is our new book for October/November. 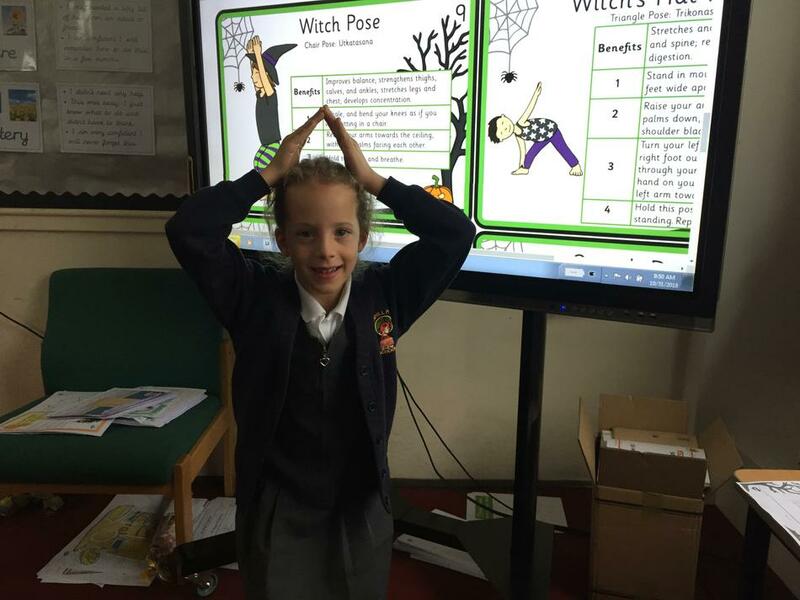 The Halloween inspired story is about a friendly and kind witch who stumbles upon a little trouble when her broom can't quite fit all her friends on. 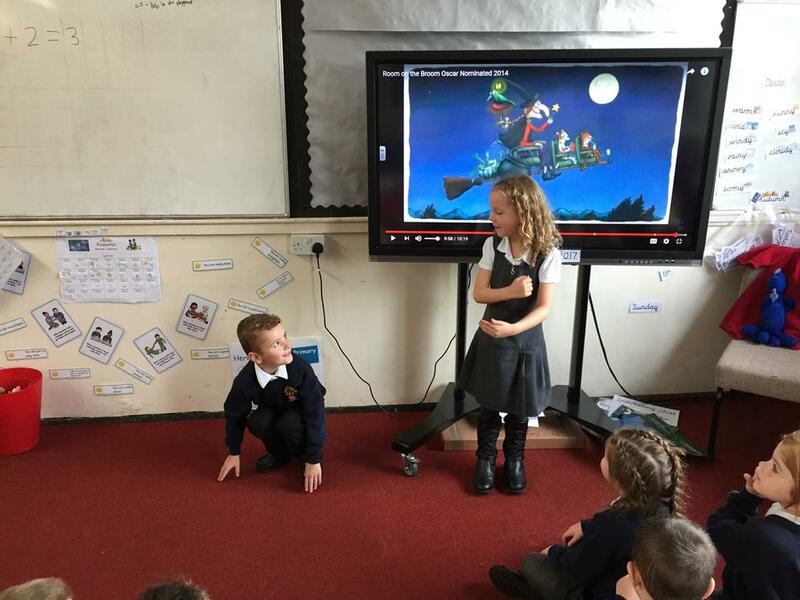 Watch the story below to find out more about this exciting tale. 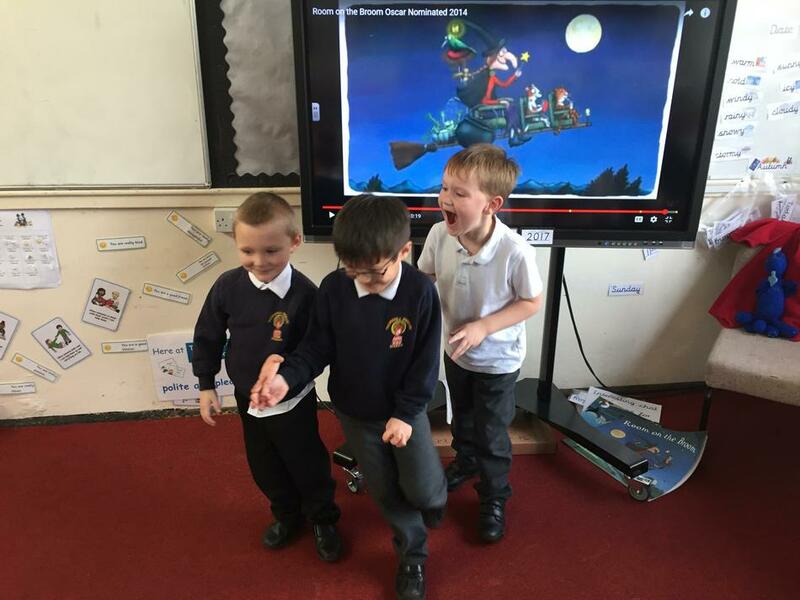 British comedian and actress Josie Lawrence brings to life another wonderful story from Julia Donaldson about a witch, her friends and a broom. 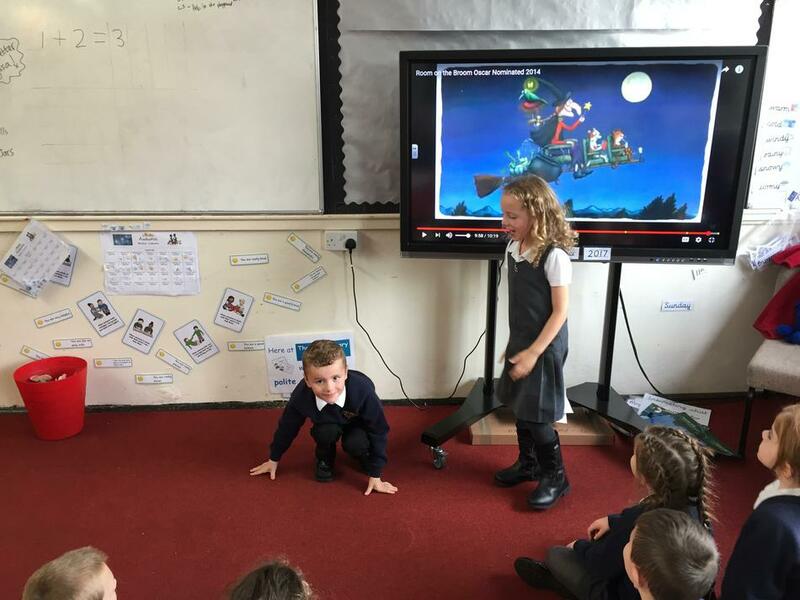 Listen along with the colorful pictures by Axel Scheffler and see what happens when the witch and her friends run into trouble. 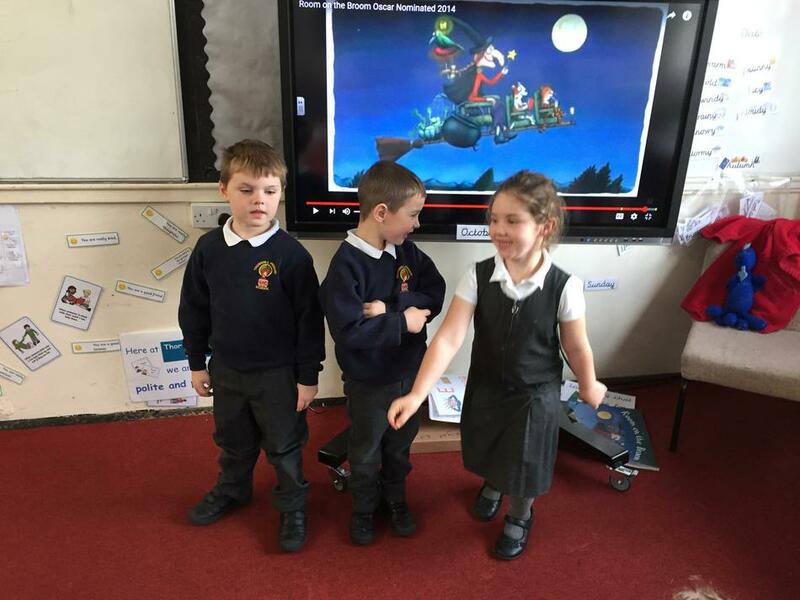 After reading the story for the first time children acted out different scenes from the book. 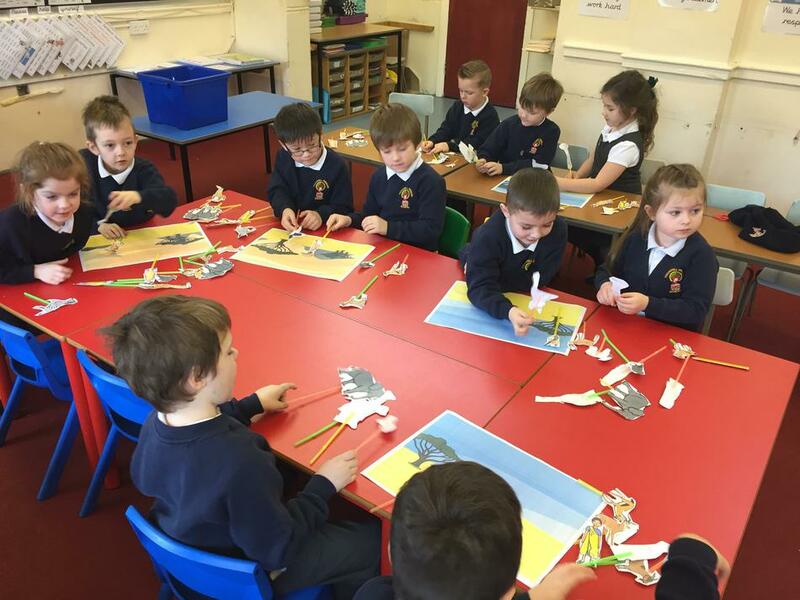 What a difference a term makes! 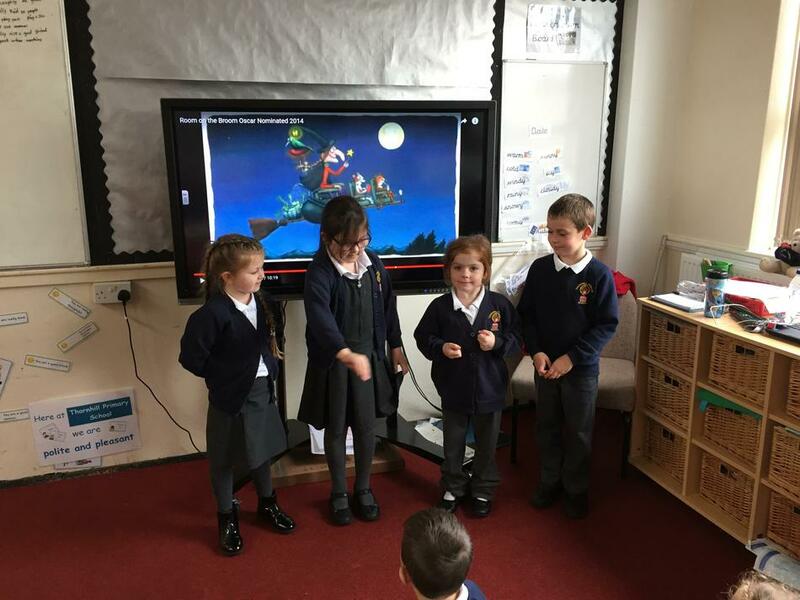 the children's acting skills and understanding of a book they had only just read was outstanding and we are all very proud of their efforts. 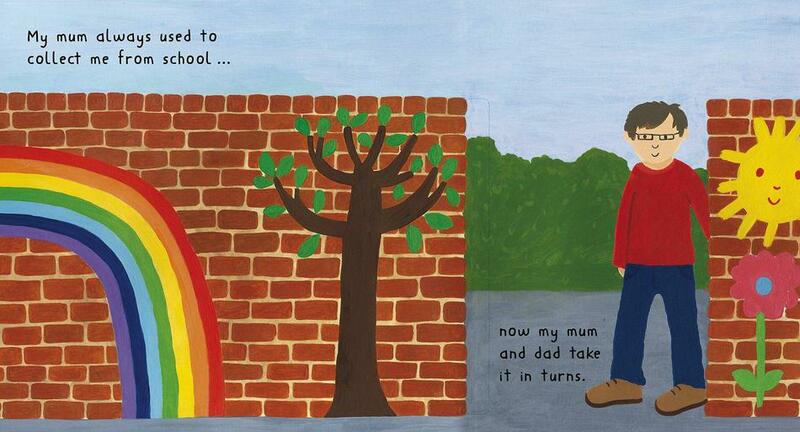 This is our current book in KS1. 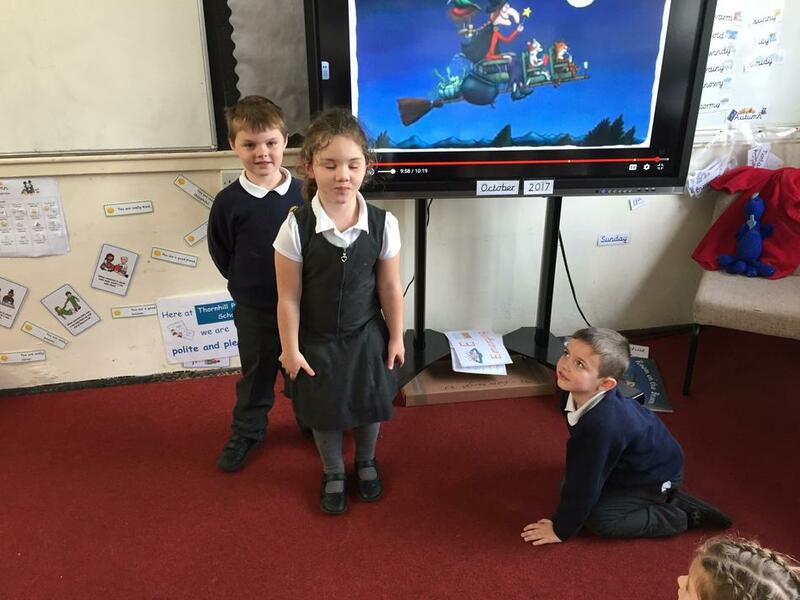 It is the story of a tiny snail who has big dreams of exploring the world and meets a whale to help her in her quest. 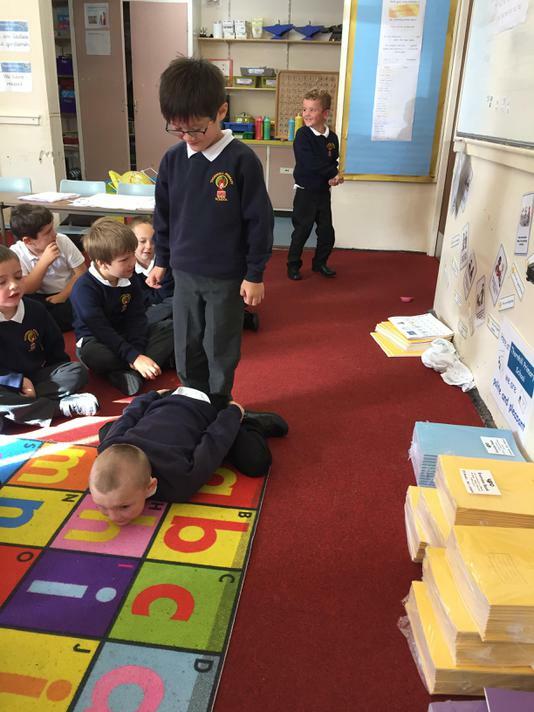 But disaster strikes when the whale is beached in a bay. 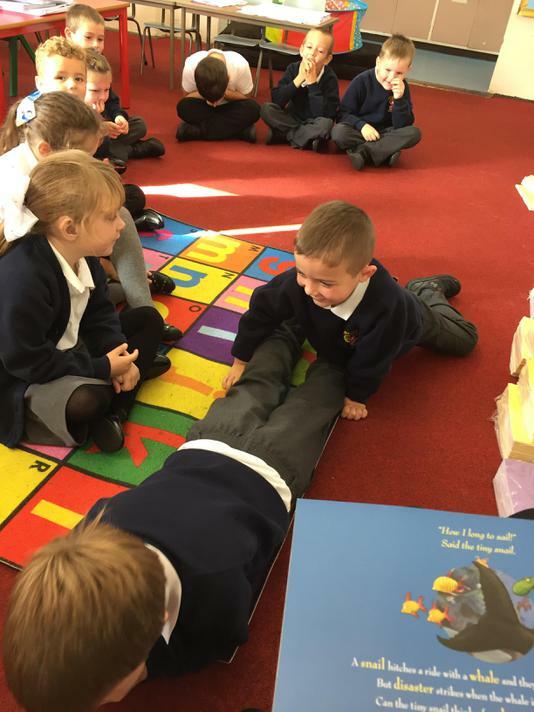 Can the tiny snail think of a plan big enough to save him? 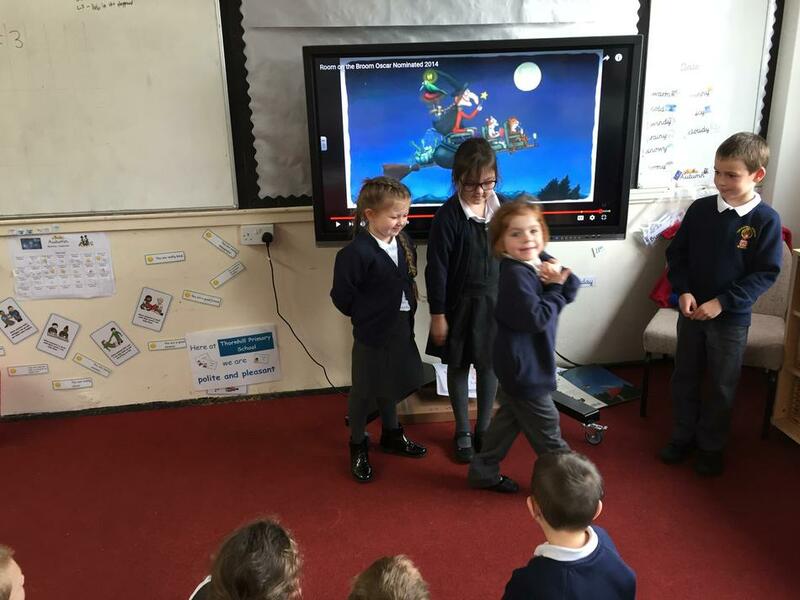 Find out more about the book by reading along with it on this video below. 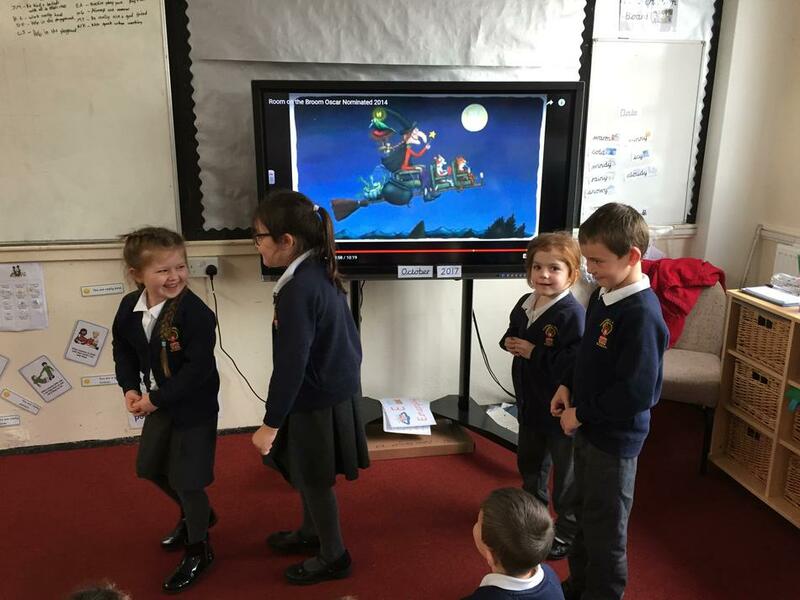 As a class children watched this video. 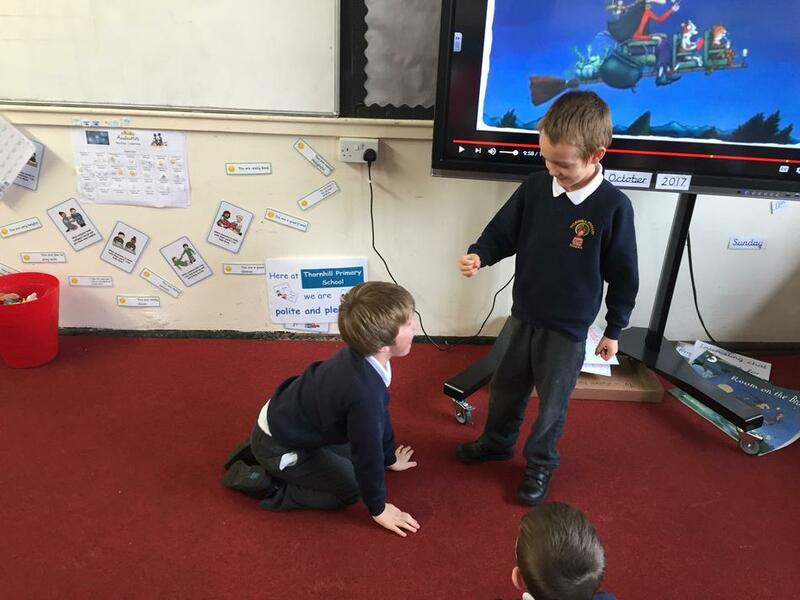 Following this, pupils worked in groups and acted out different parts of the story. 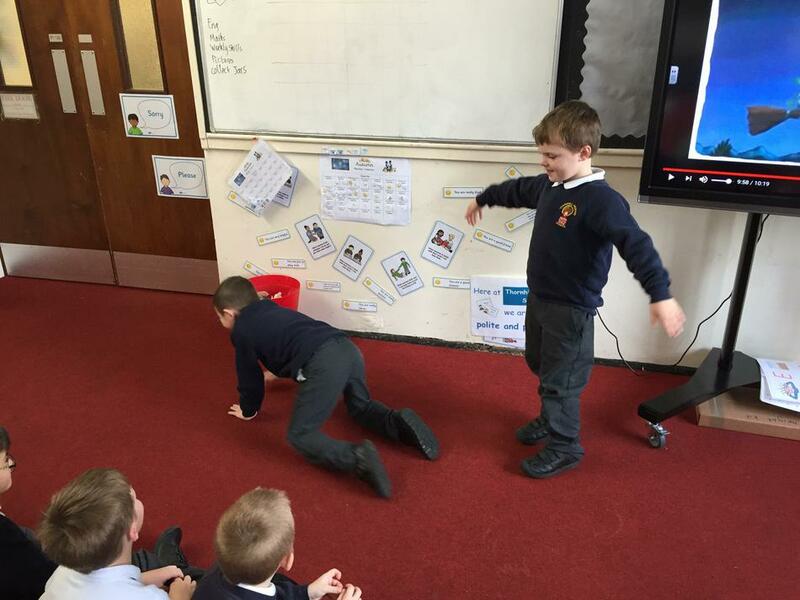 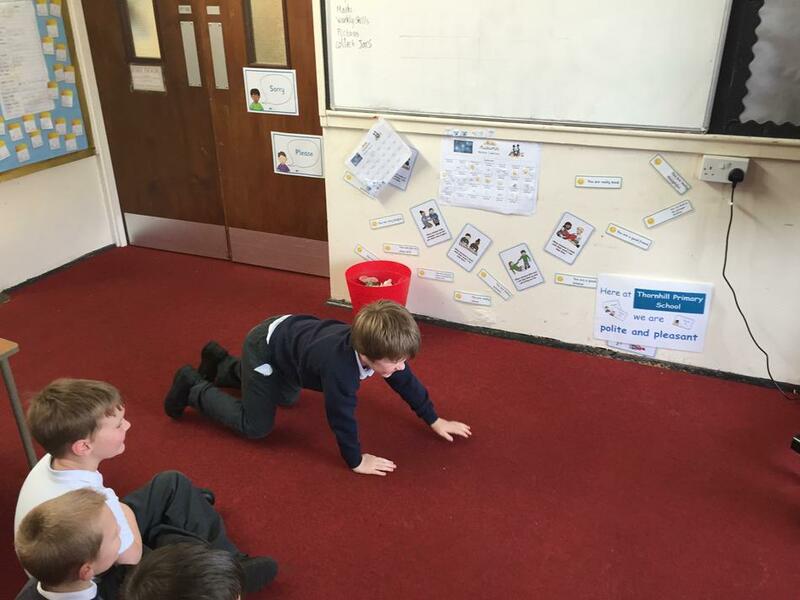 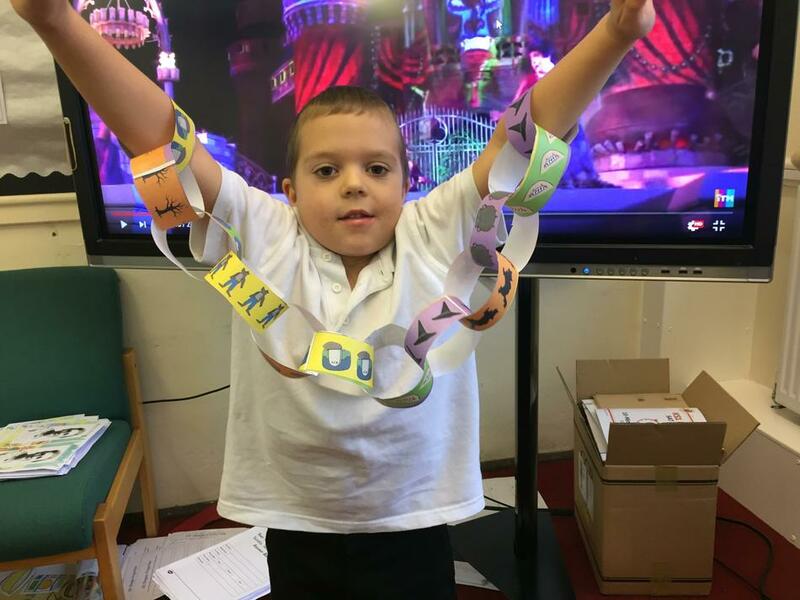 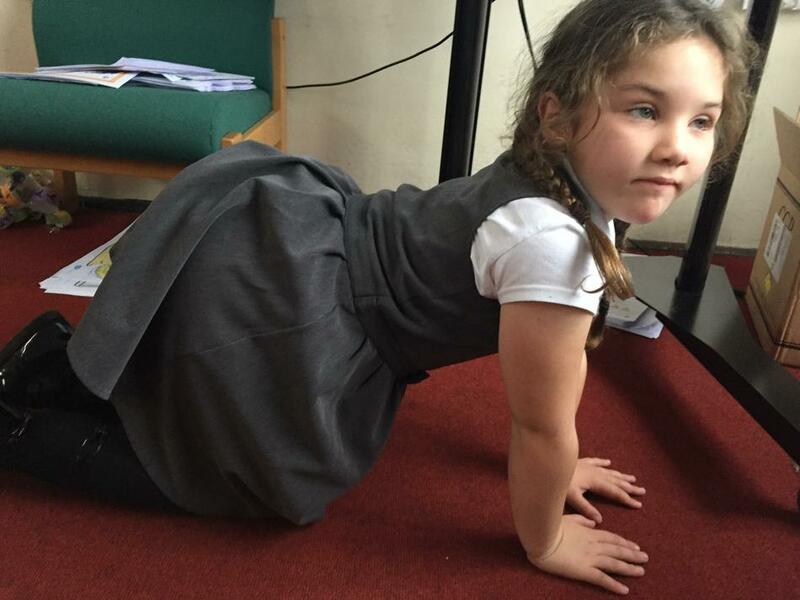 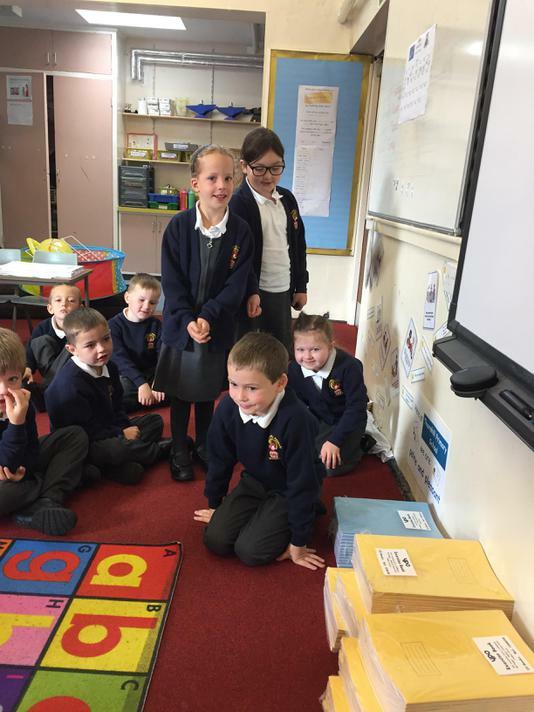 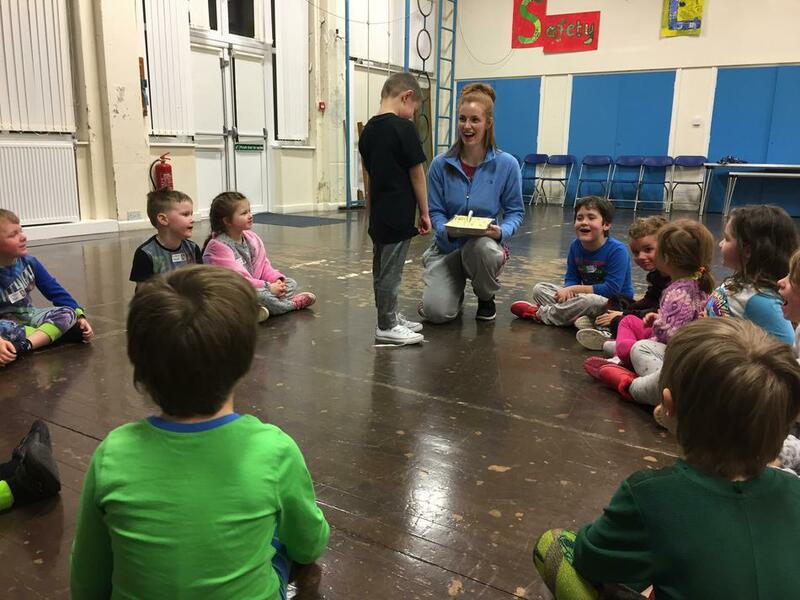 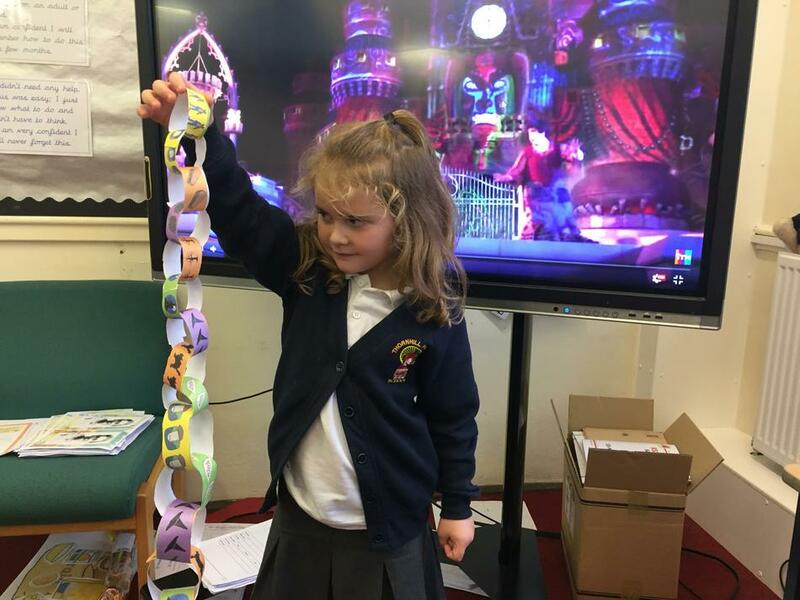 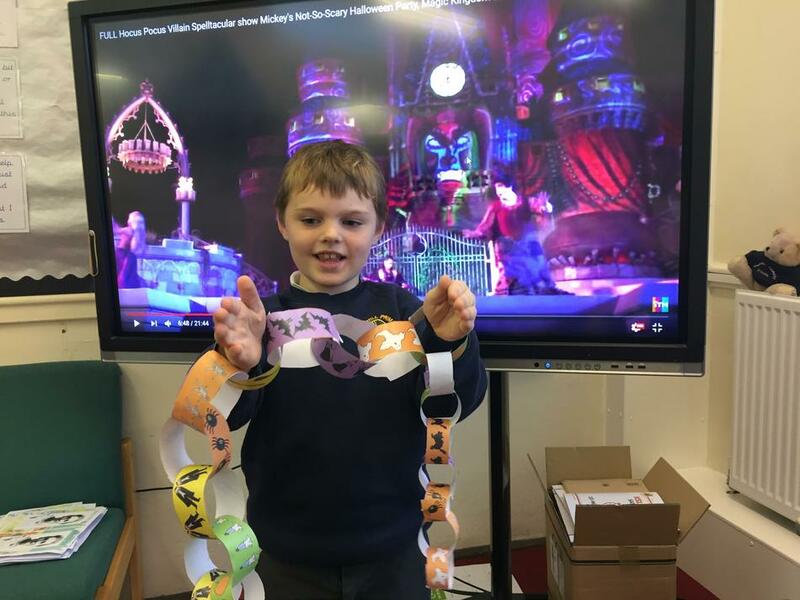 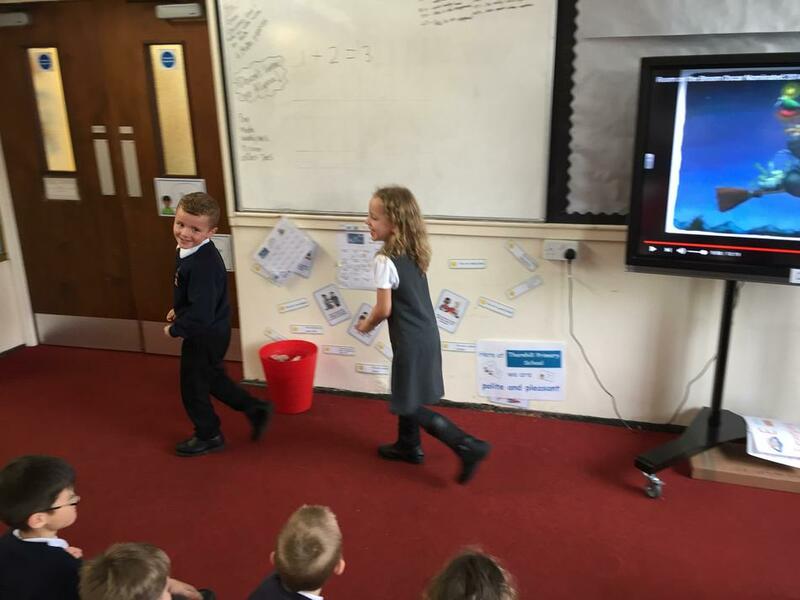 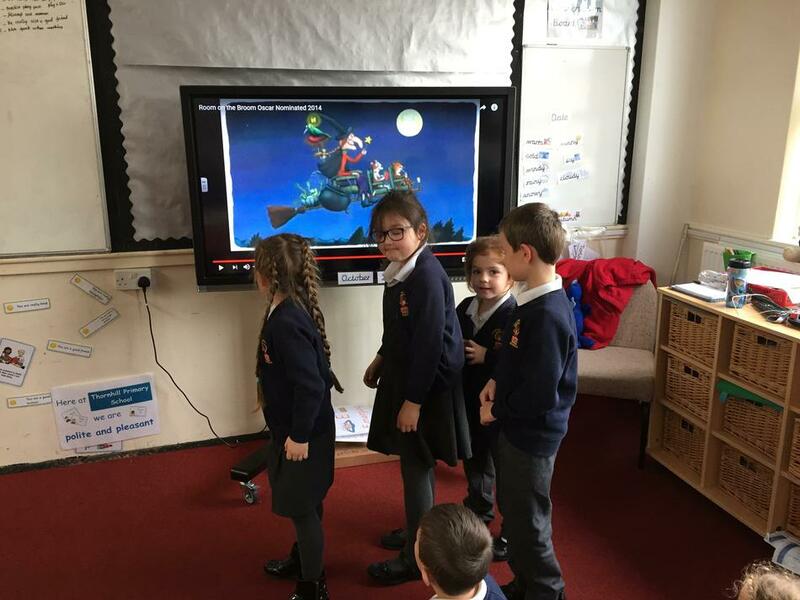 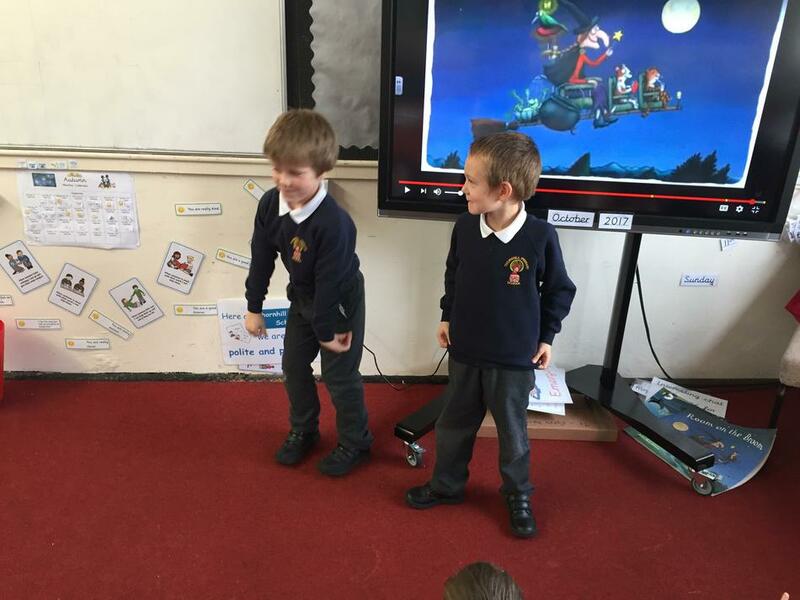 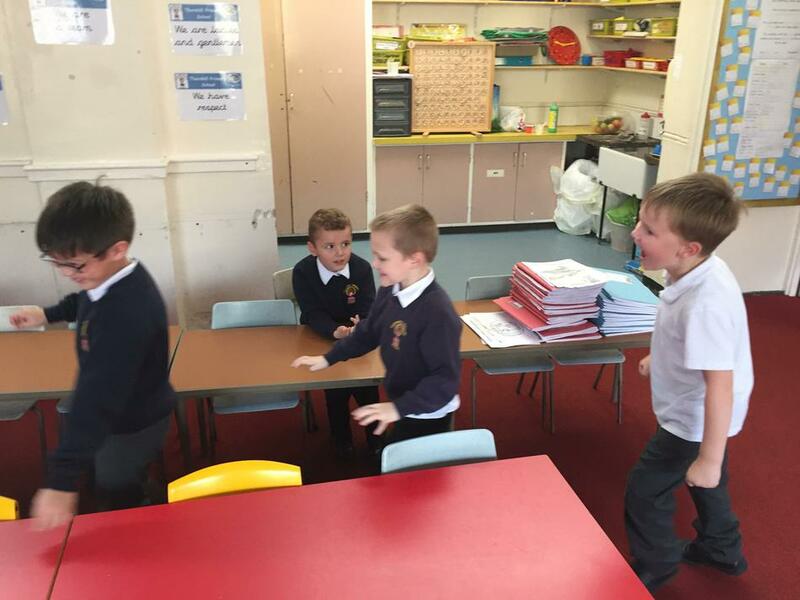 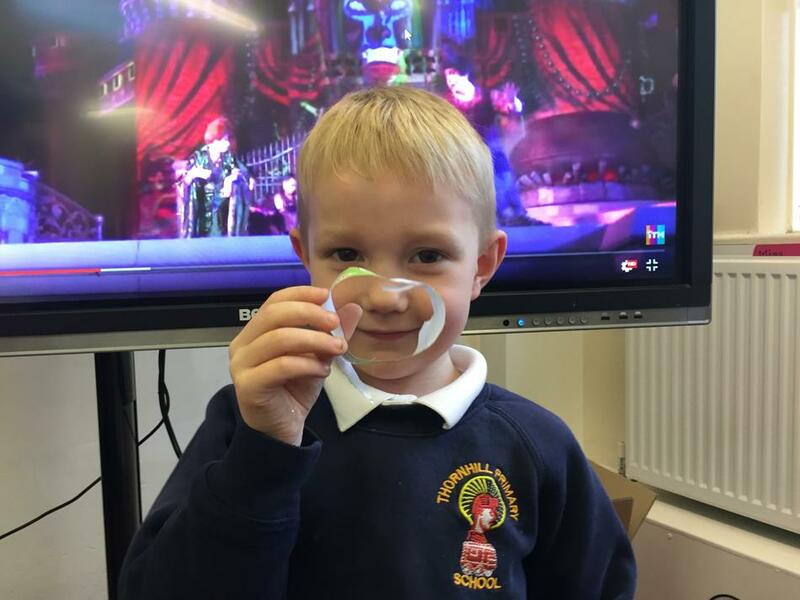 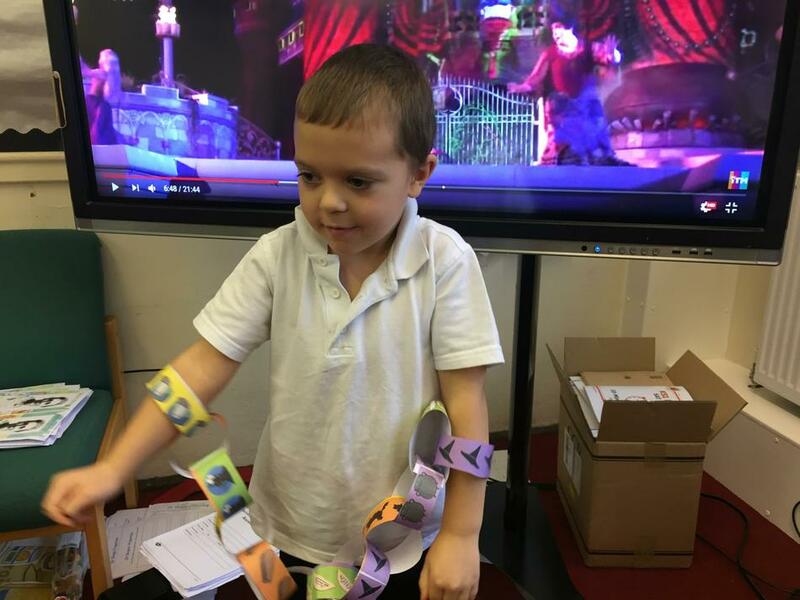 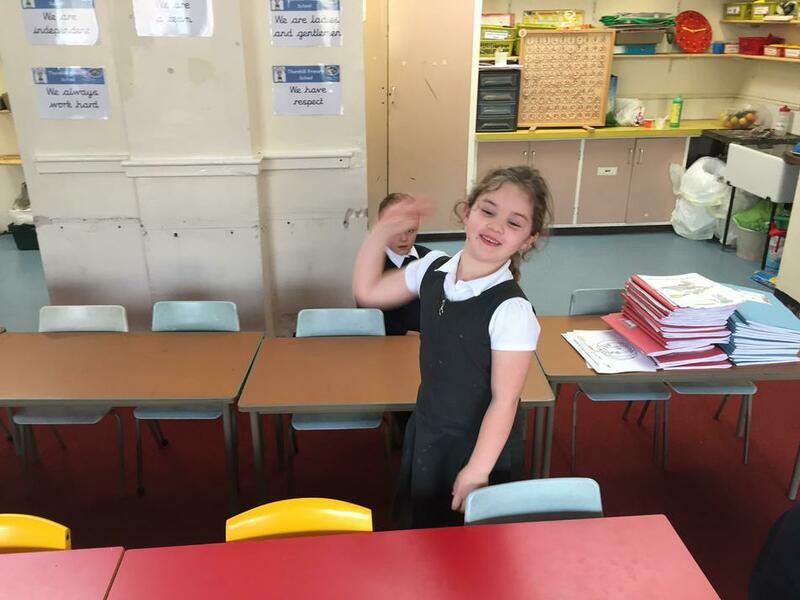 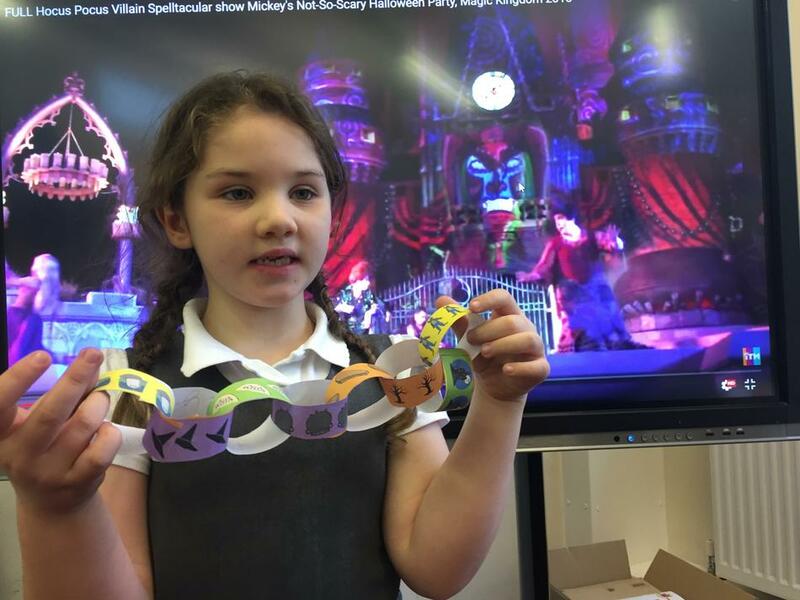 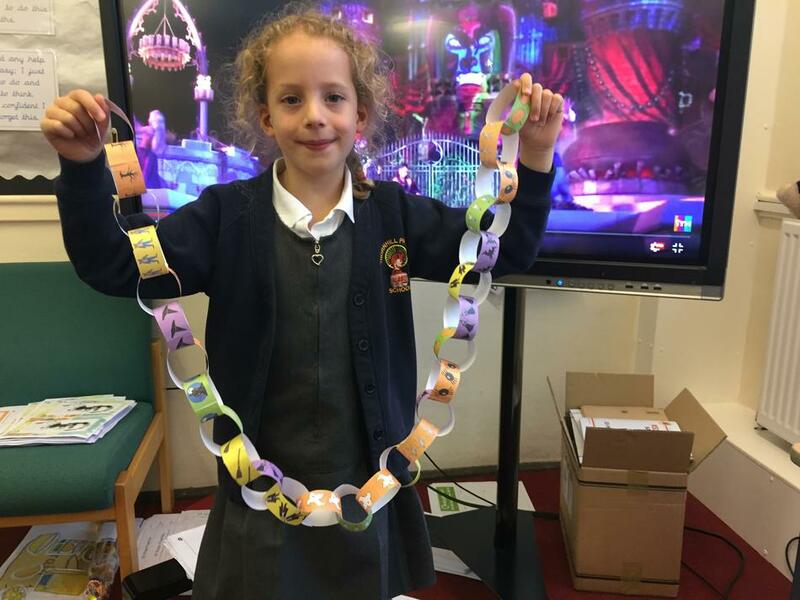 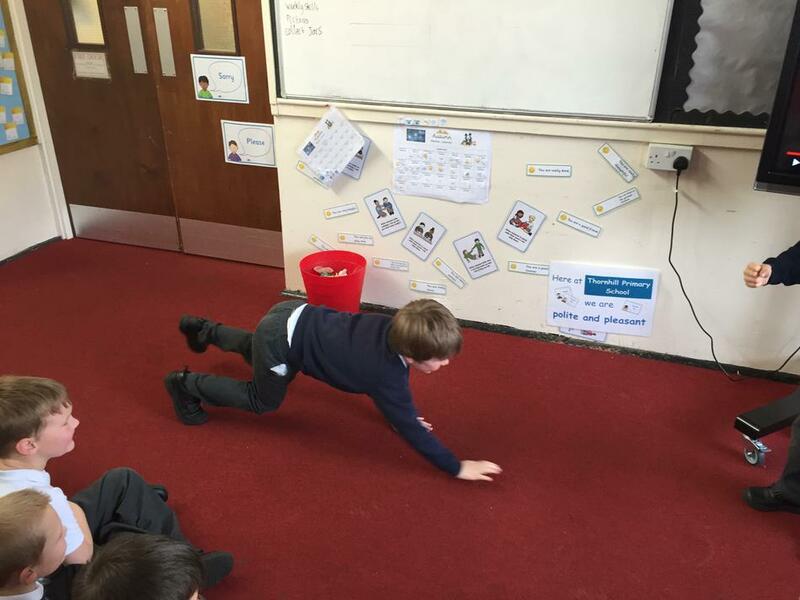 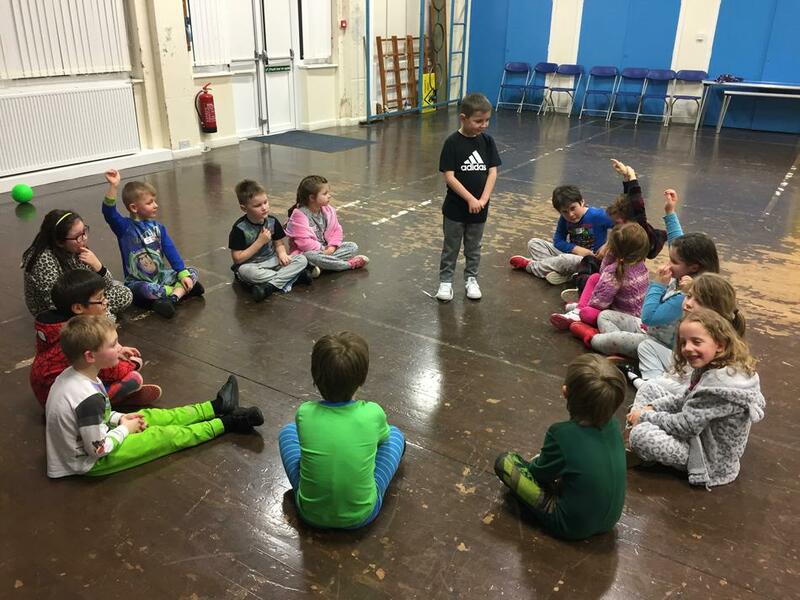 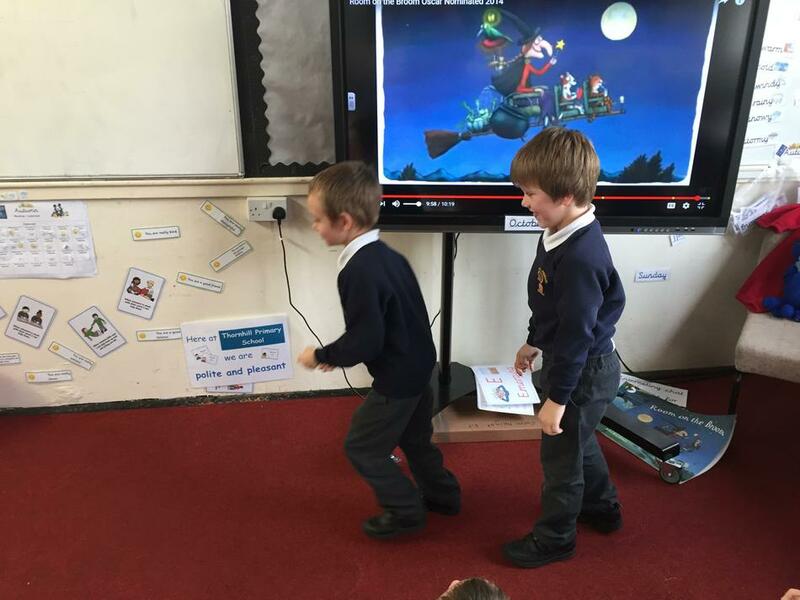 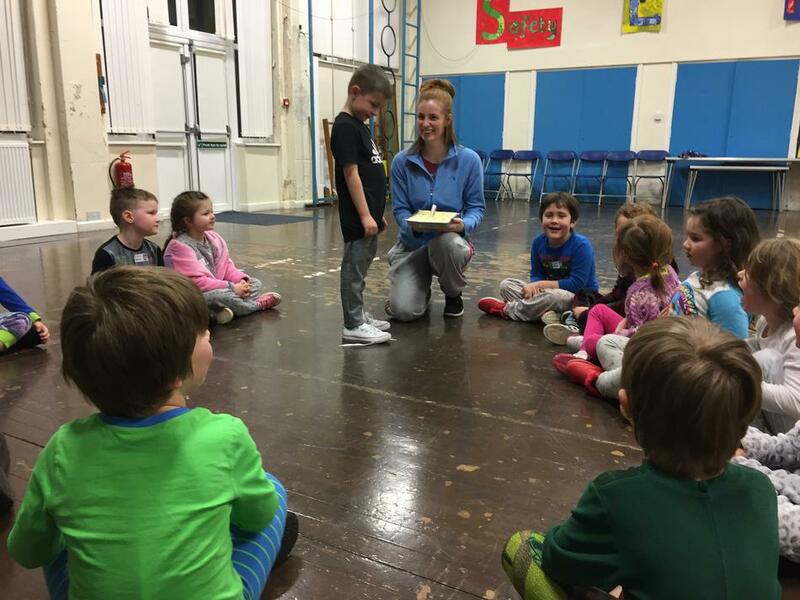 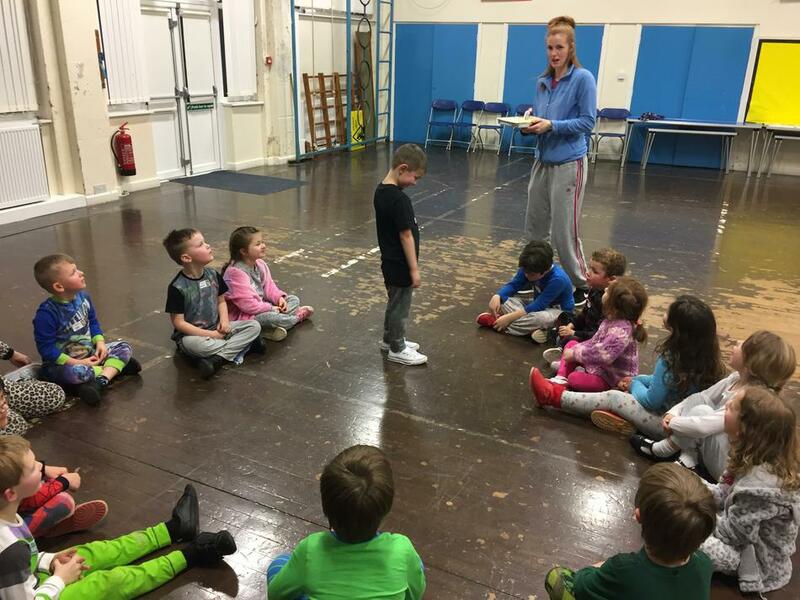 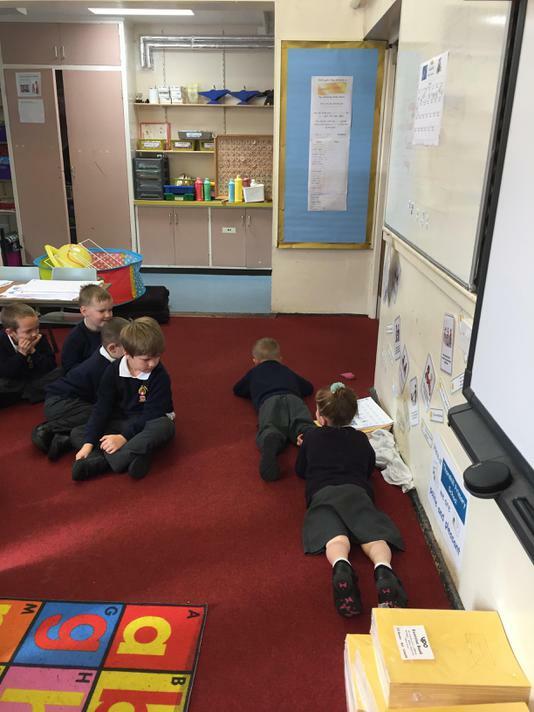 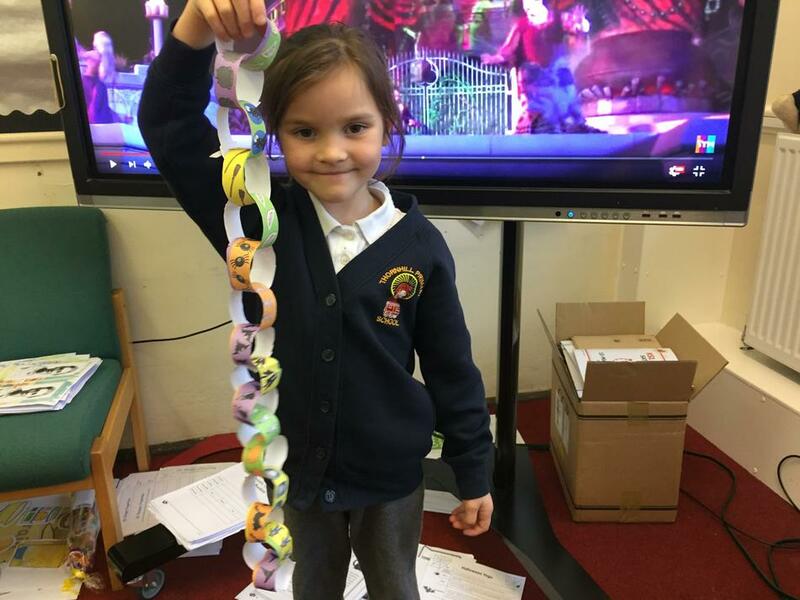 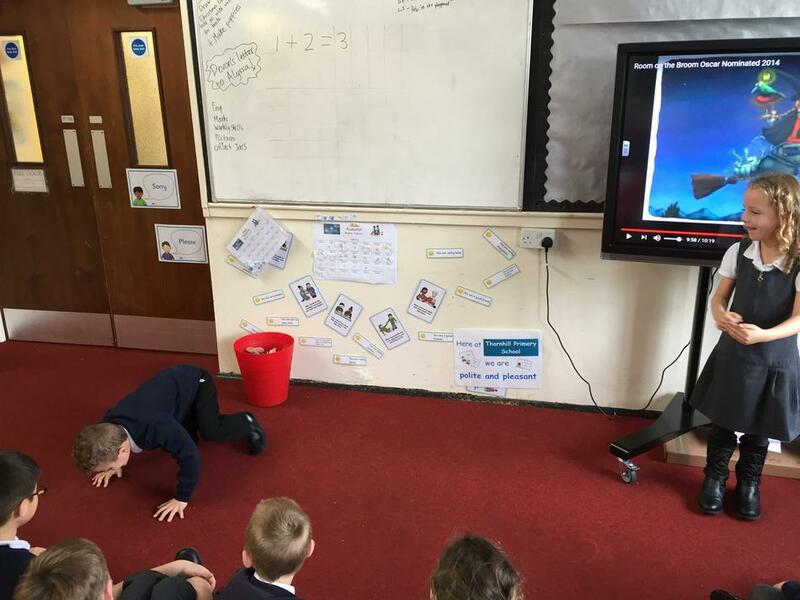 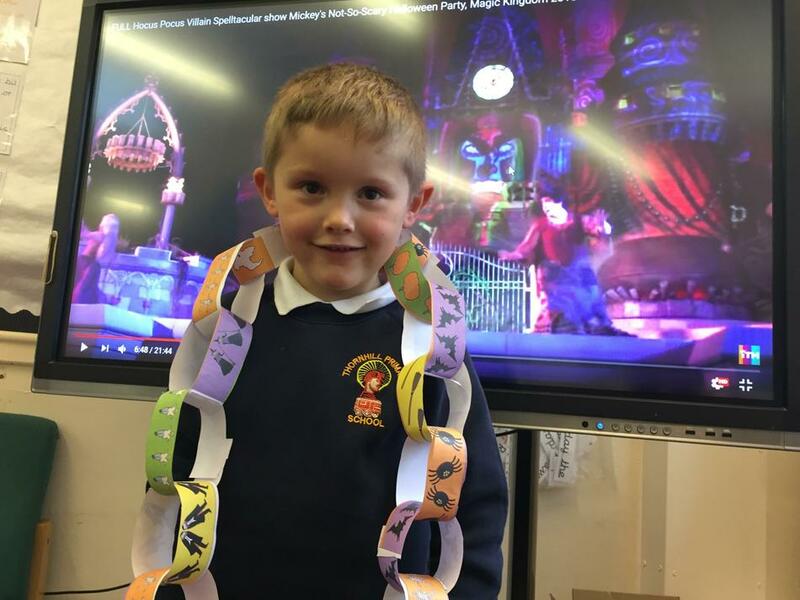 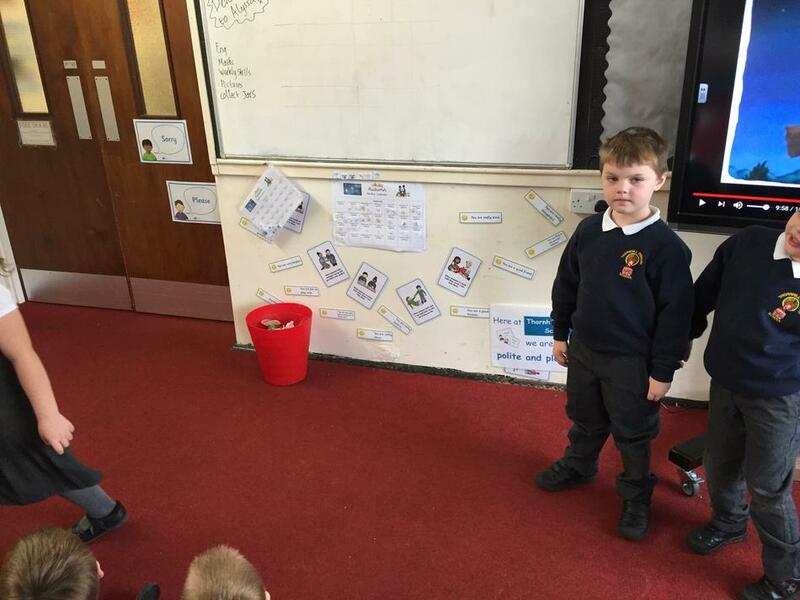 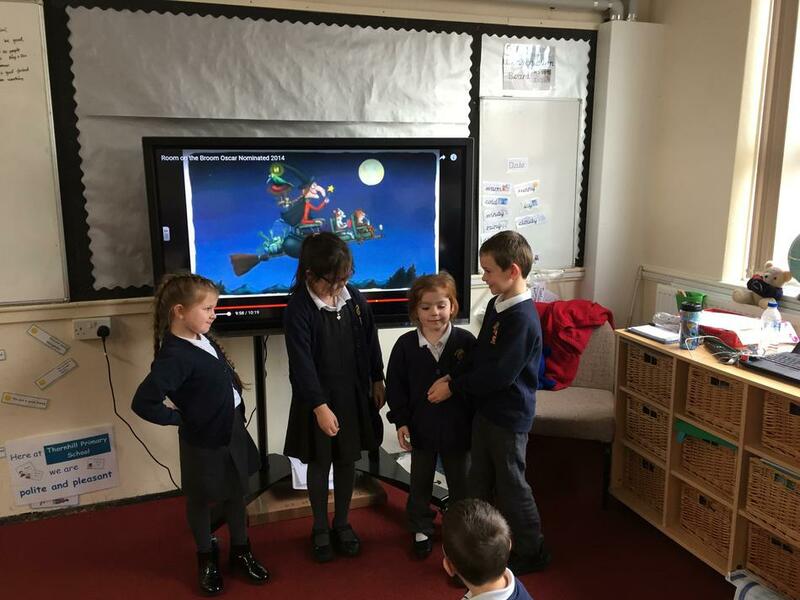 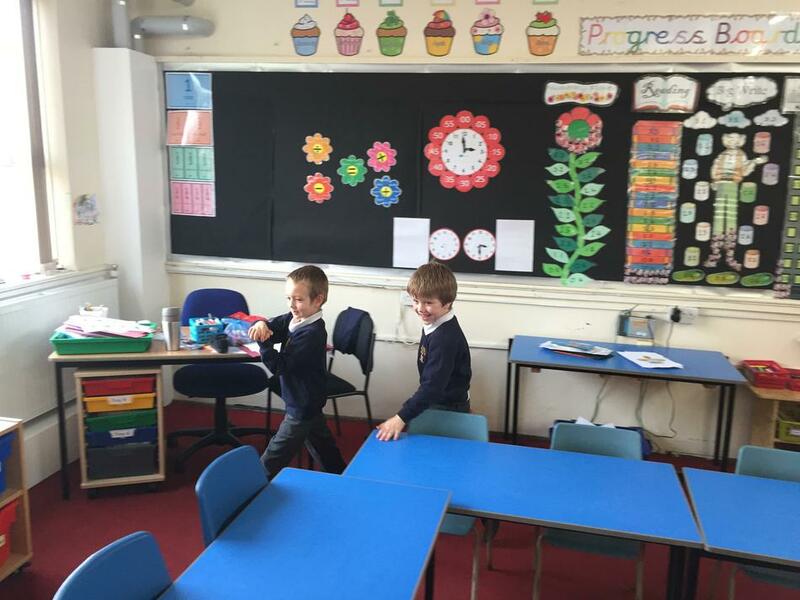 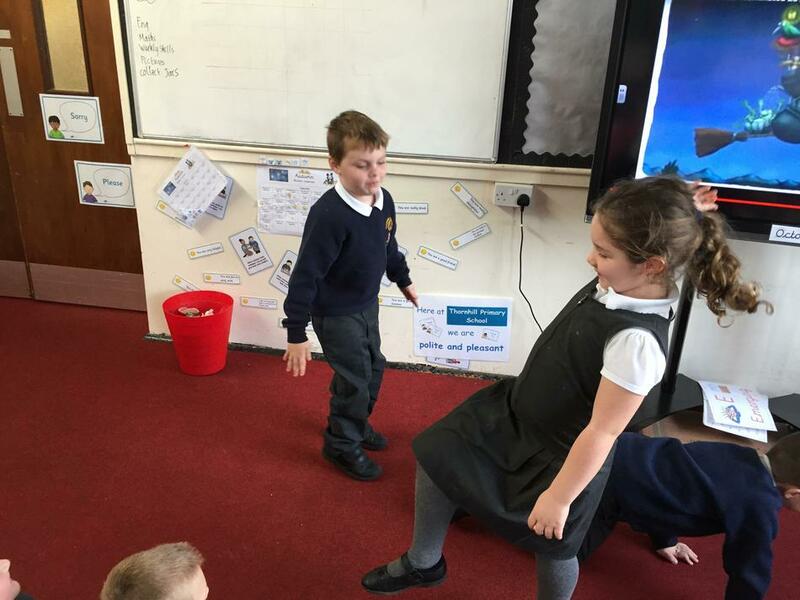 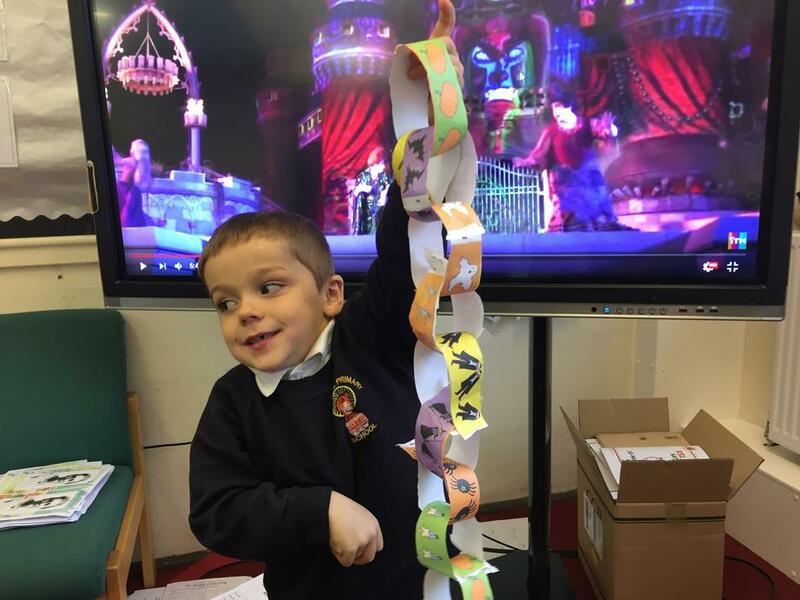 Children then showcased their work to the class and their peers had to work out (from their very imaginative acting skills) which character each child was and what part of the story they were acting out.